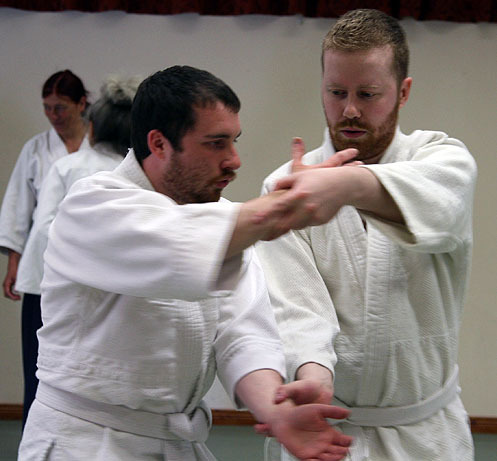 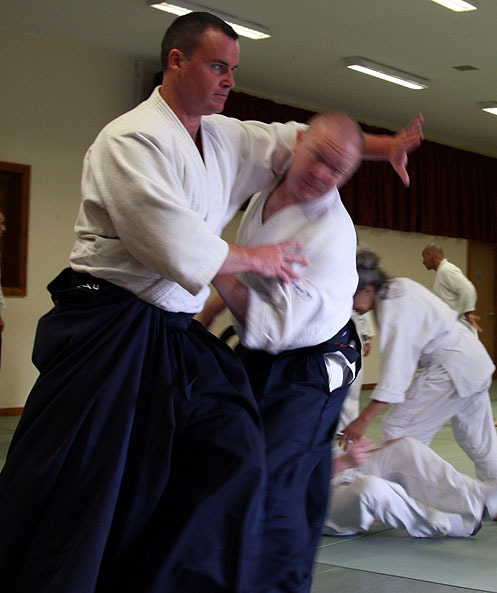 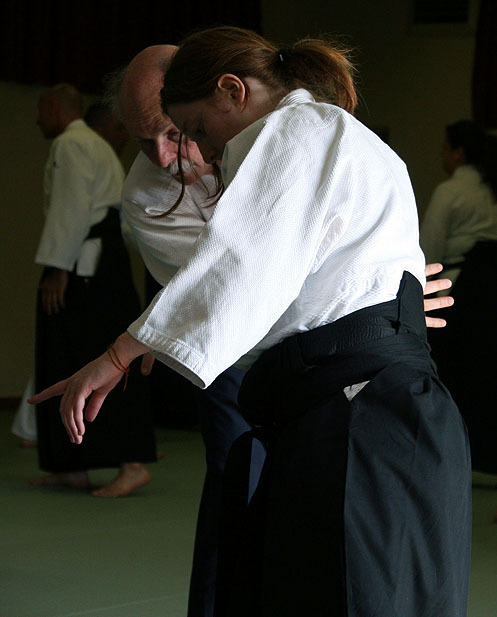 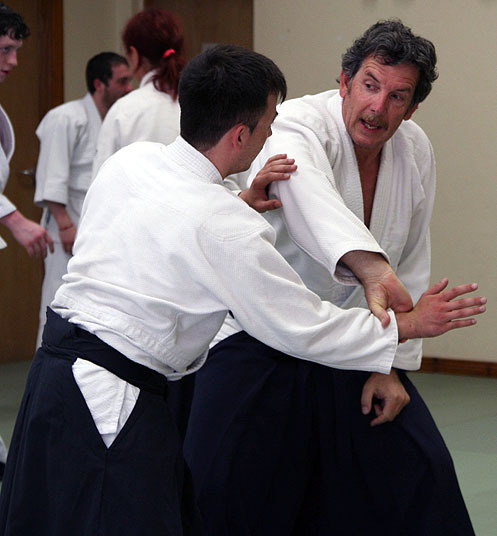 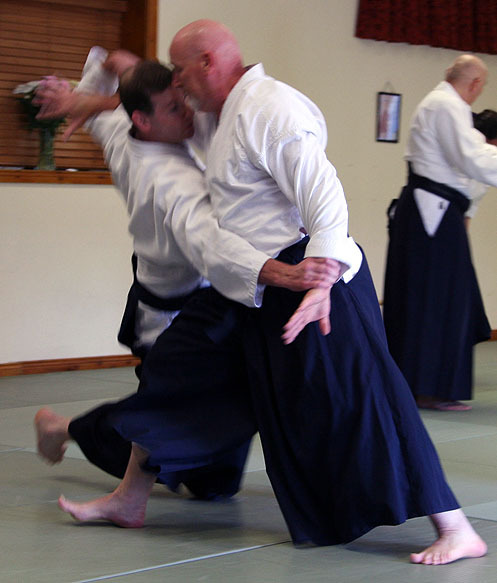 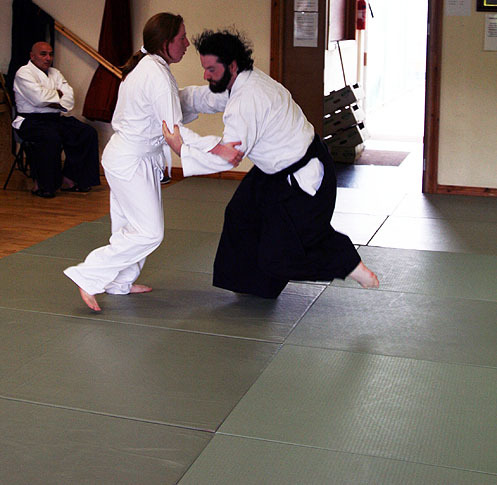 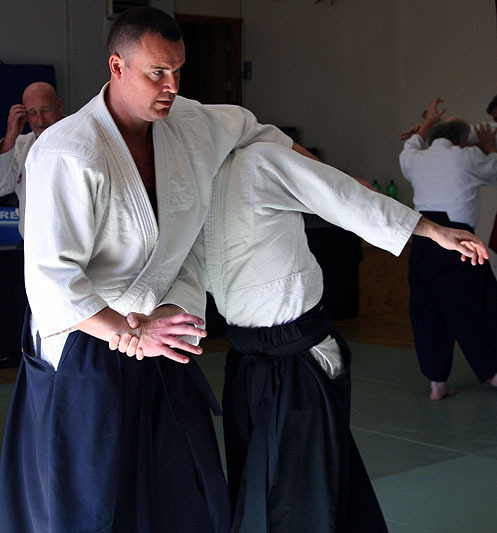 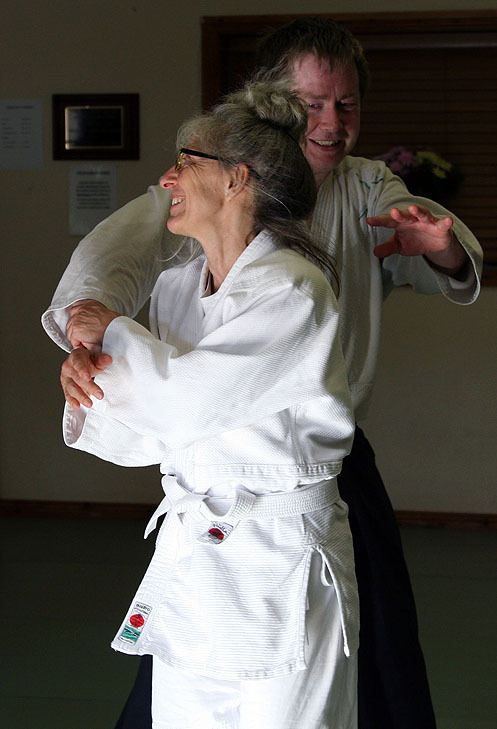 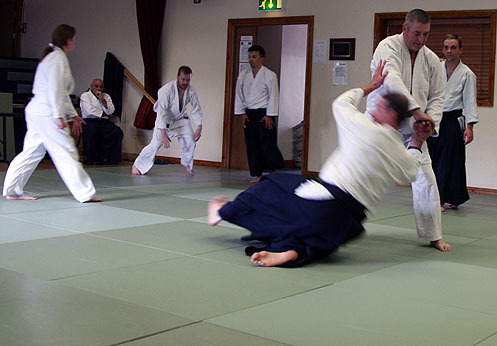 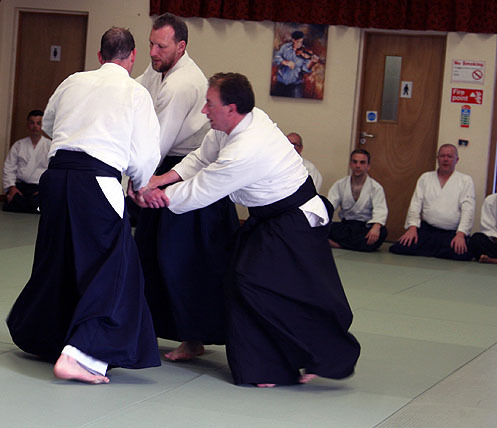 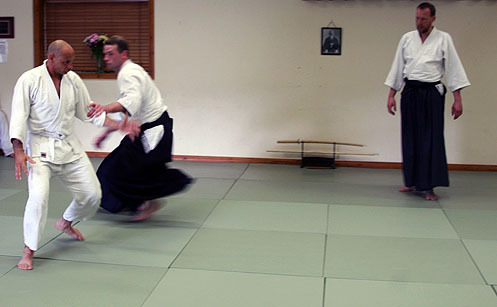 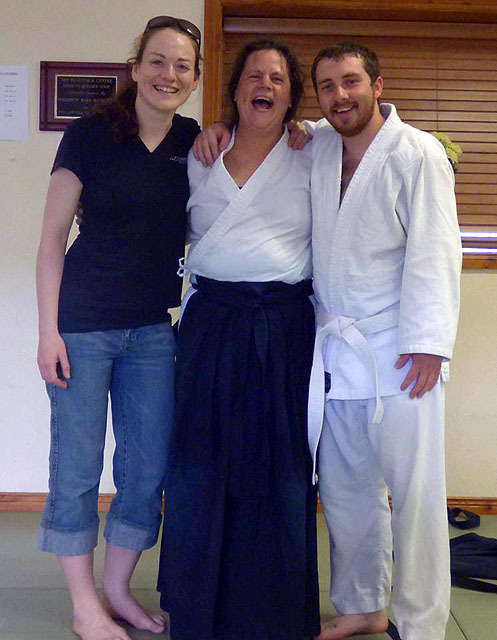 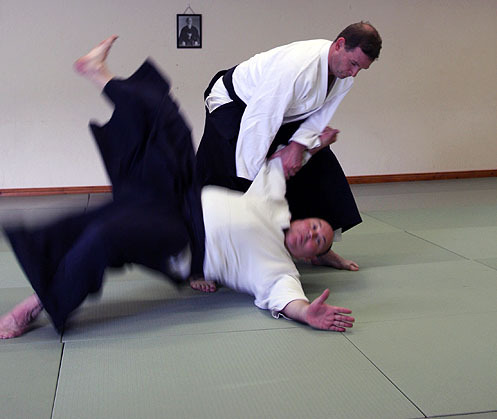 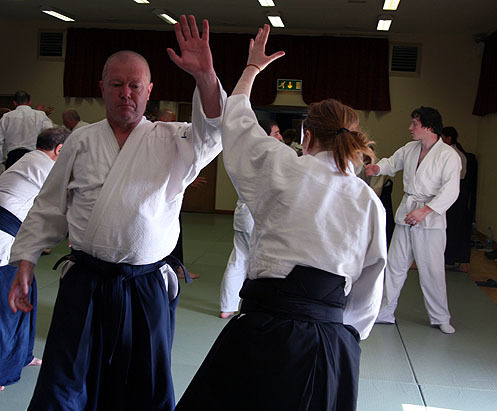 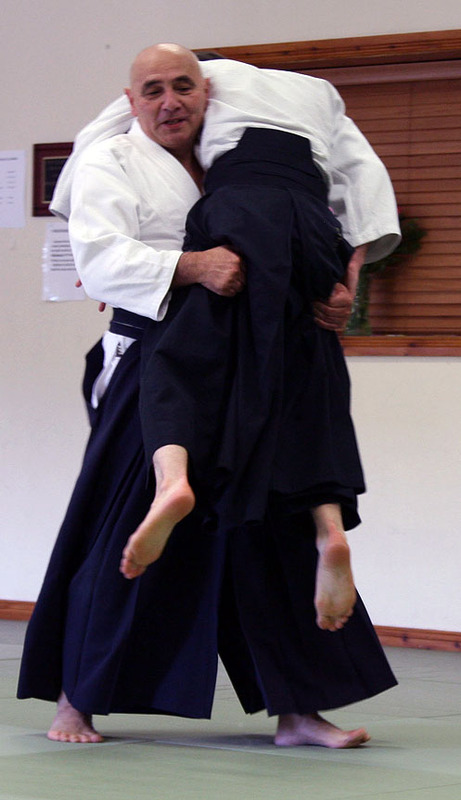 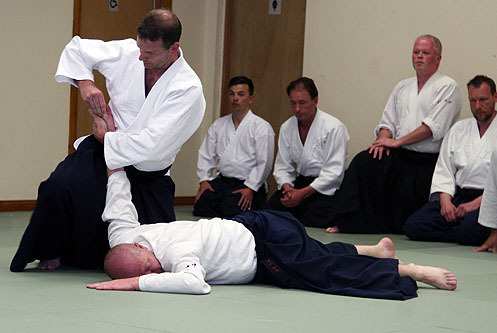 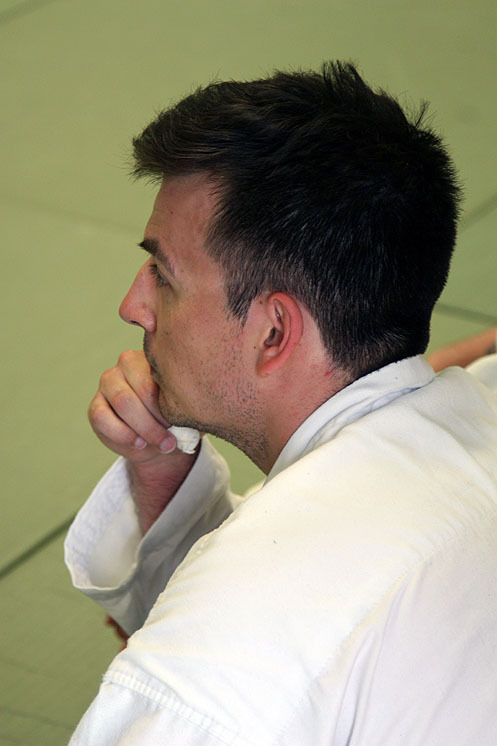 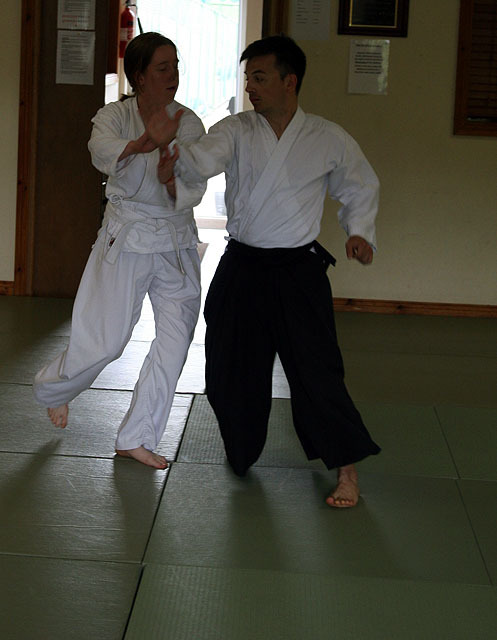 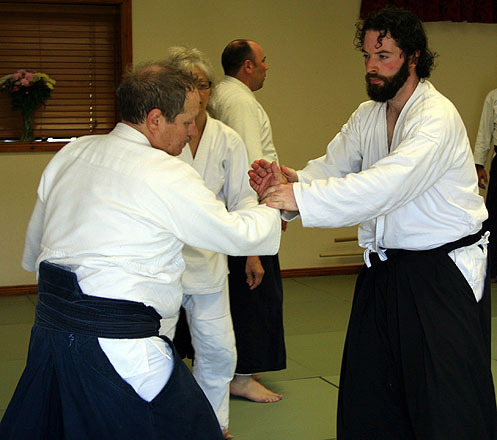 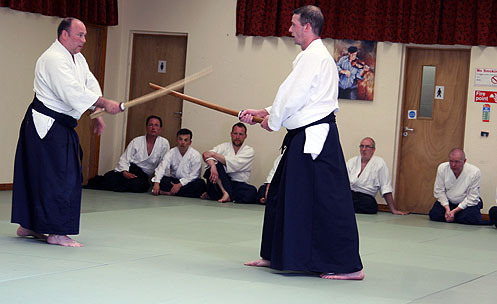 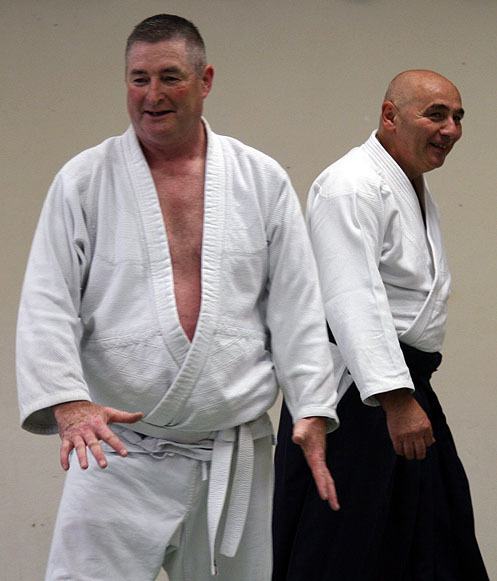 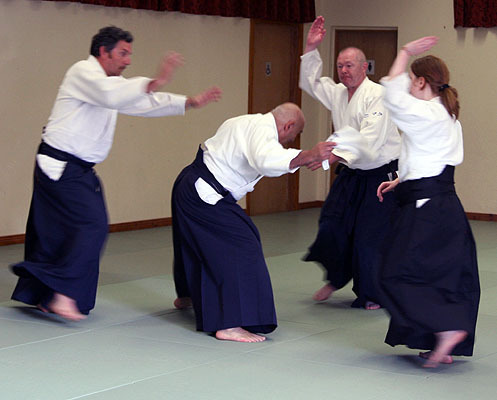 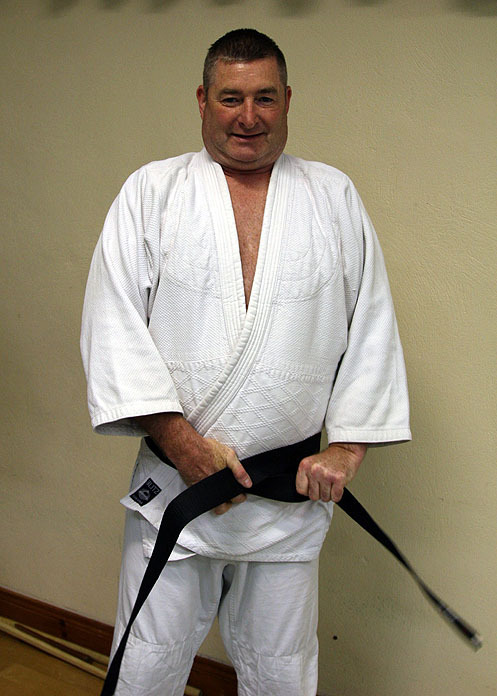 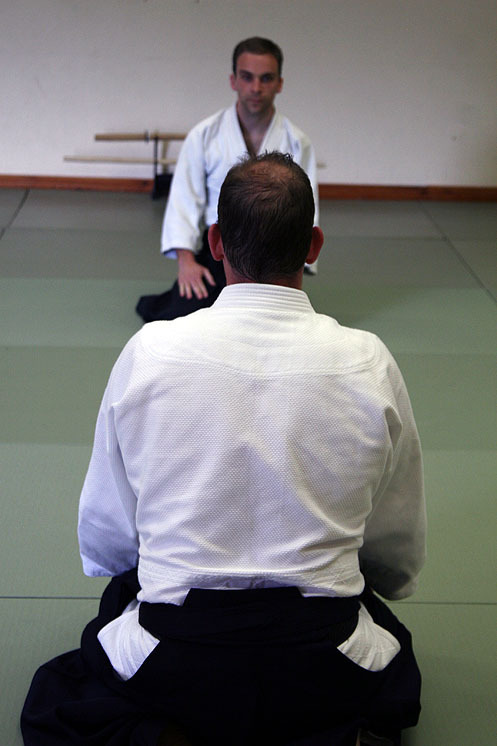 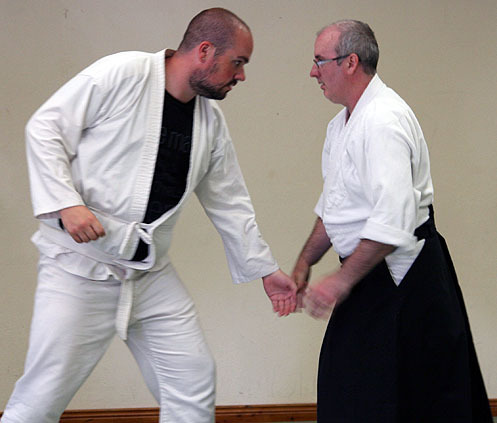 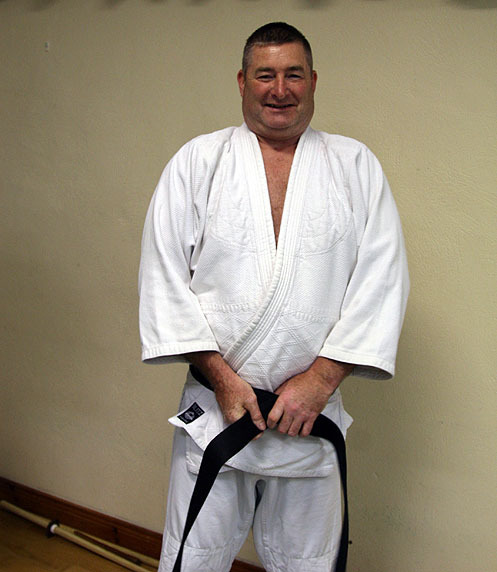 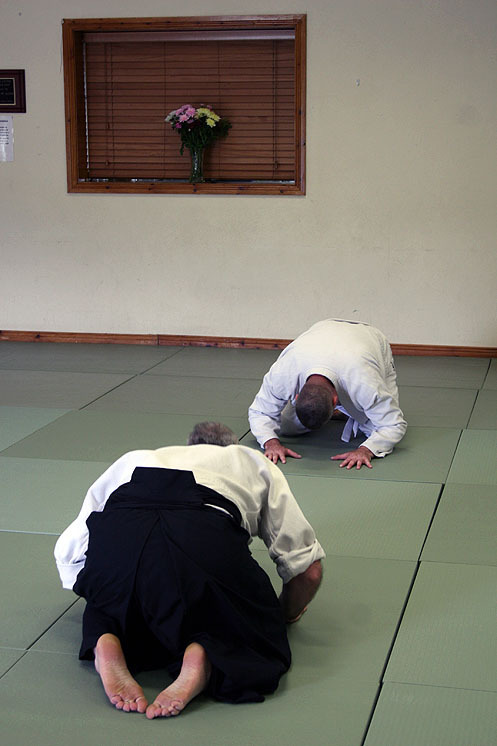 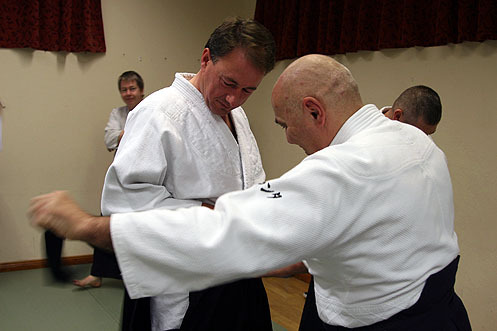 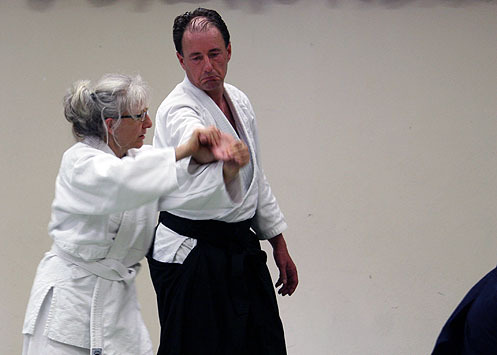 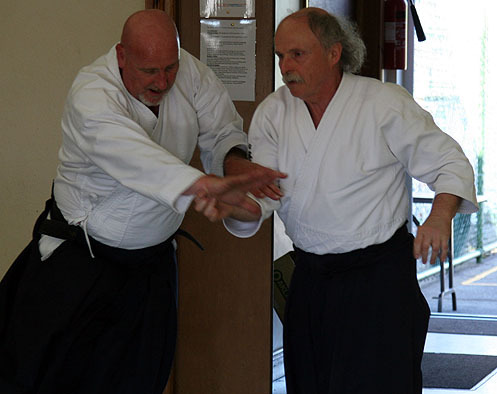 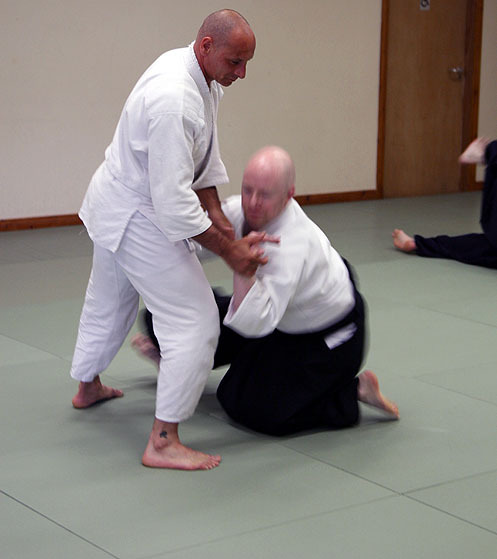 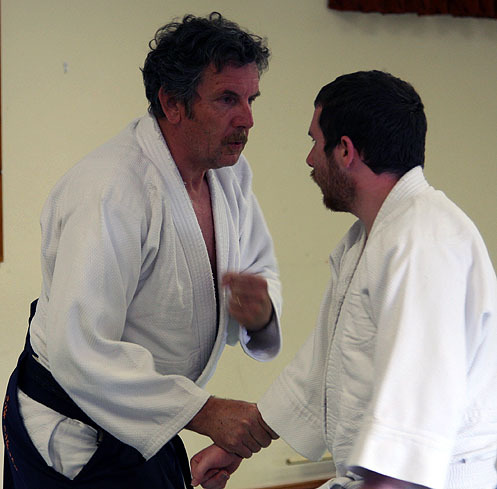 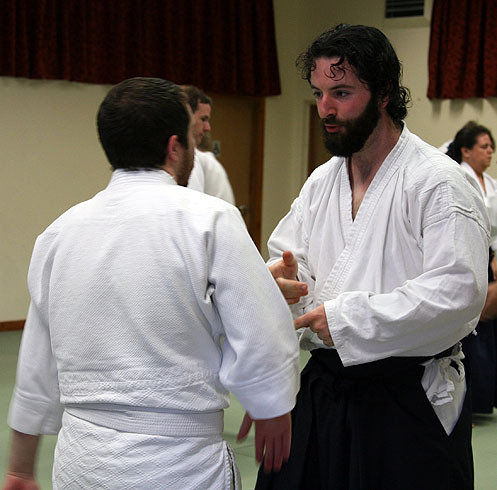 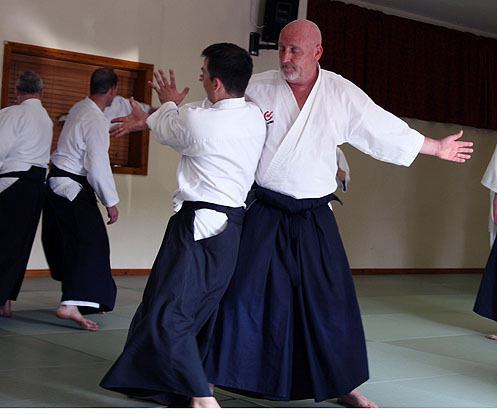 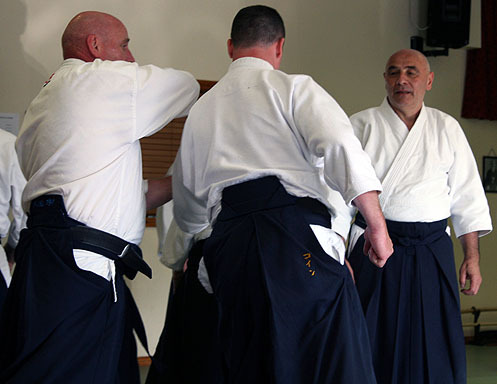 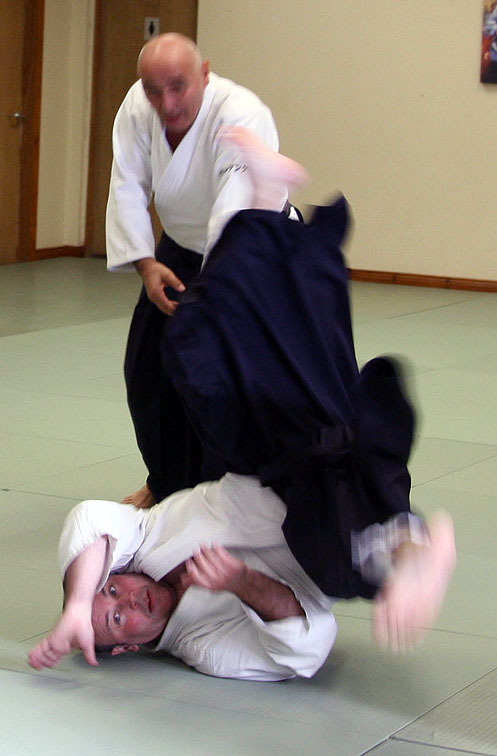 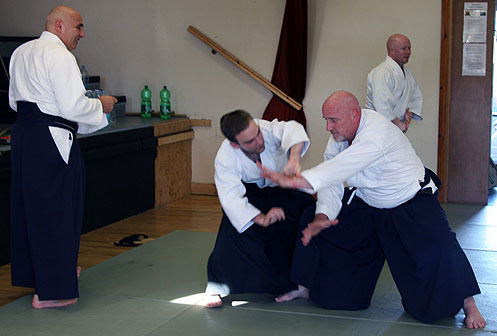 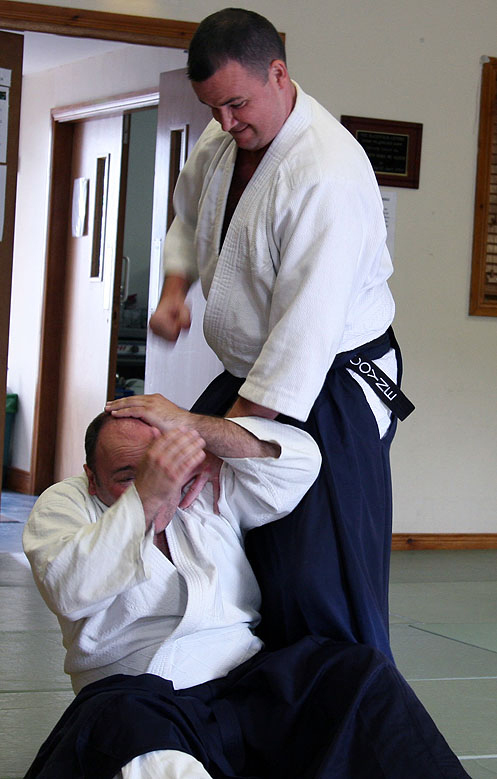 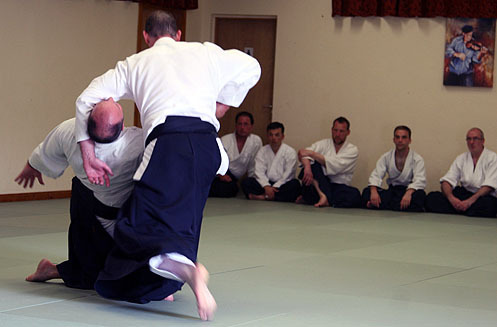 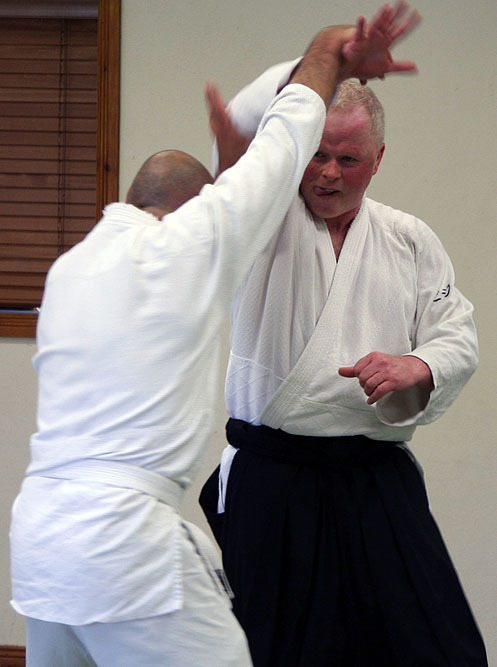 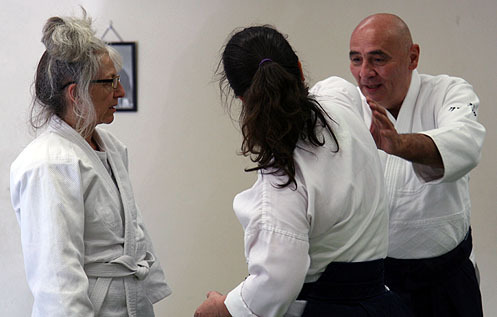 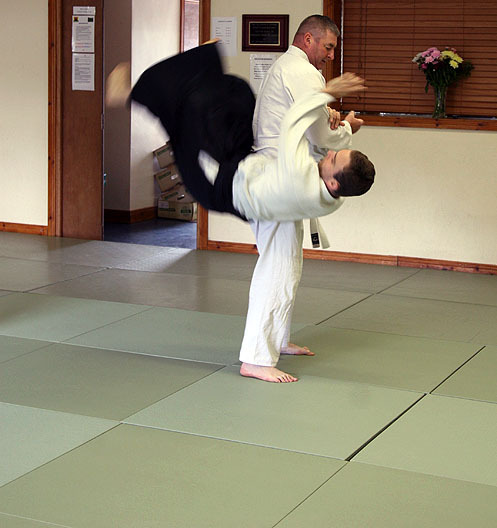 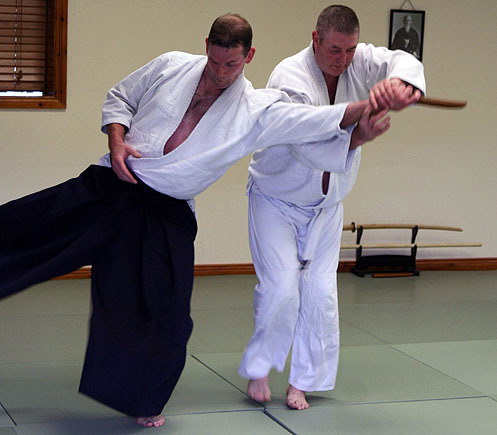 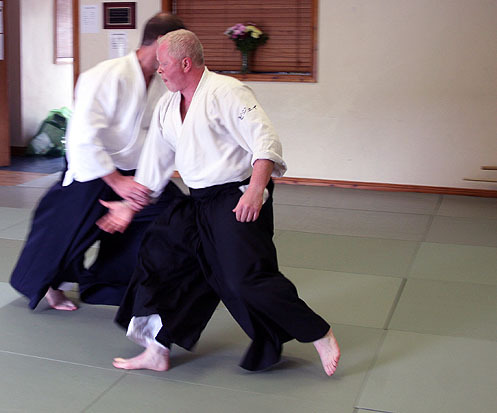 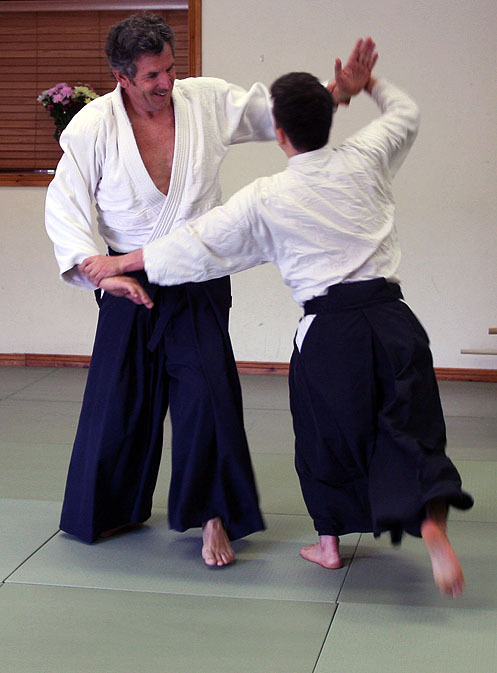 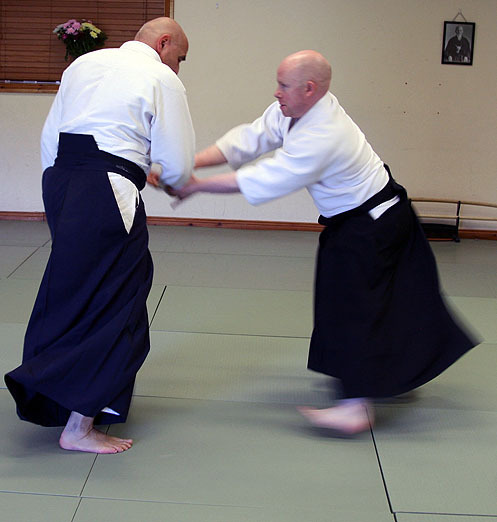 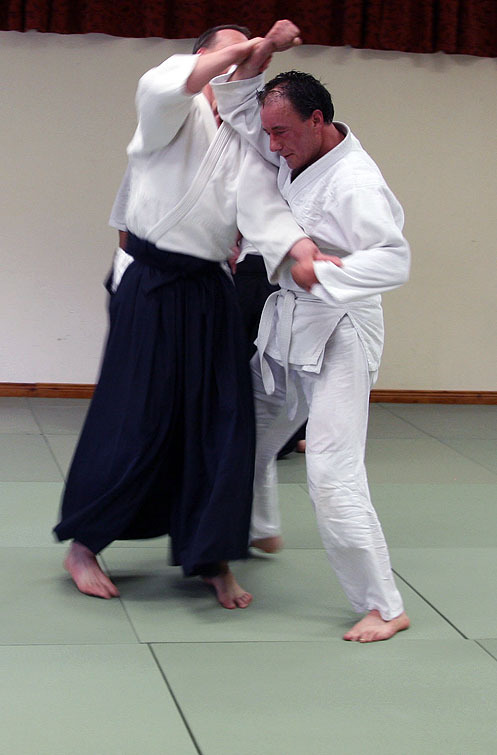 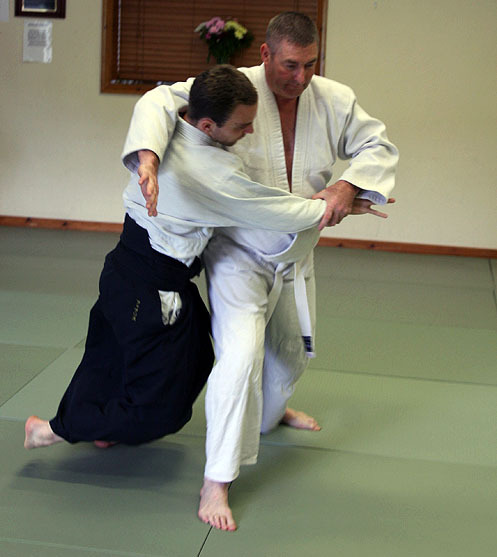 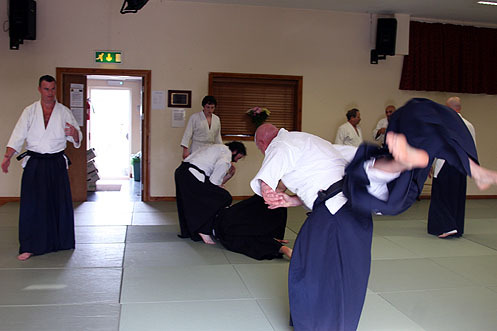 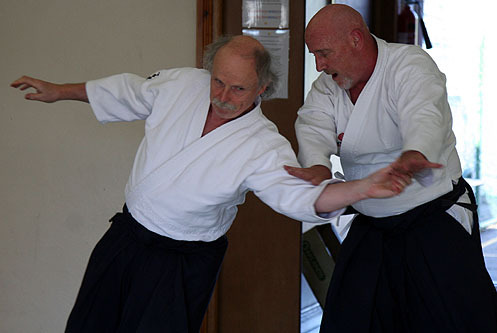 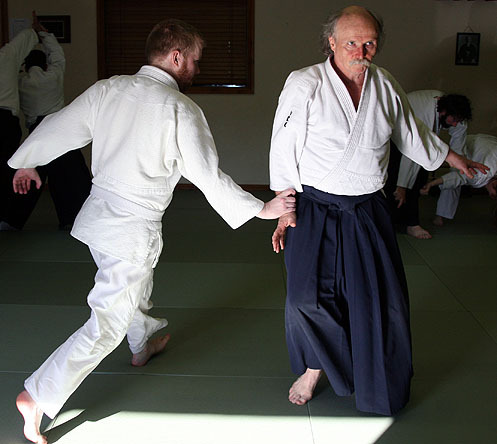 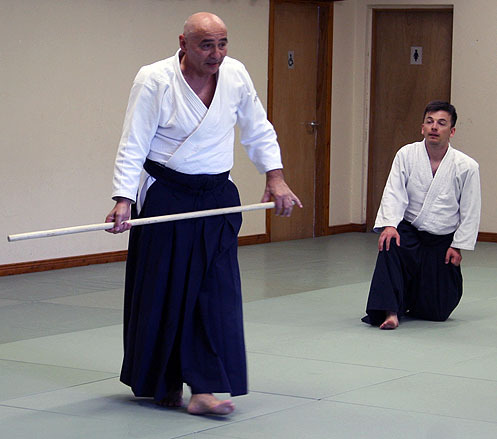 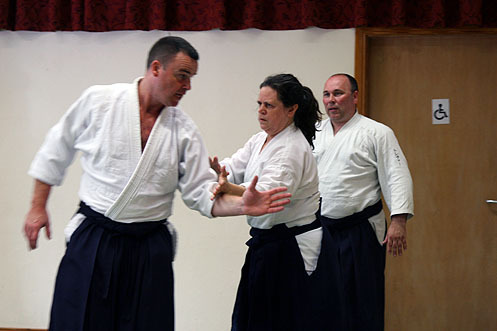 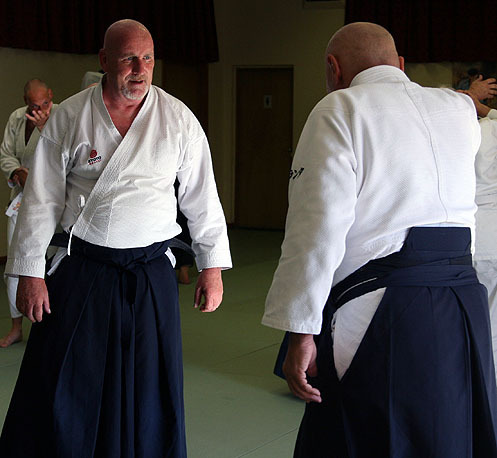 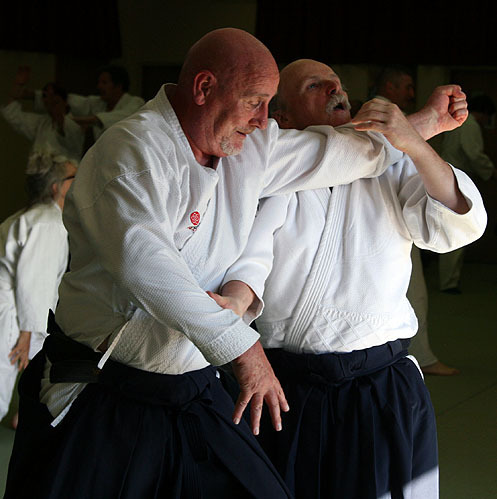 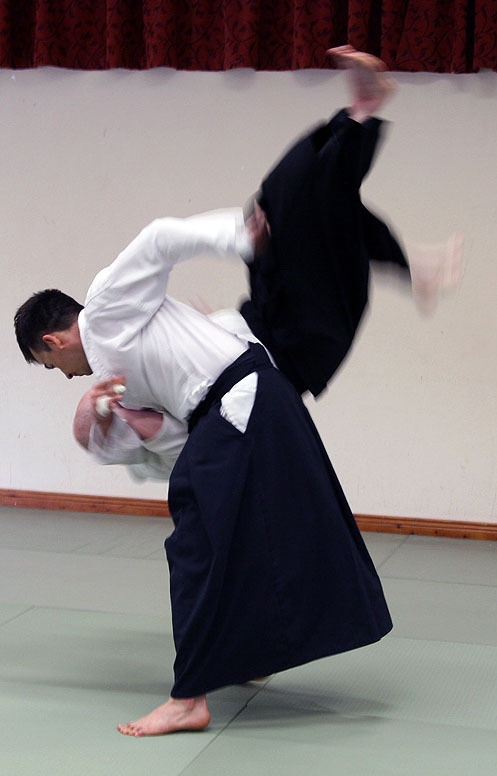 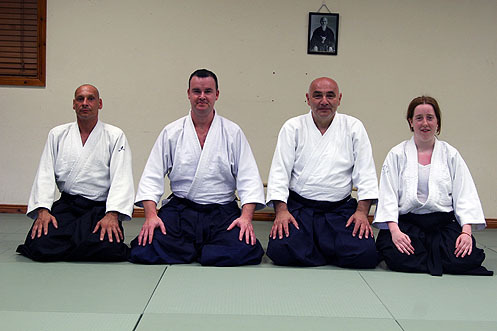 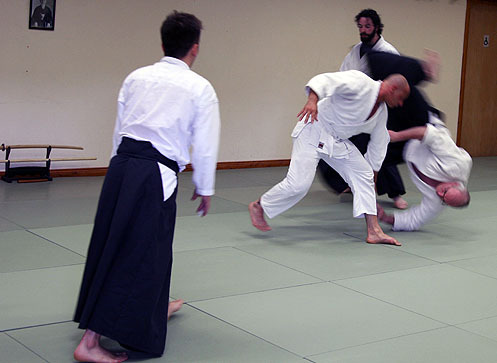 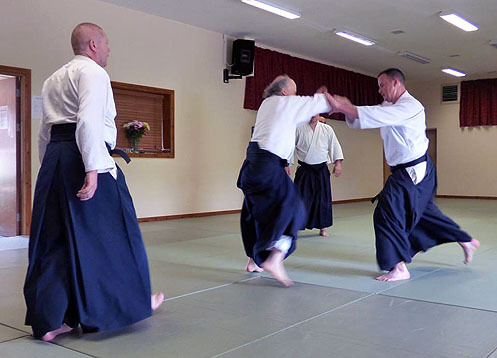 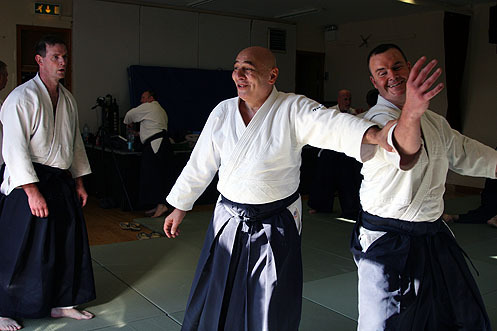 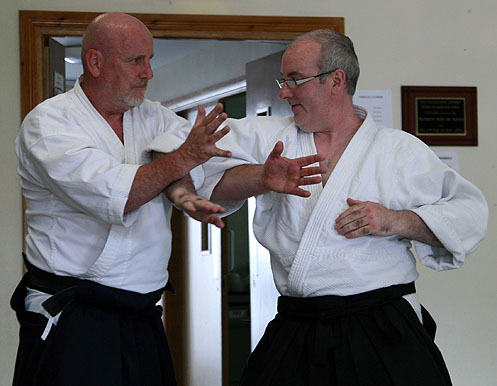 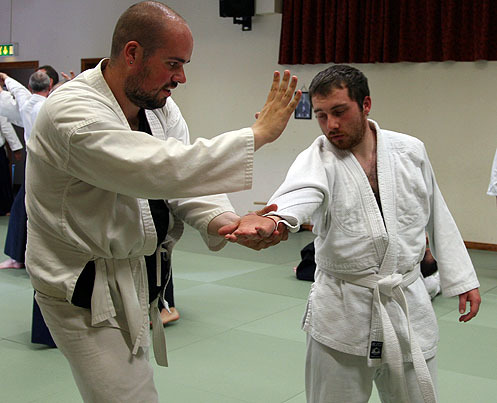 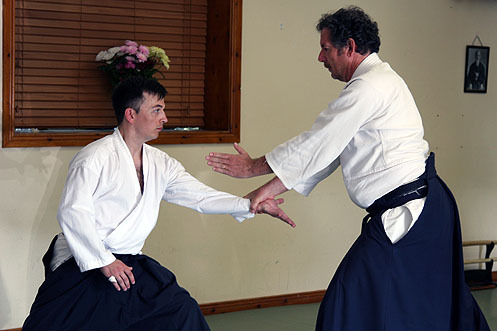 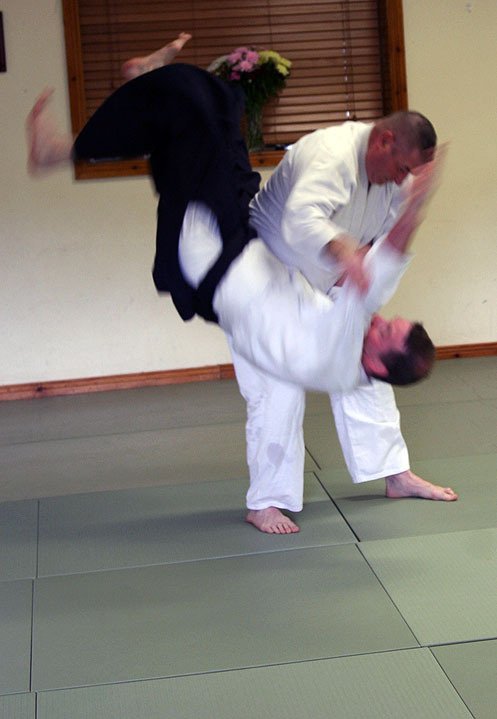 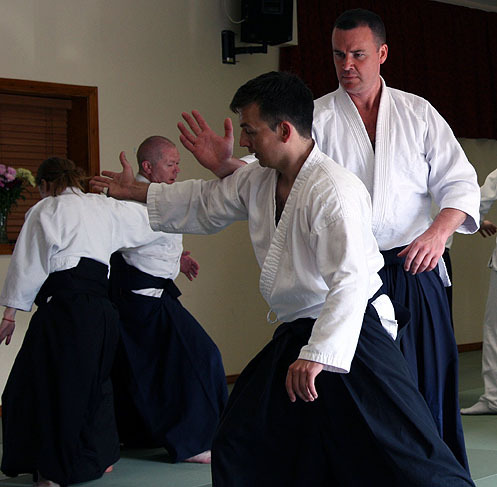 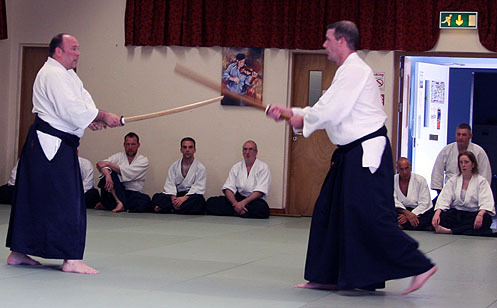 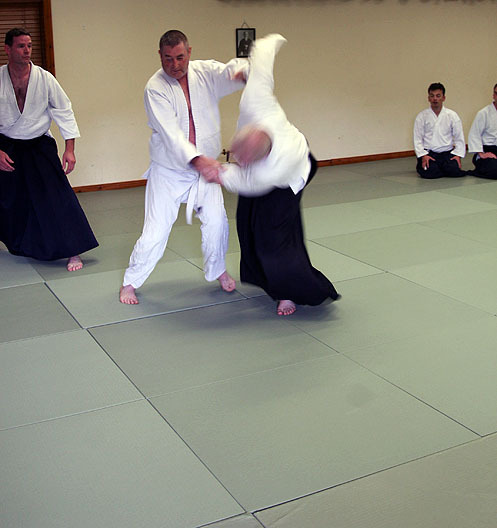 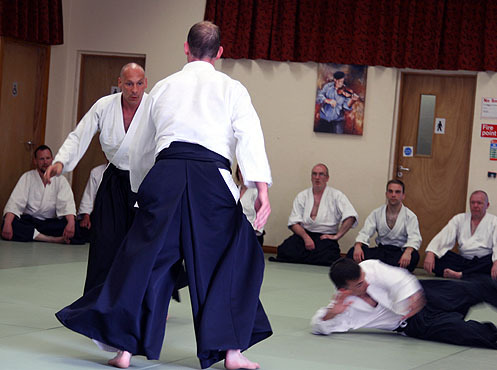 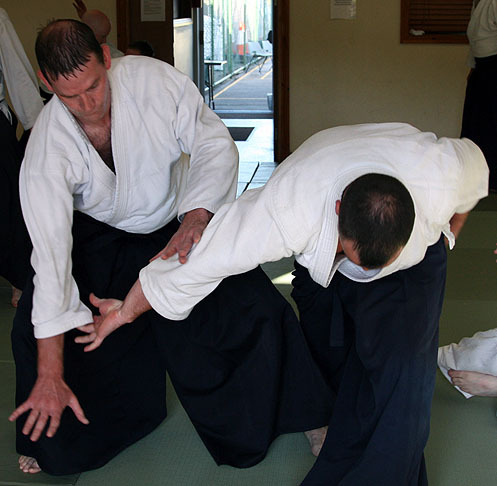 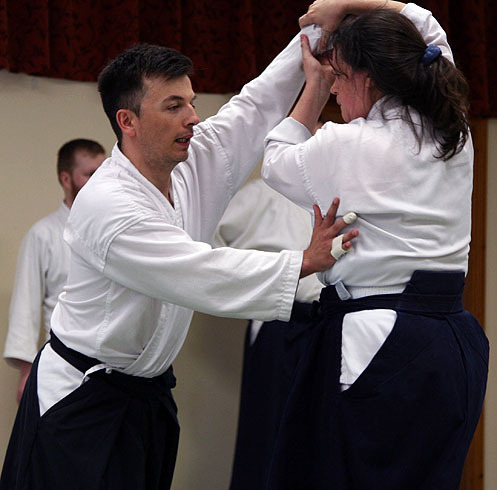 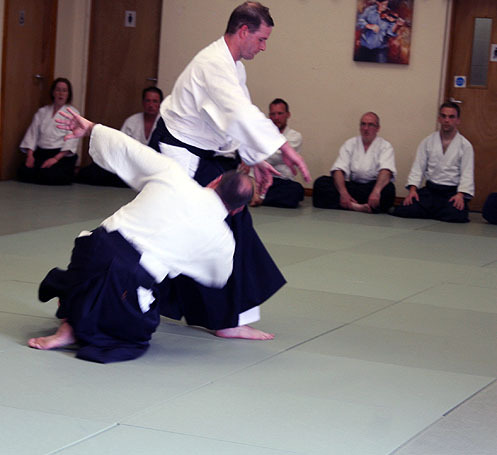 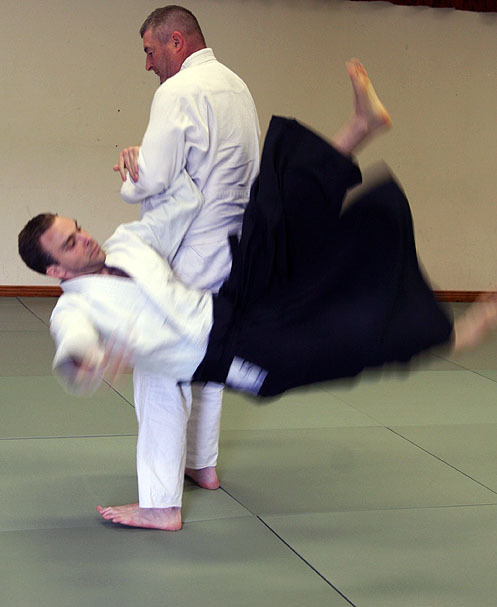 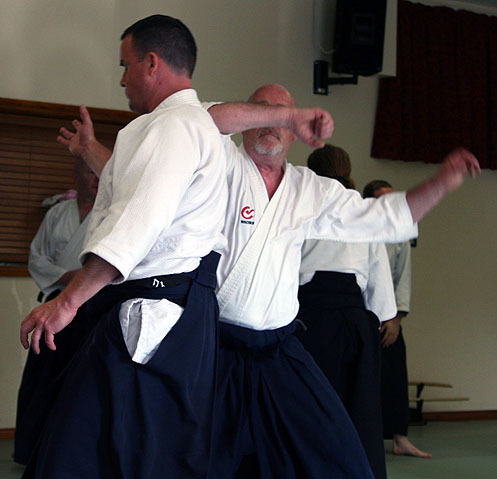 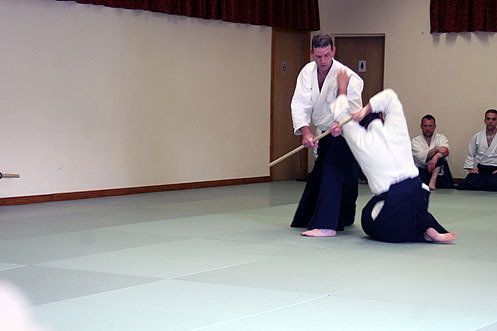 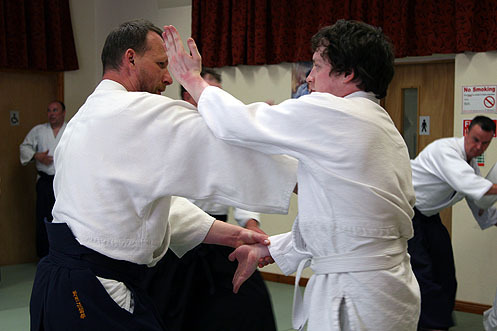 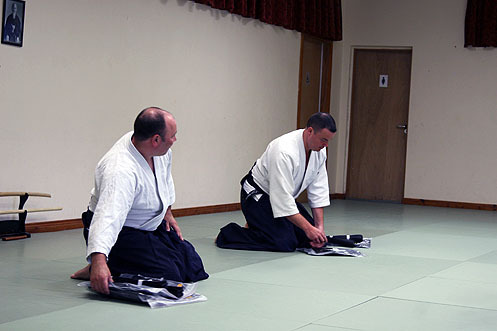 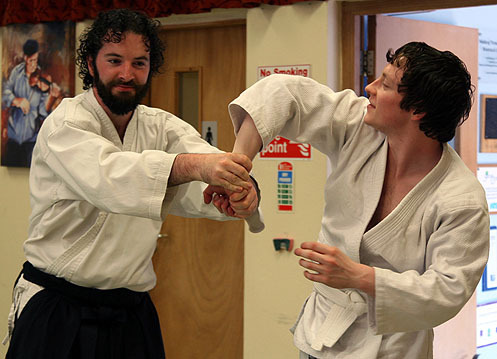 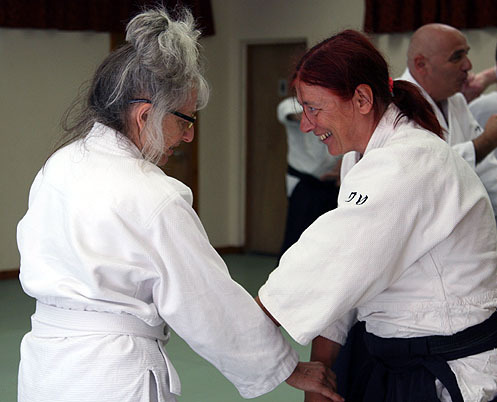 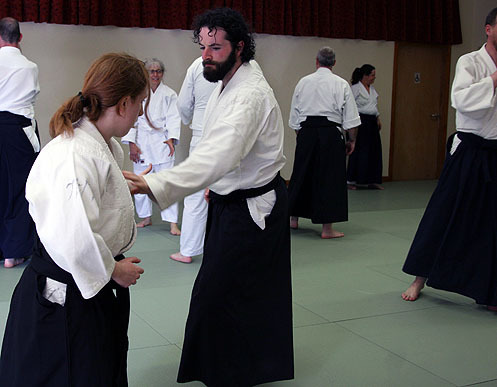 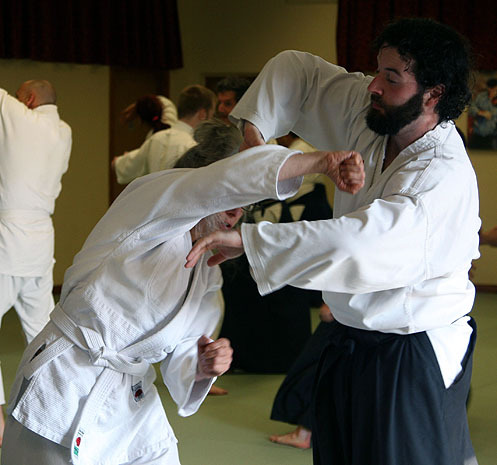 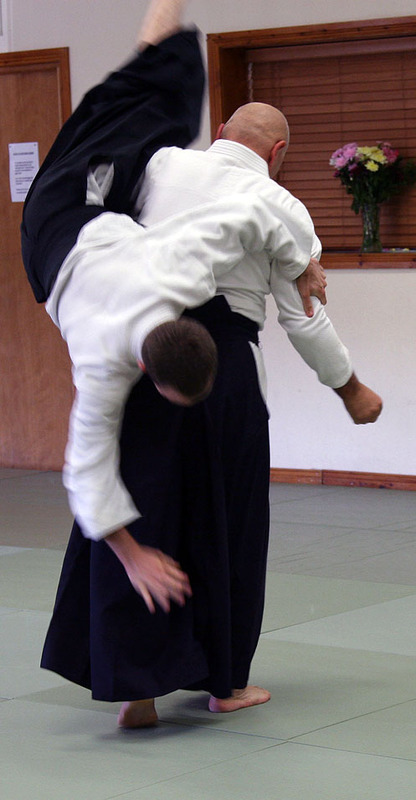 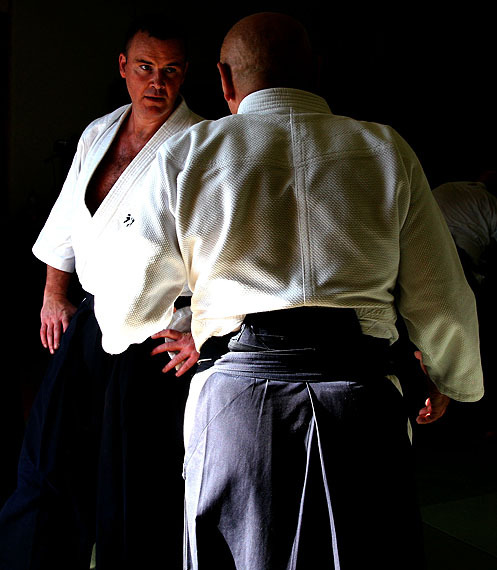 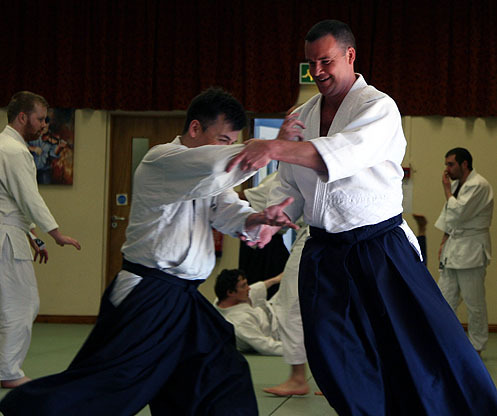 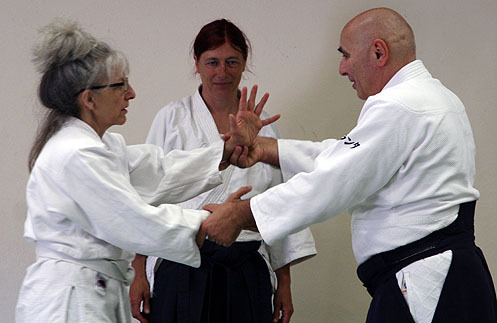 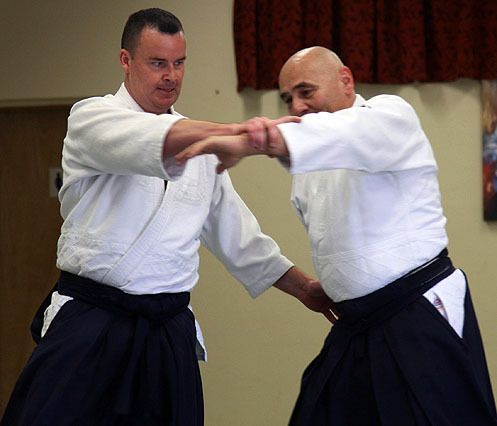 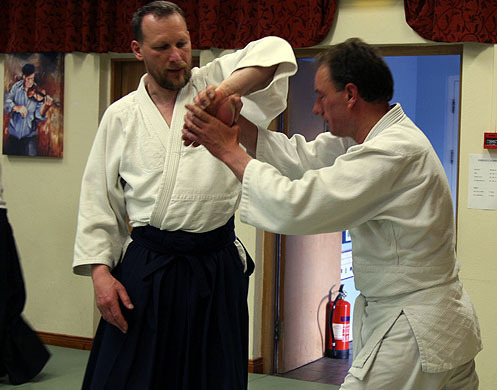 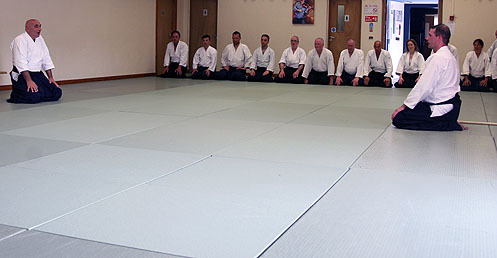 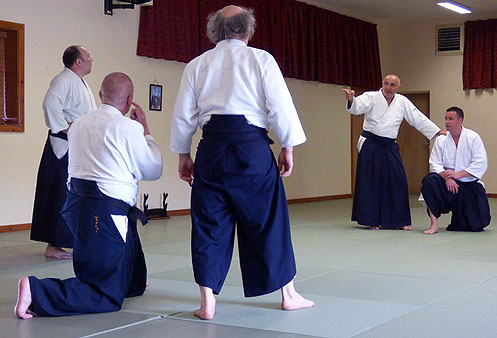 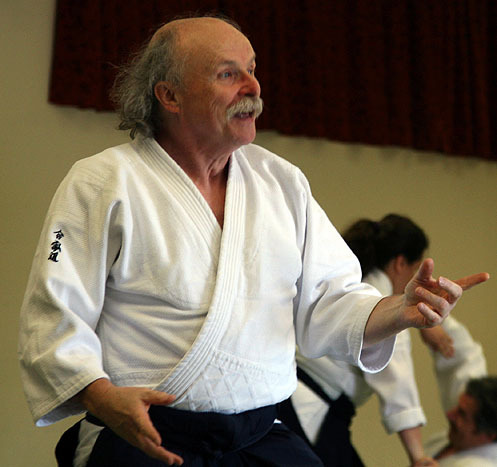 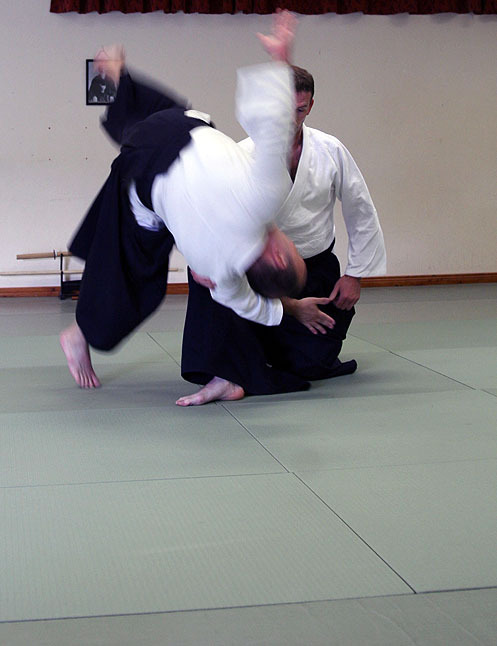 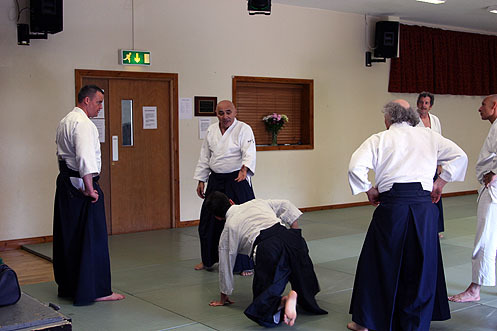 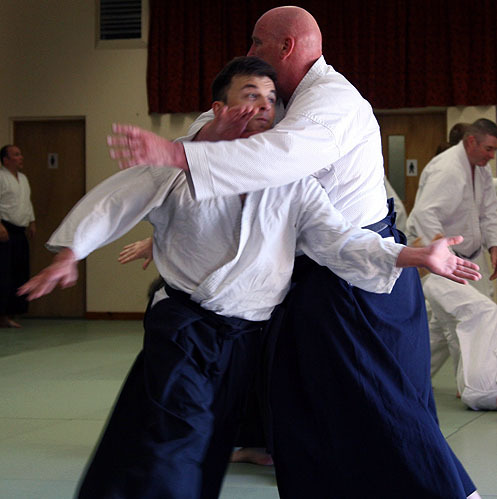 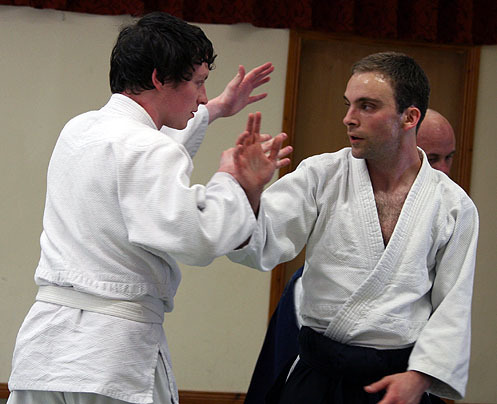 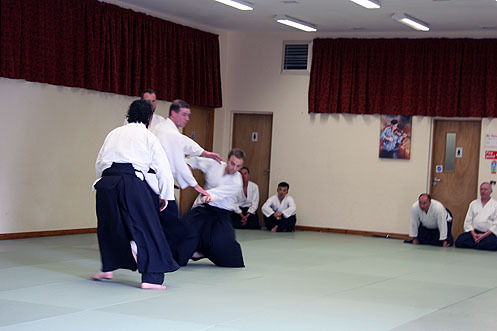 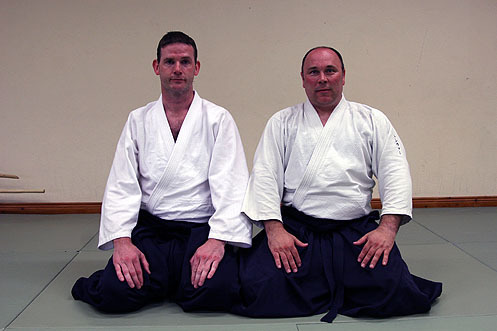 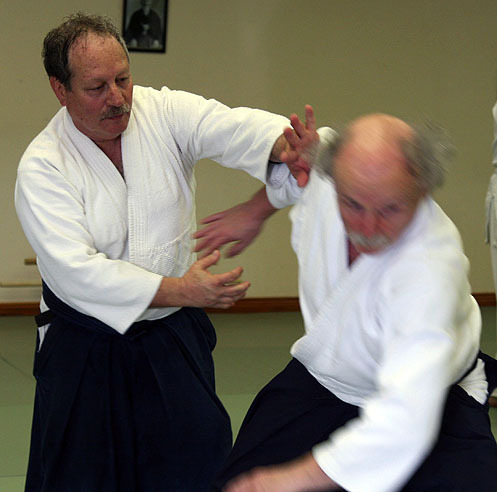 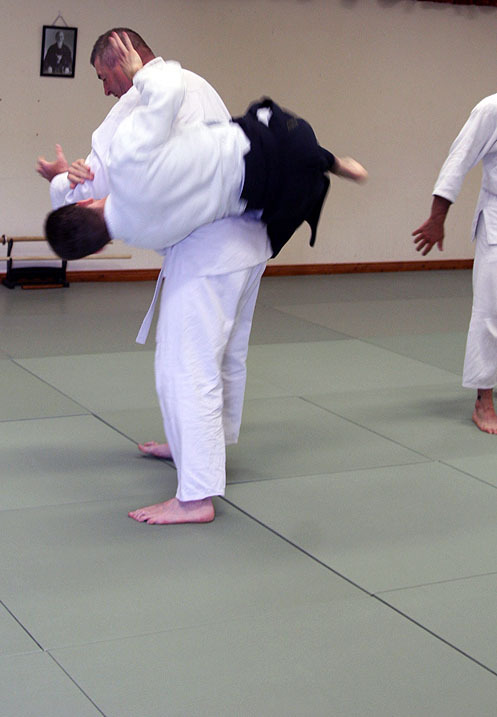 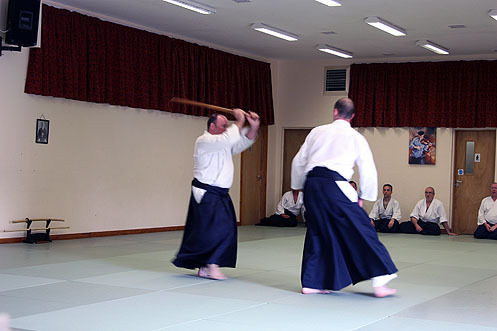 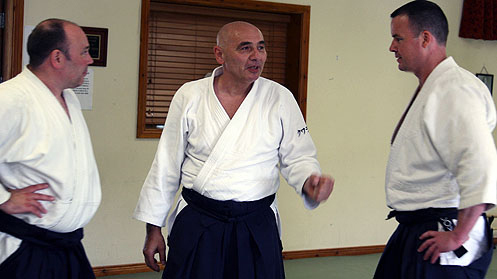 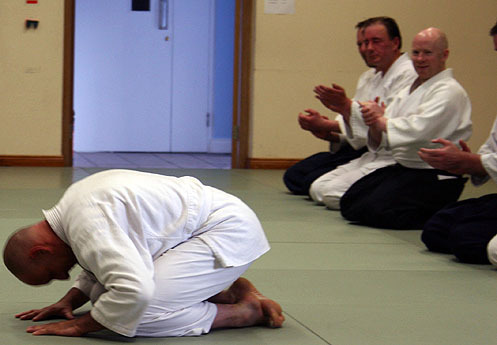 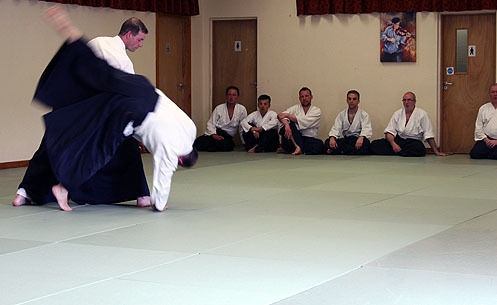 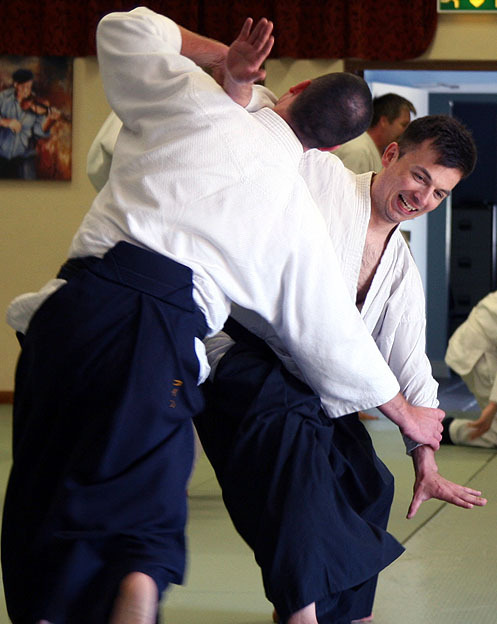 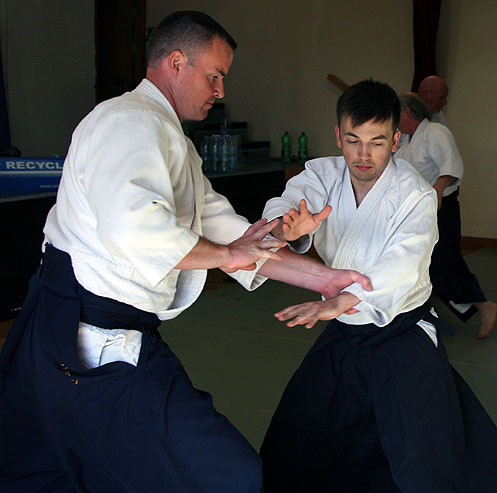 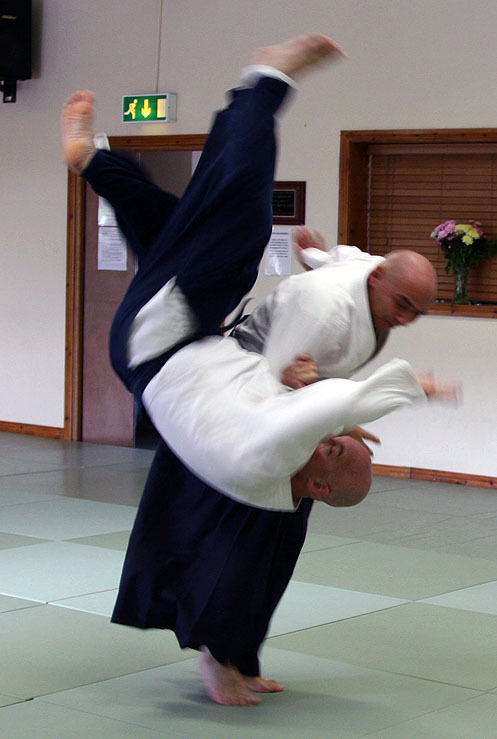 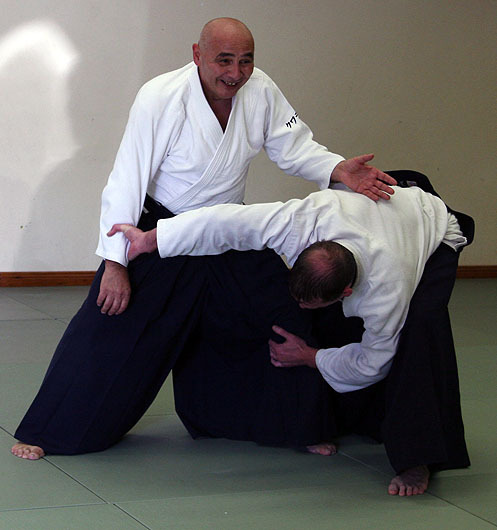 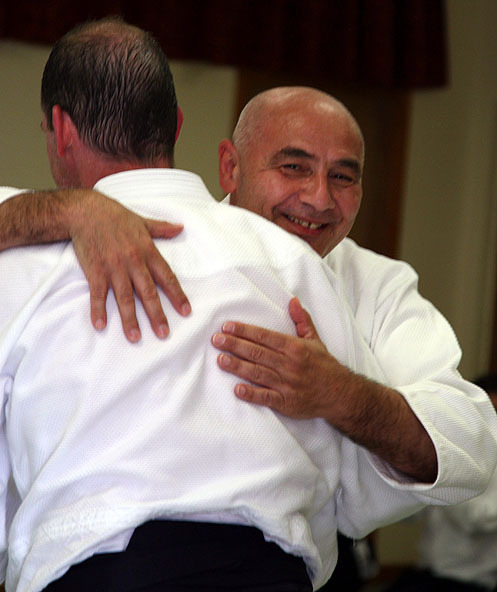 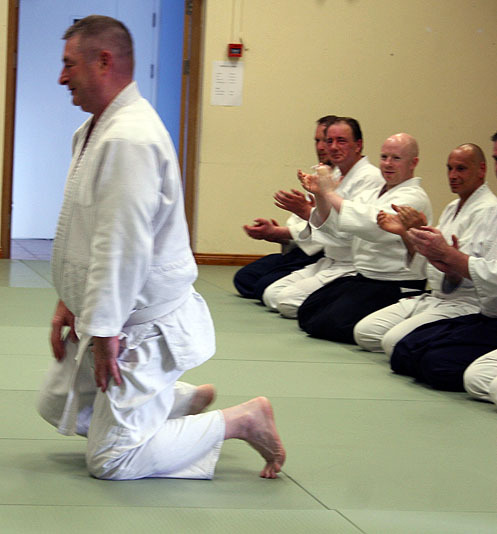 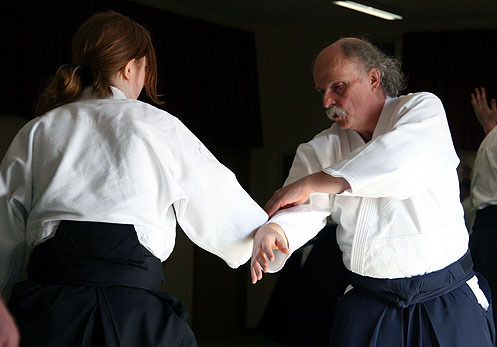 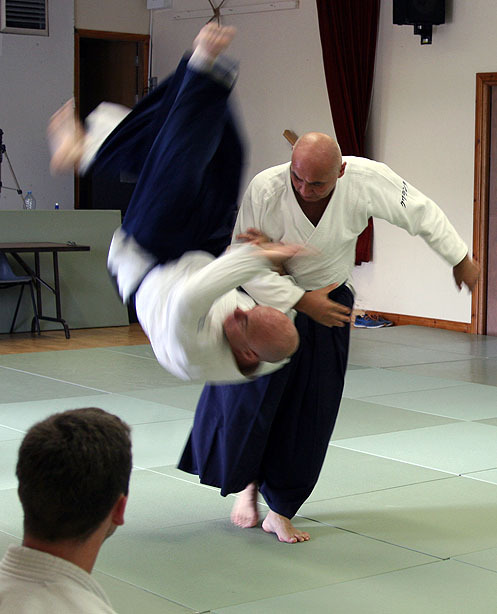 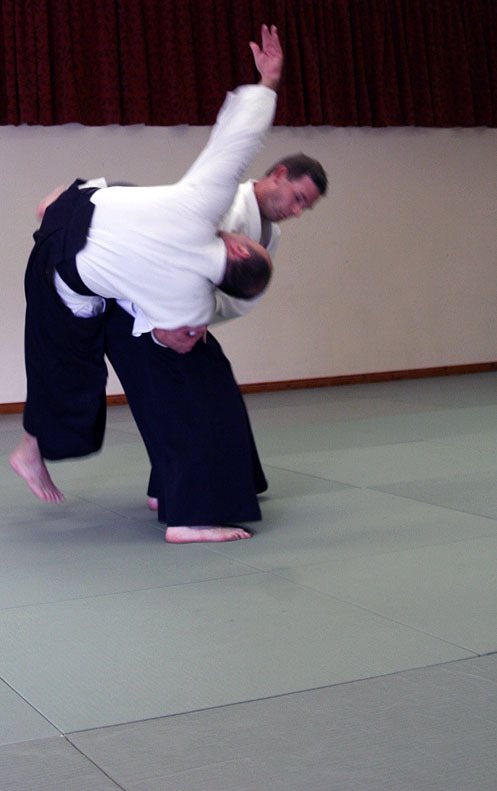 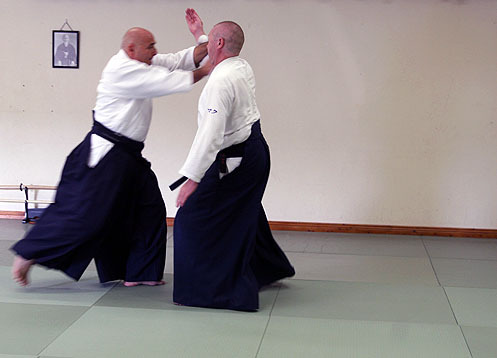 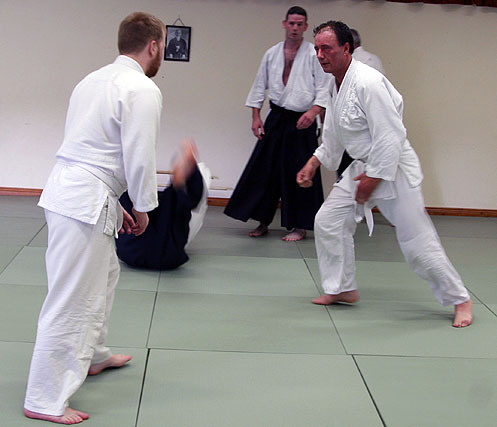 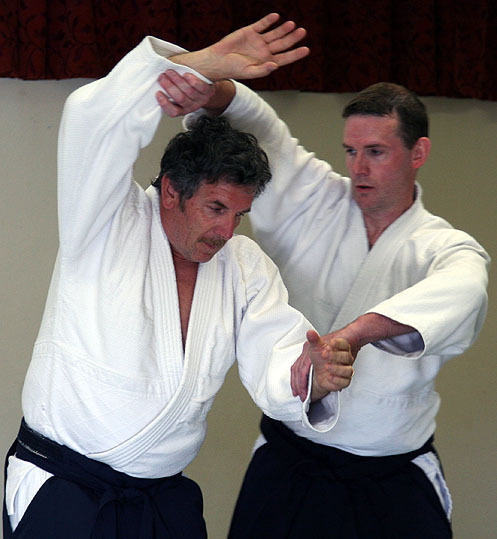 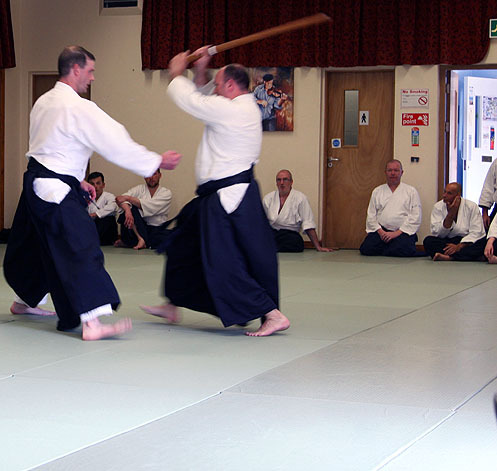 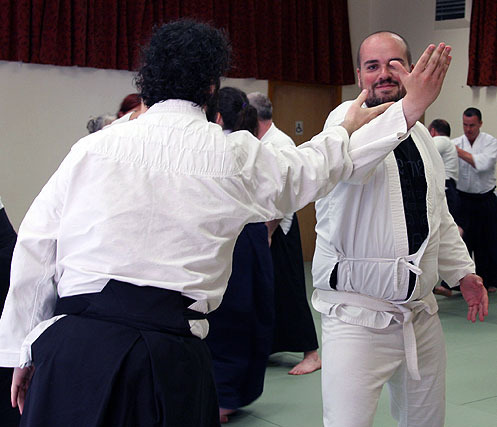 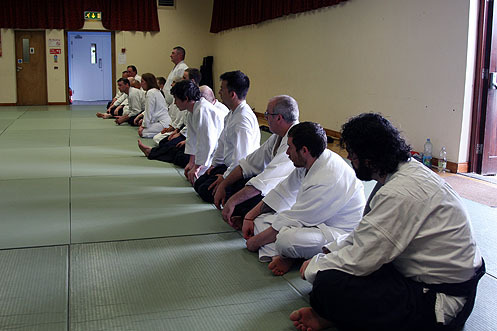 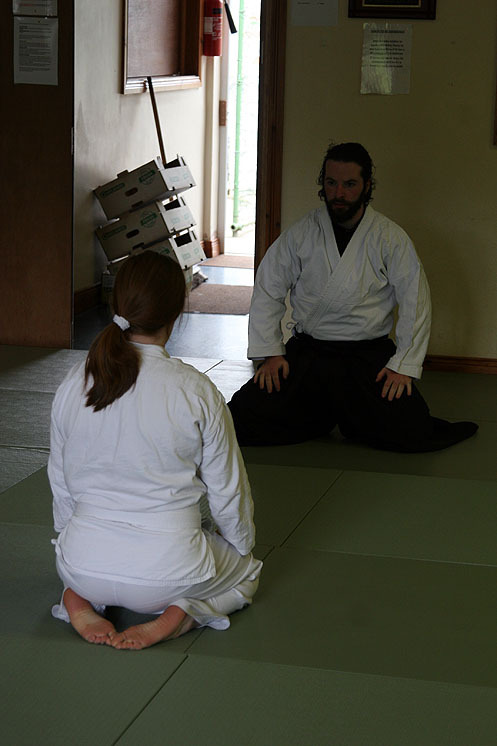 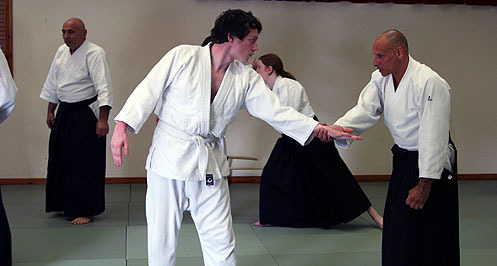 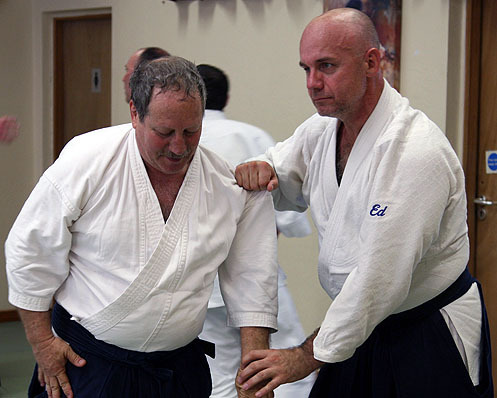 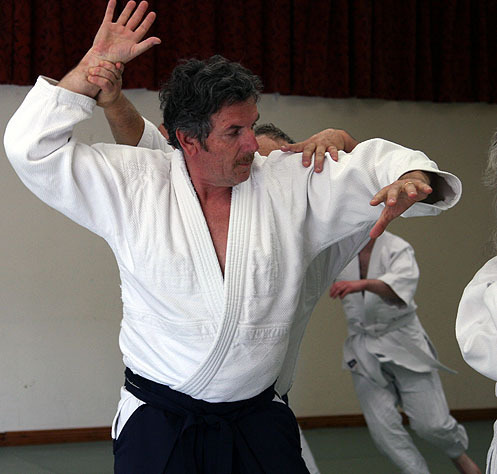 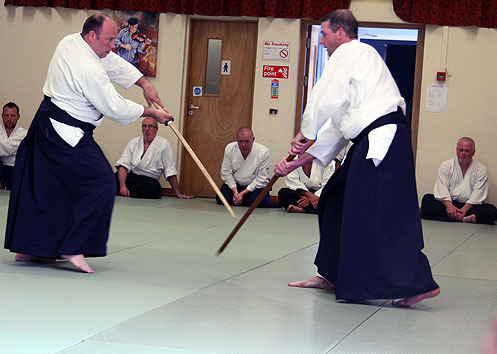 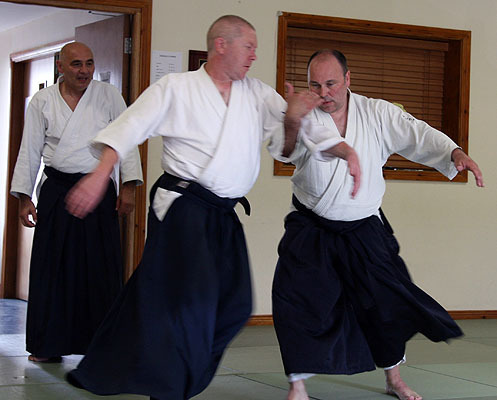 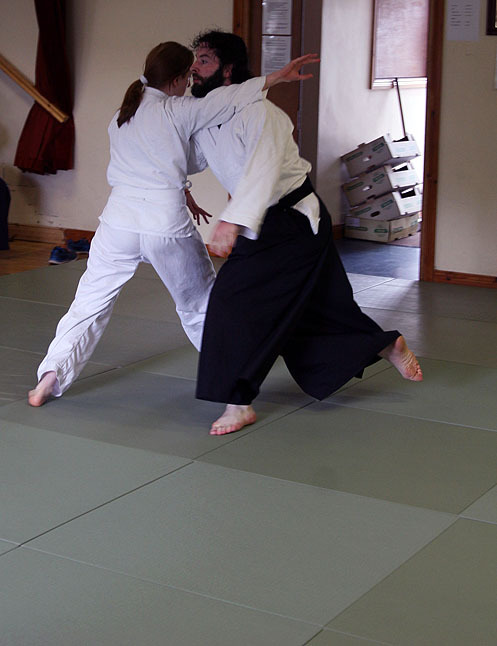 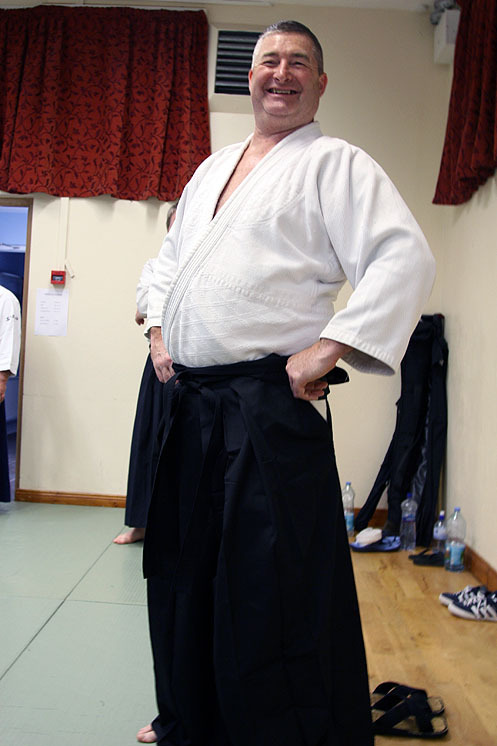 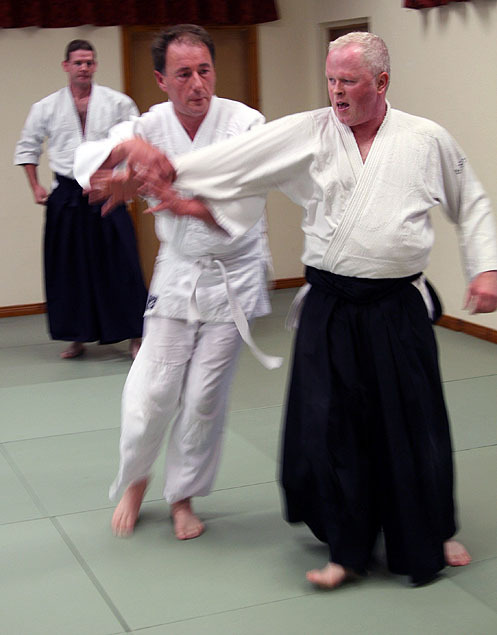 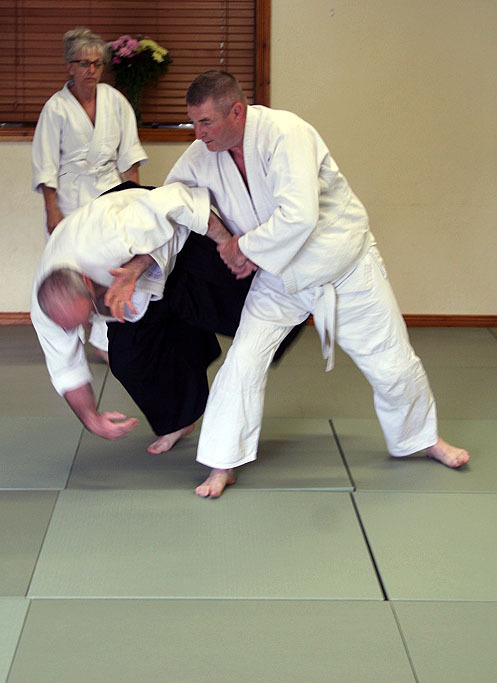 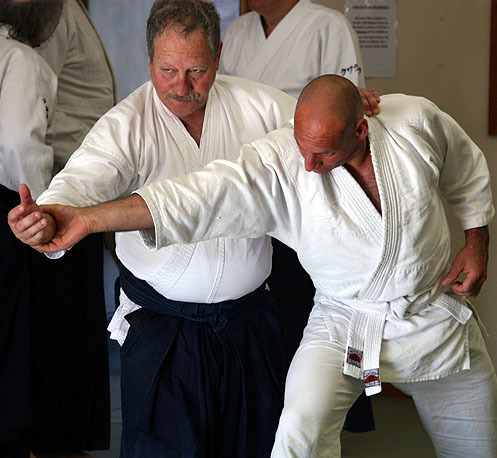 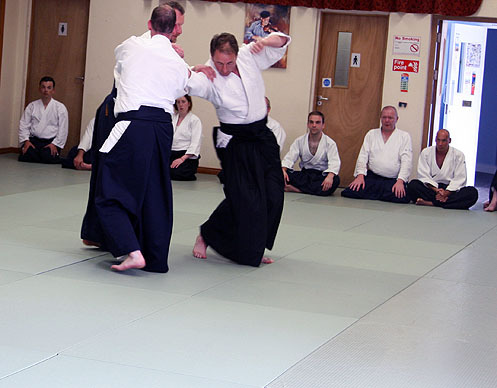 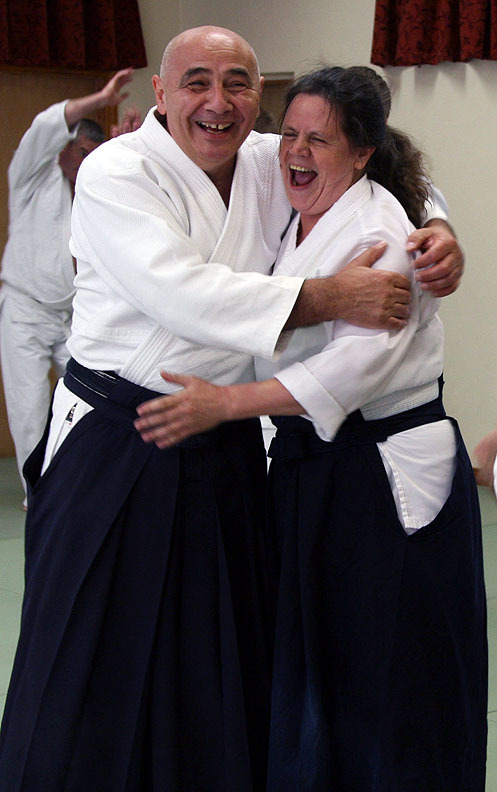 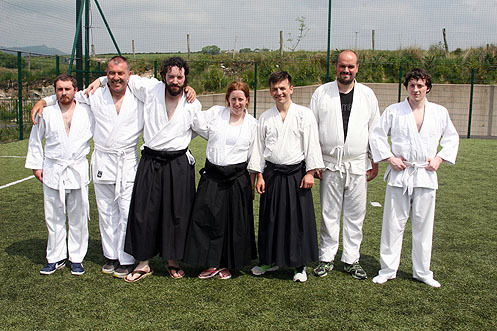 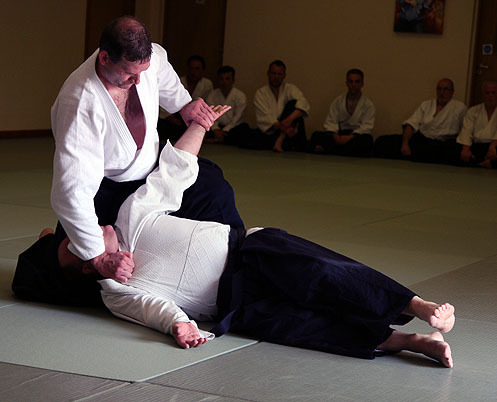 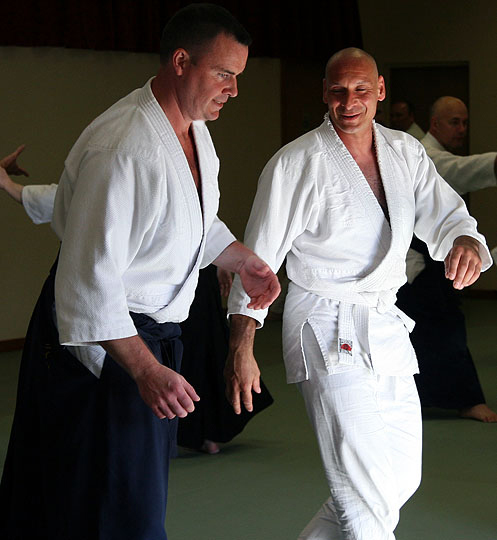 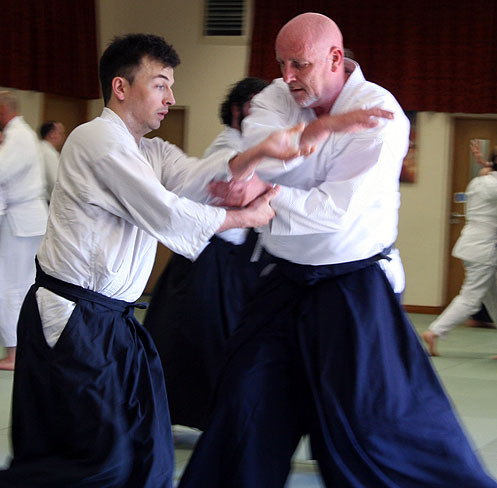 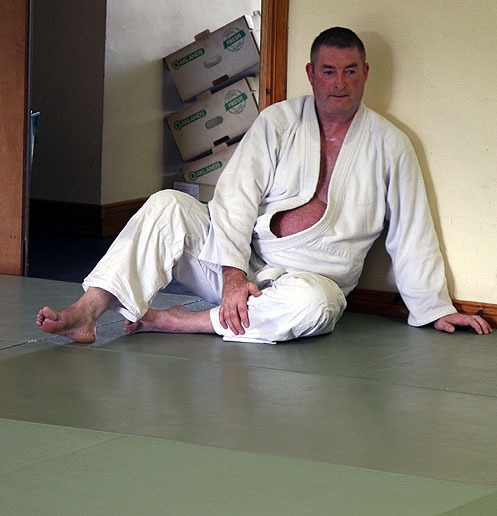 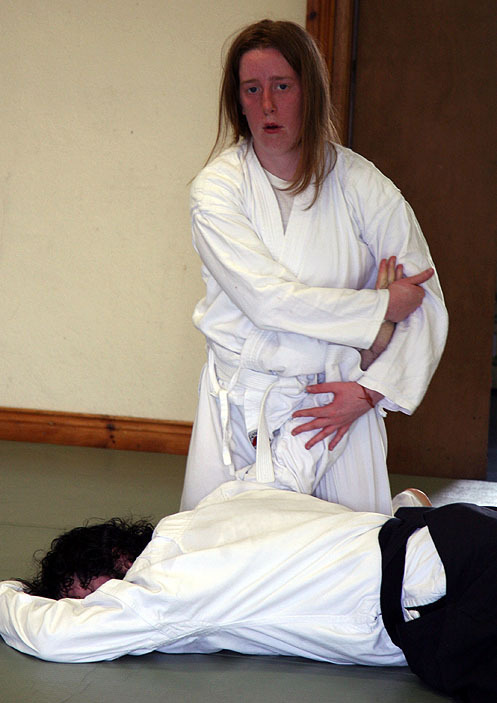 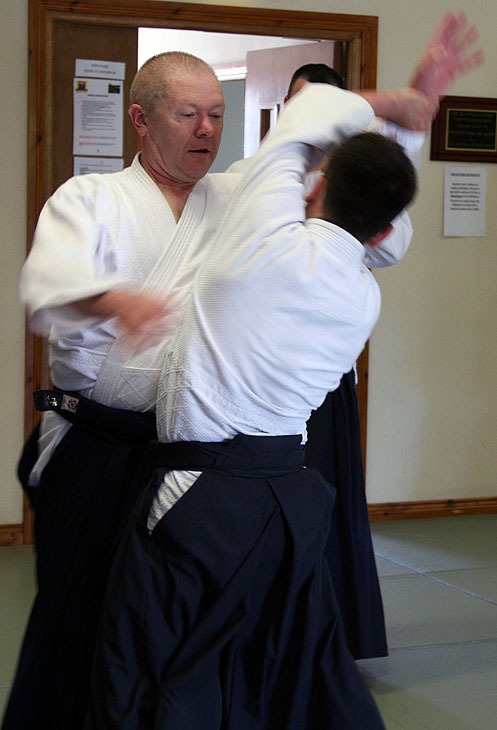 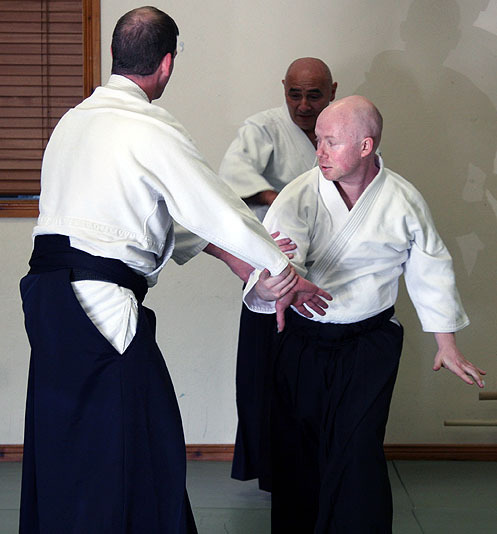 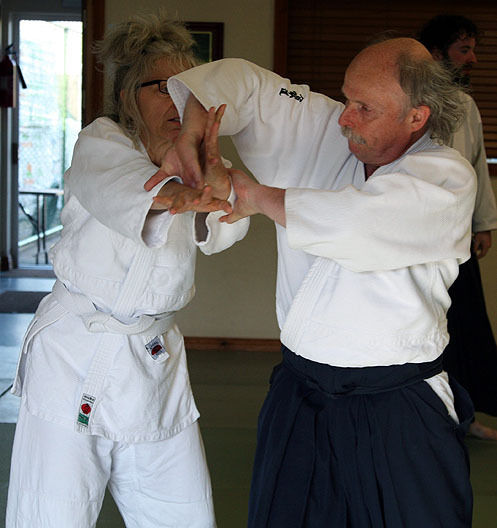 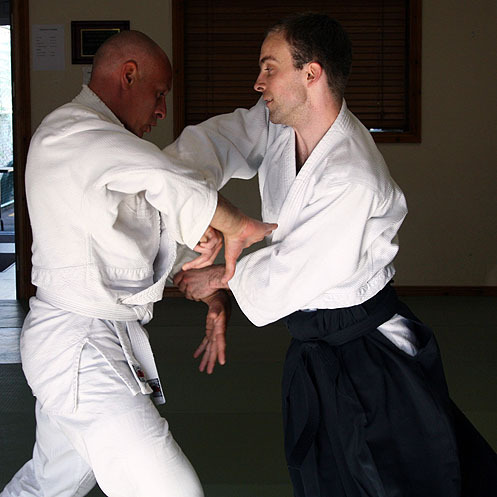 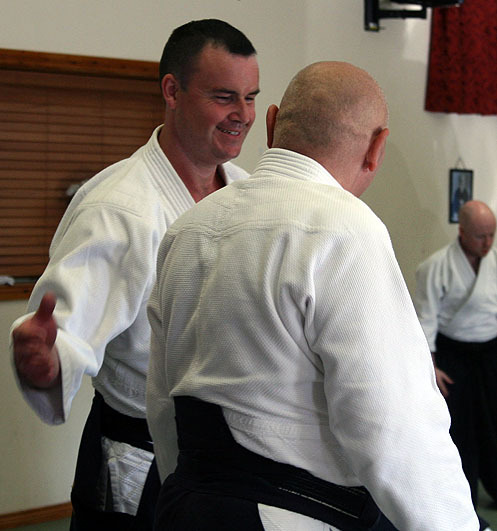 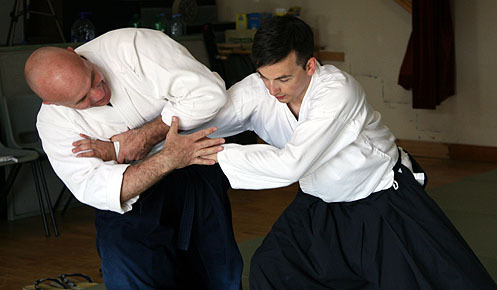 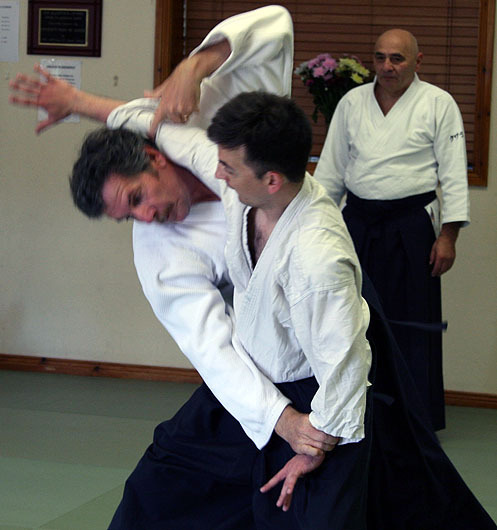 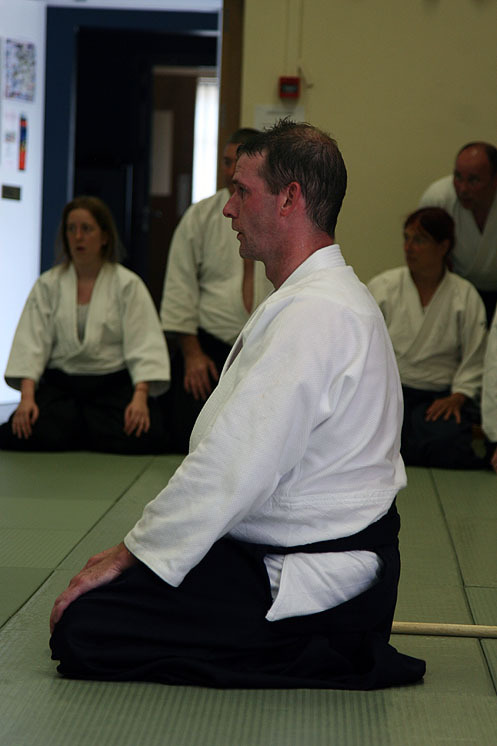 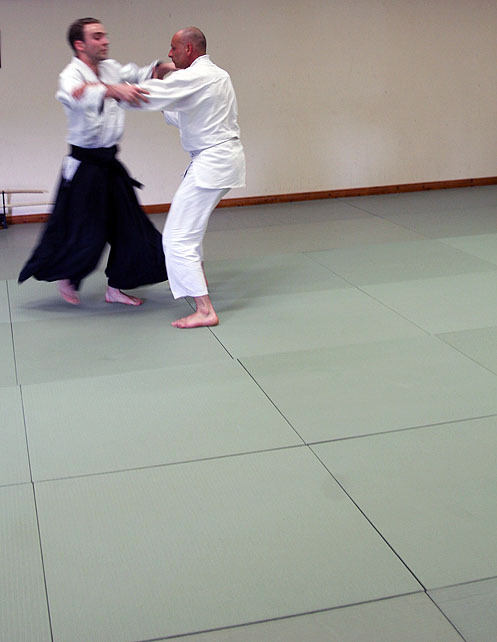 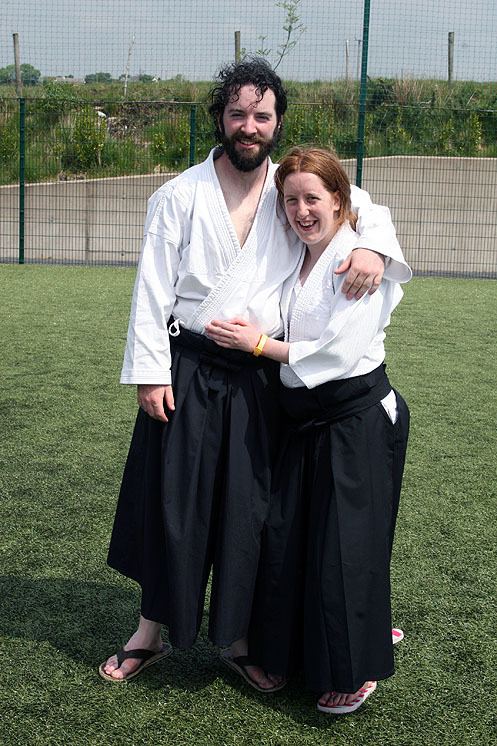 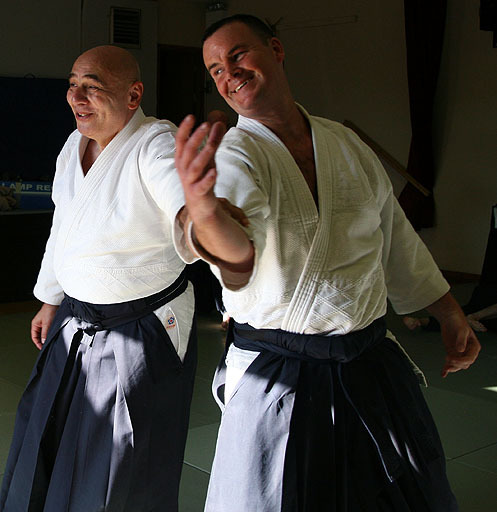 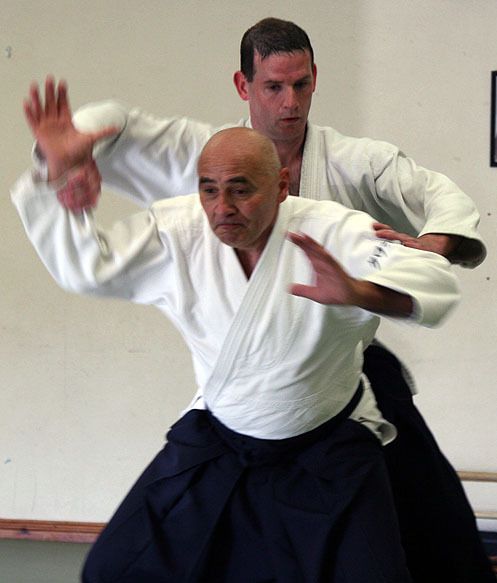 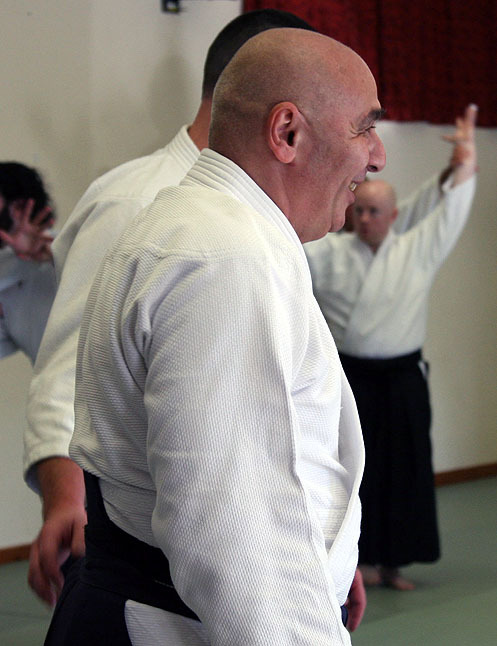 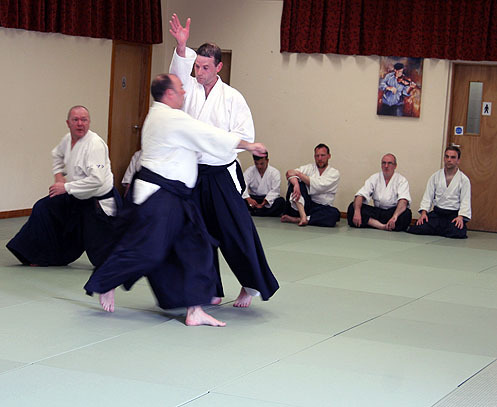 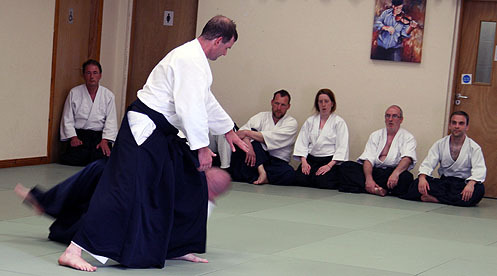 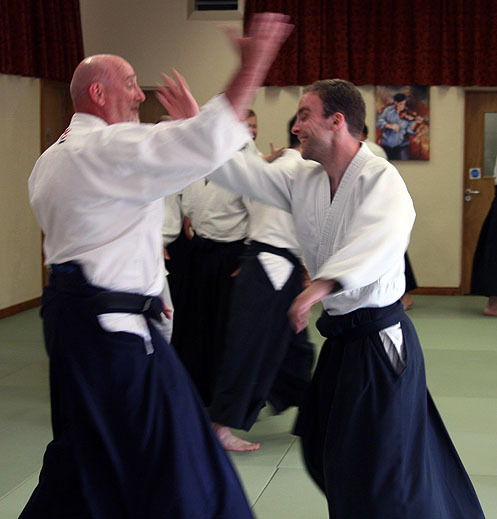 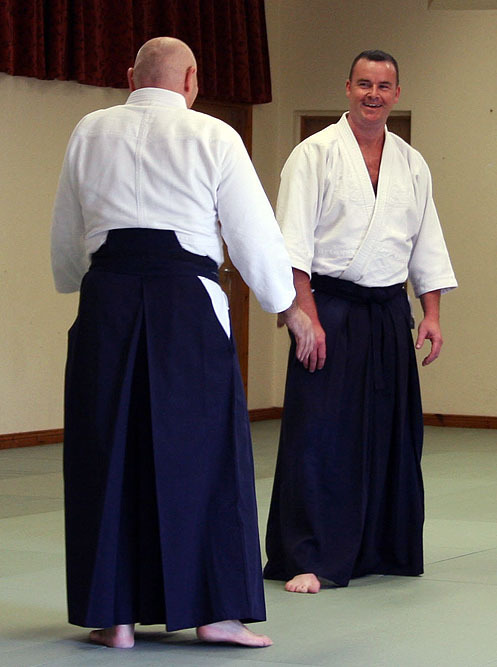 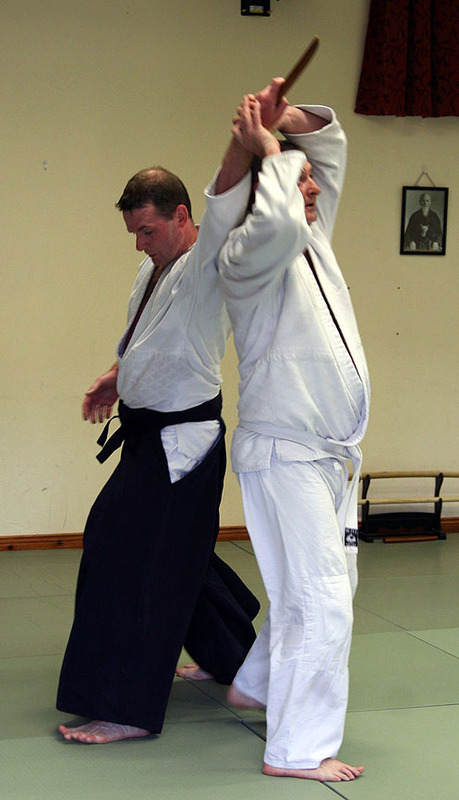 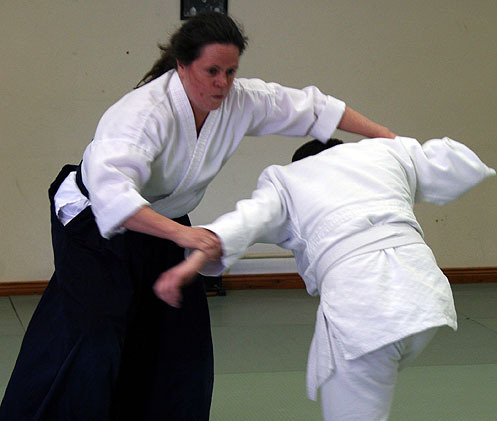 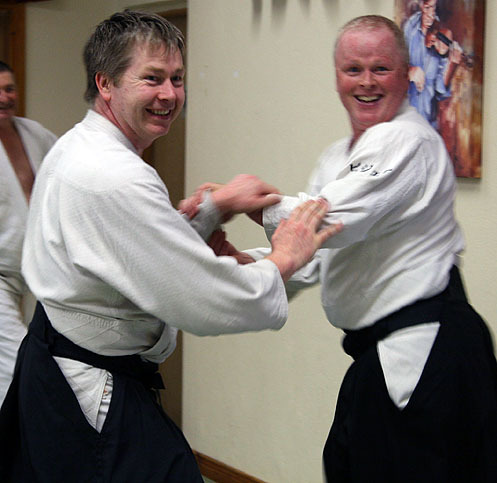 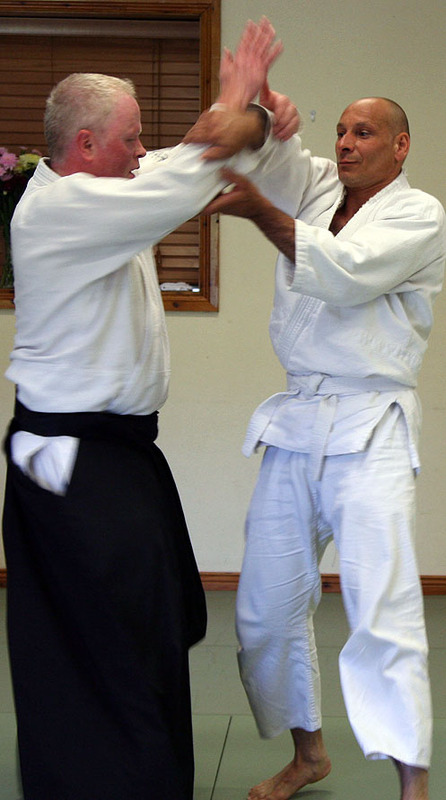 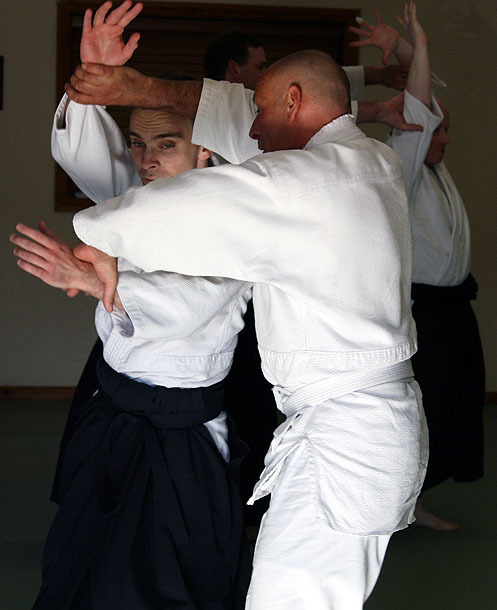 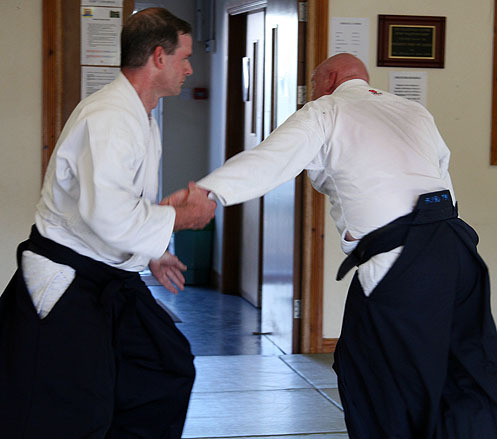 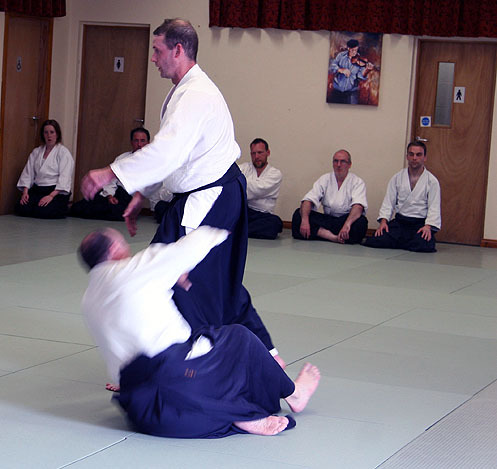 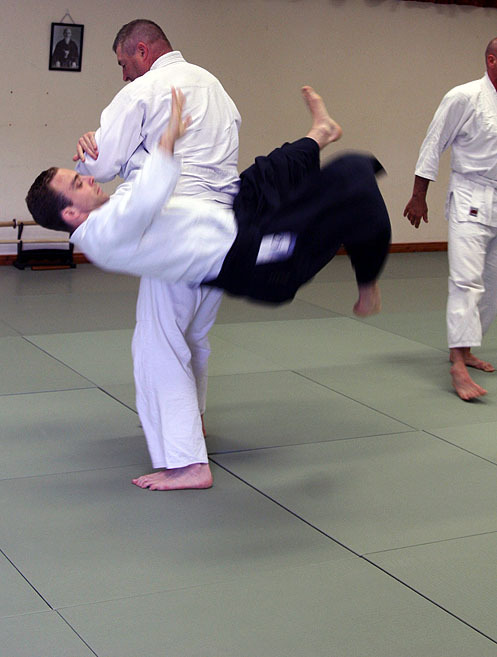 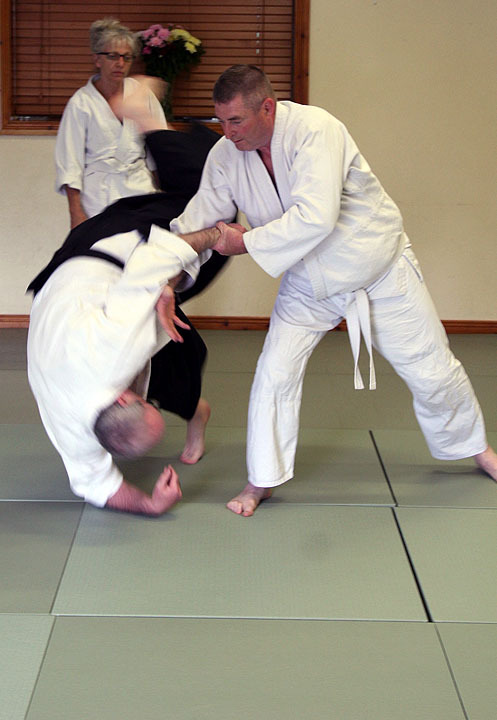 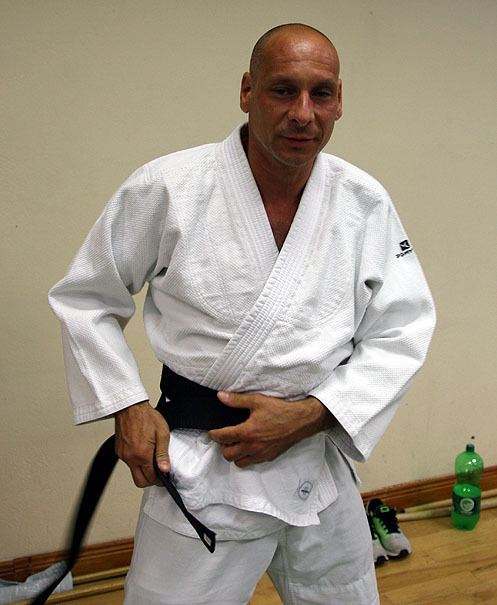 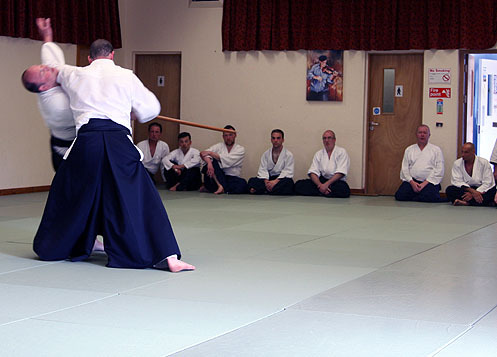 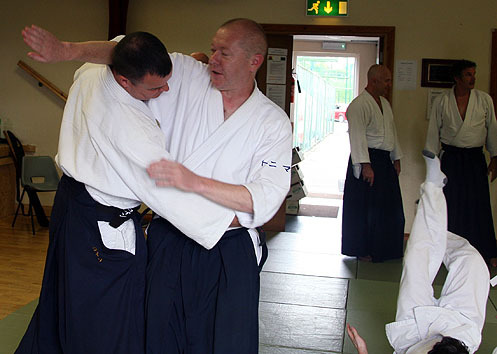 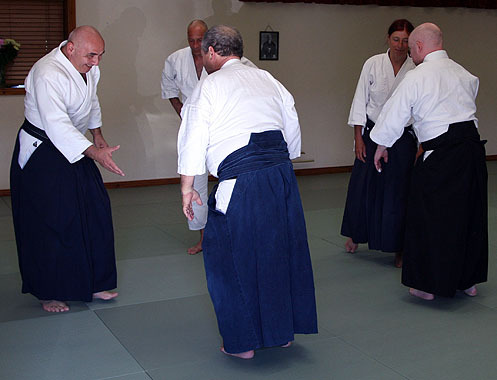 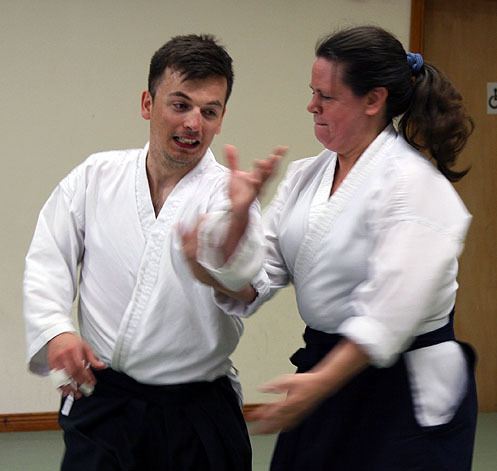 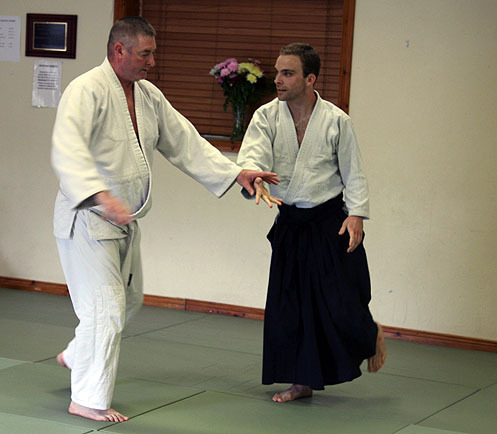 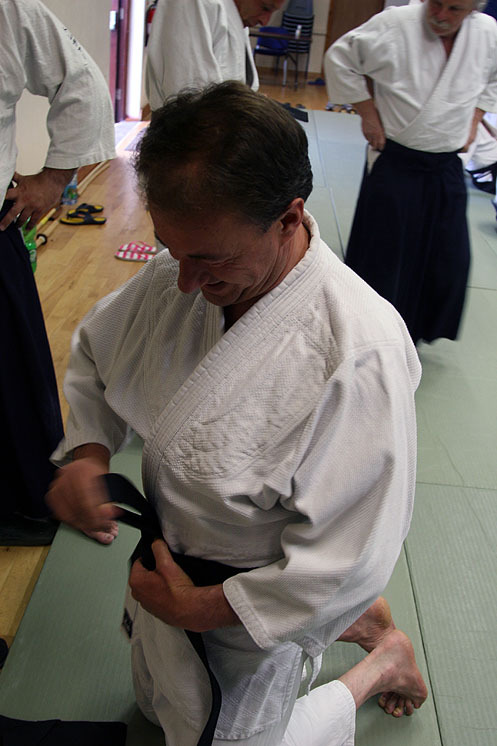 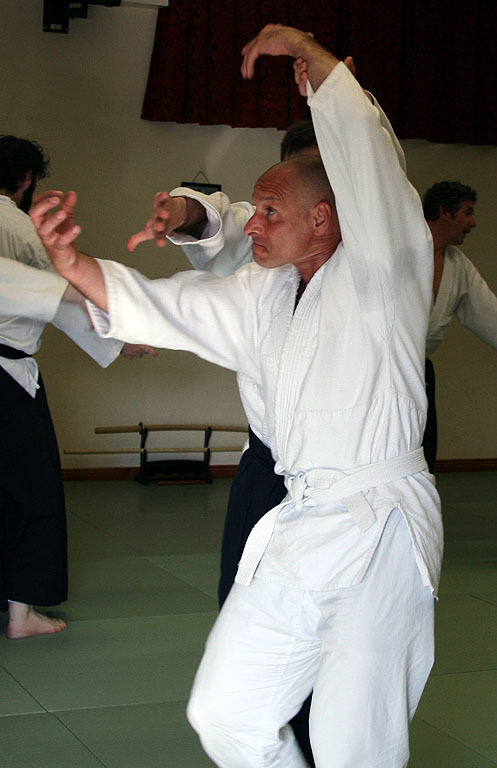 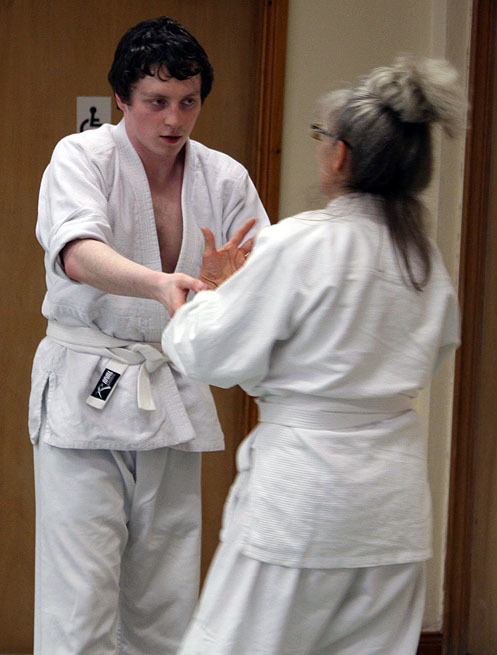 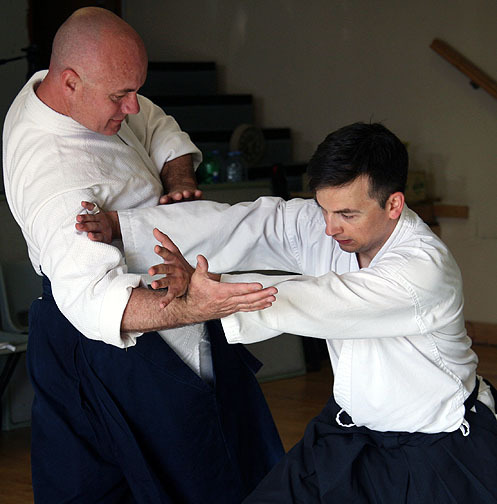 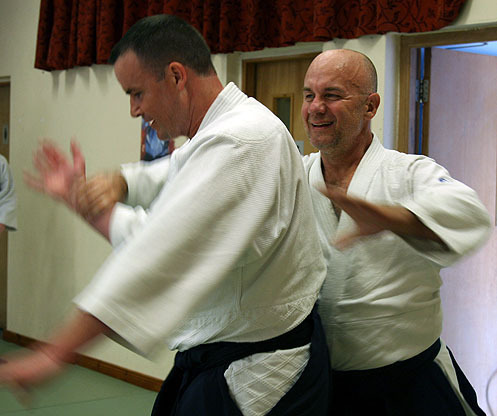 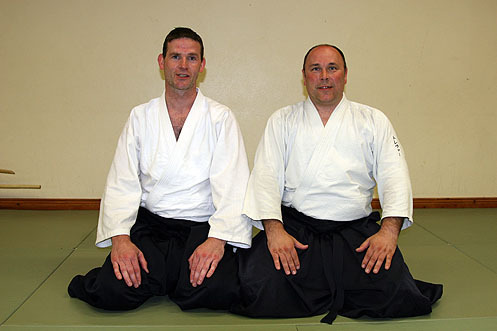 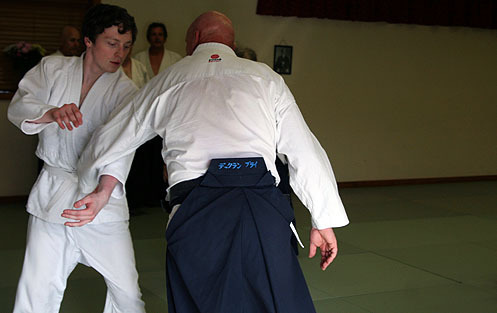 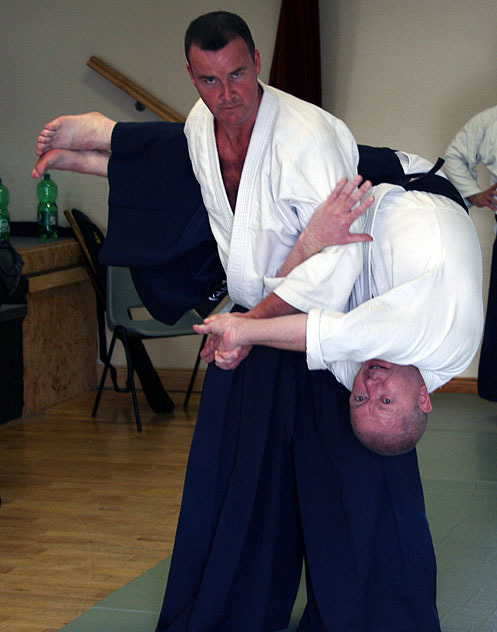 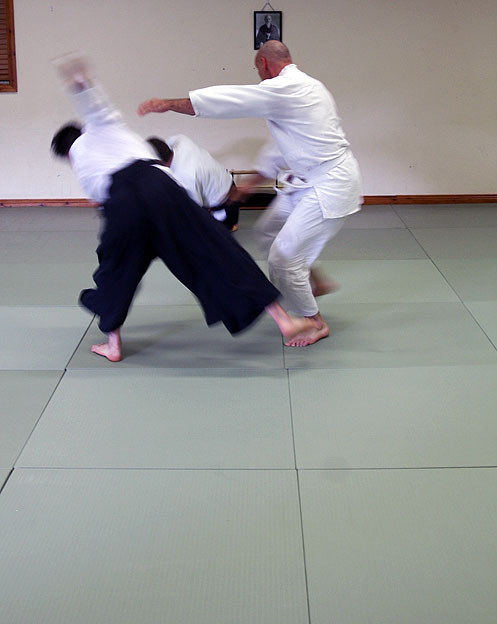 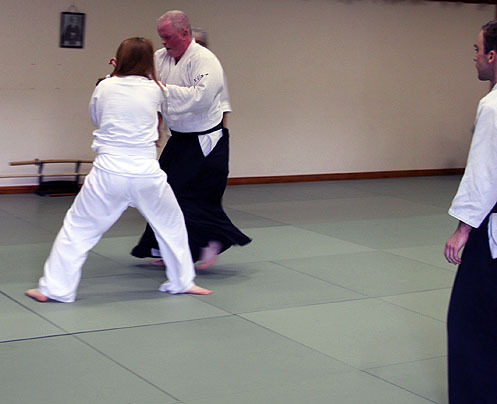 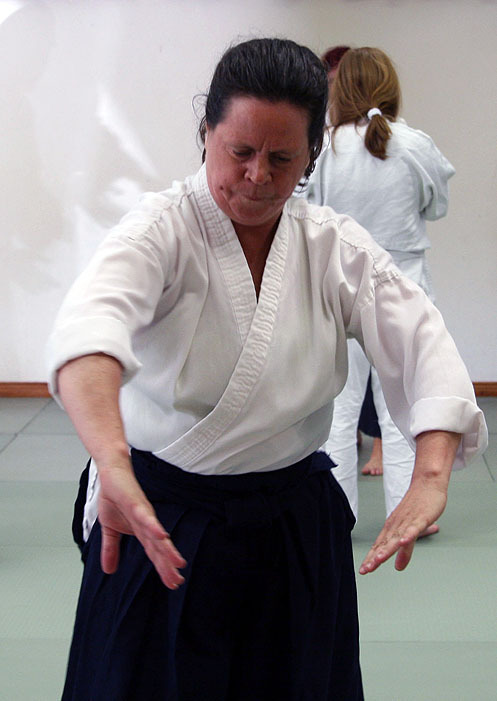 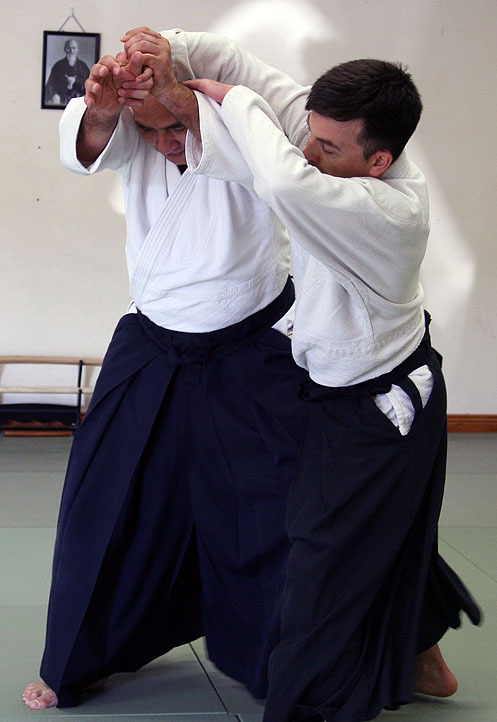 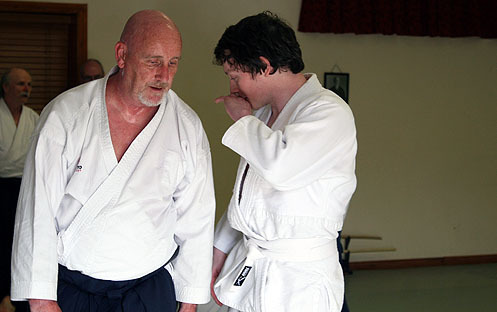 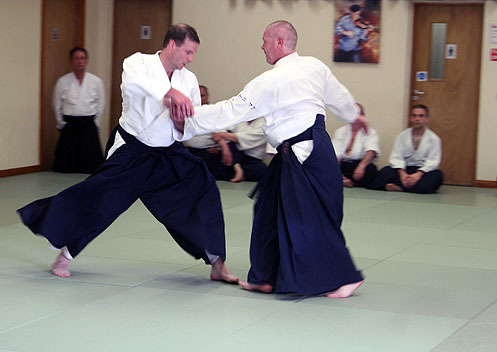 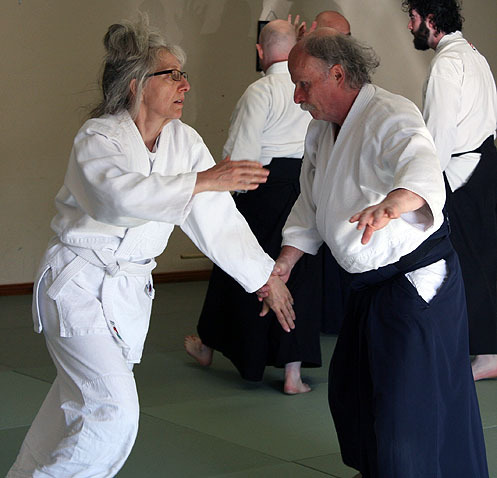 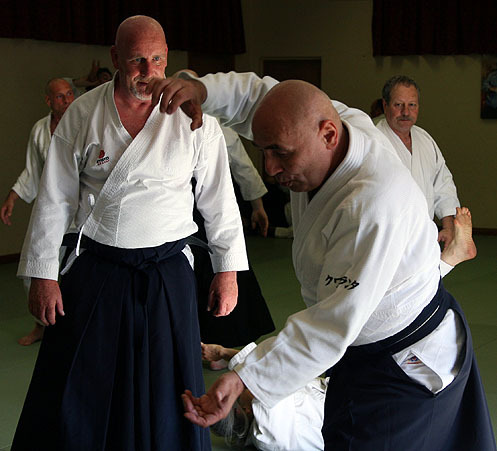 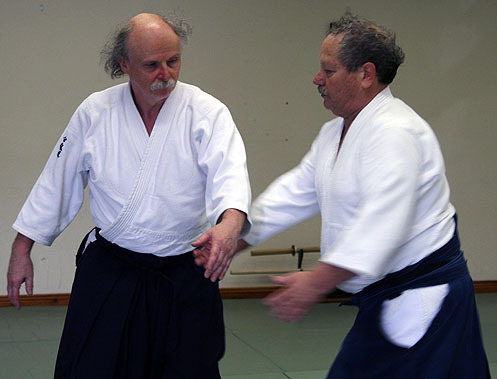 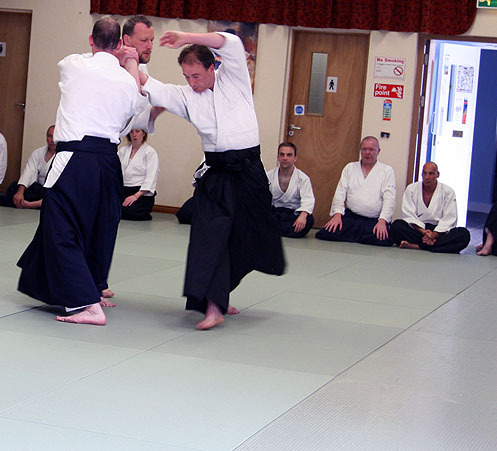 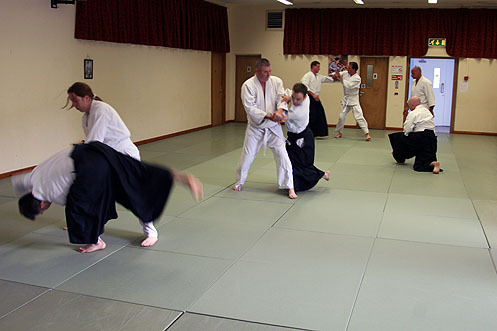 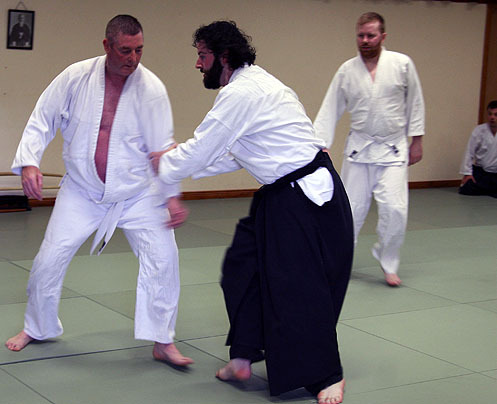 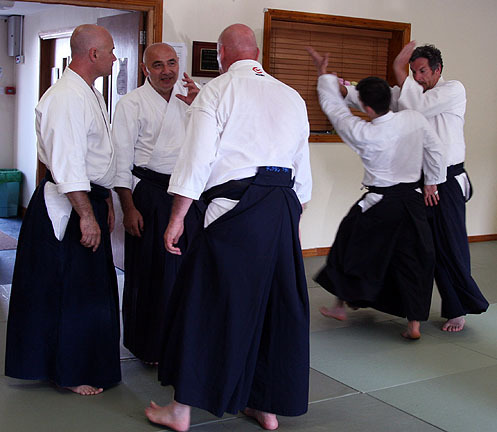 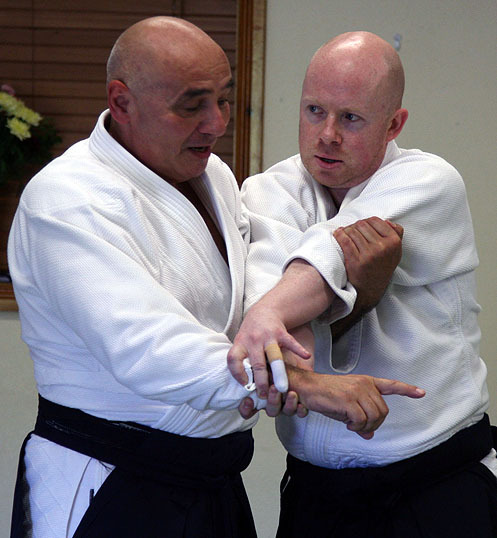 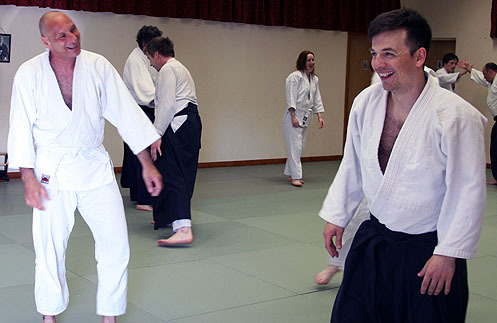 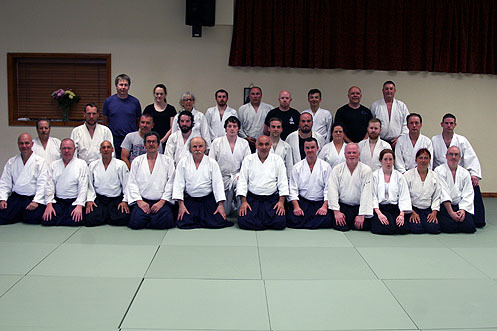 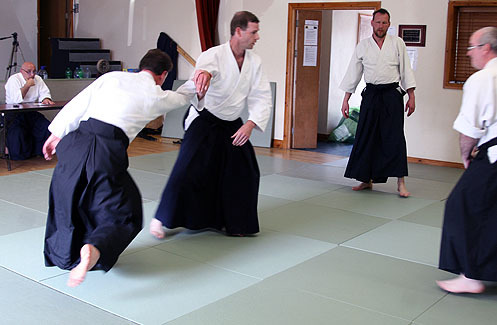 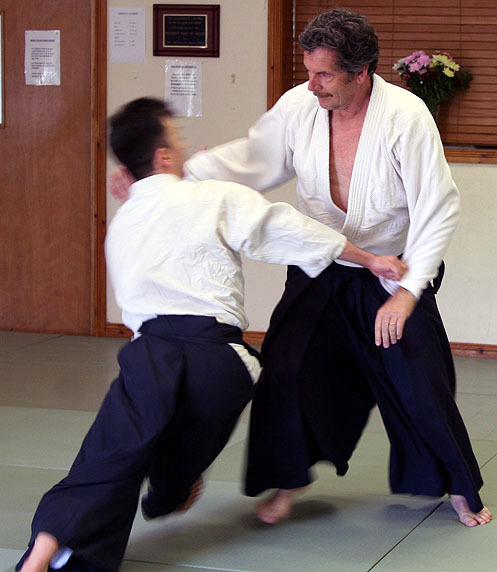 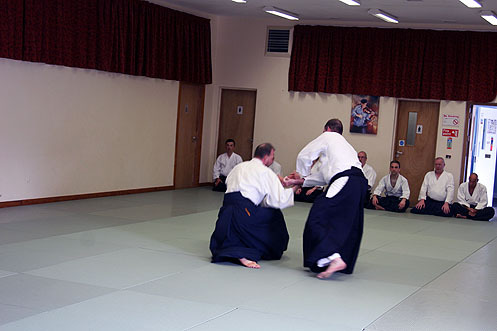 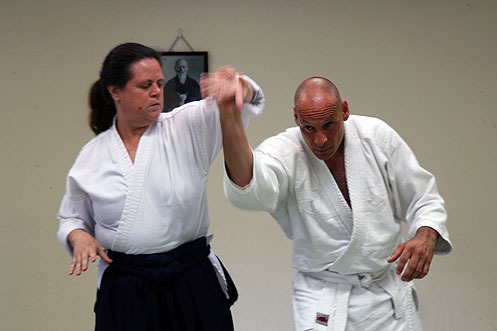 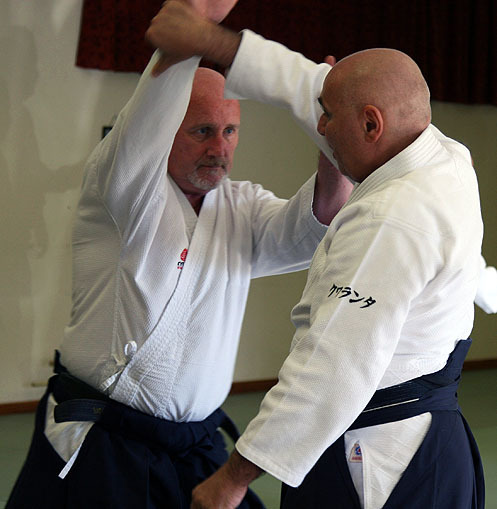 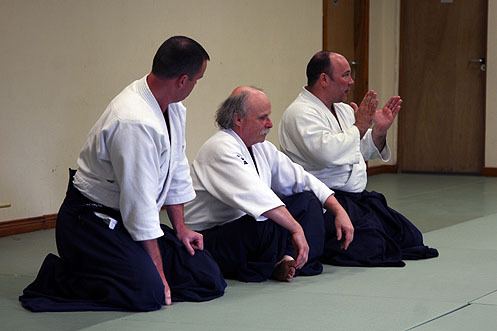 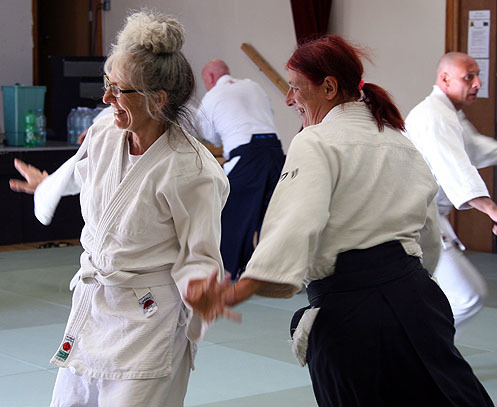 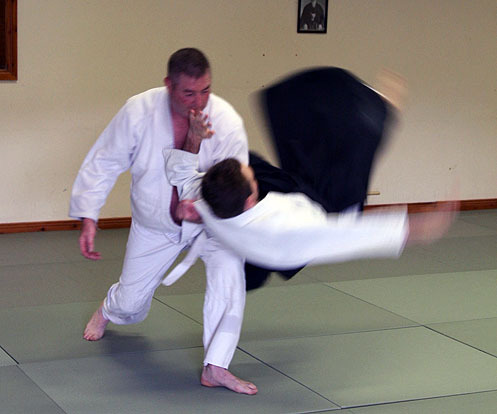 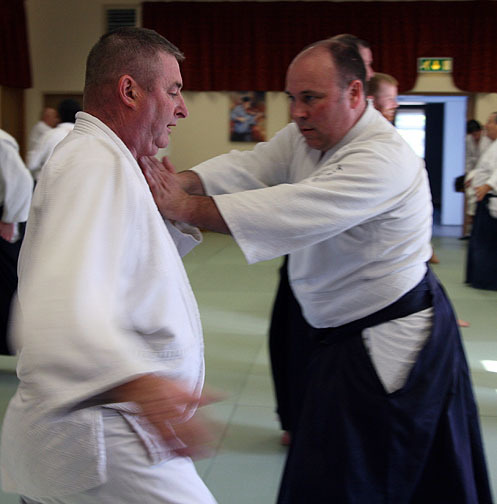 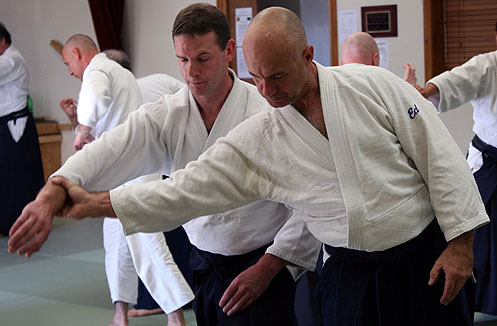 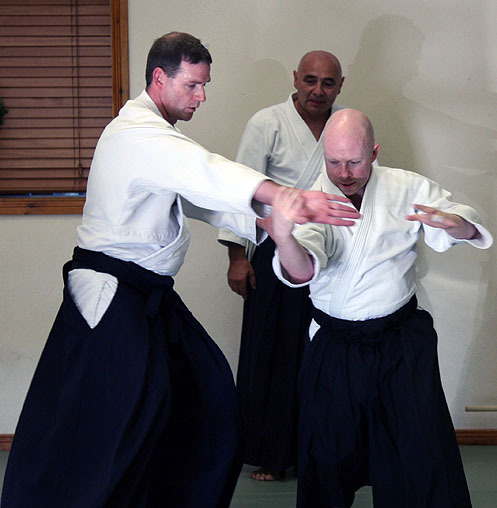 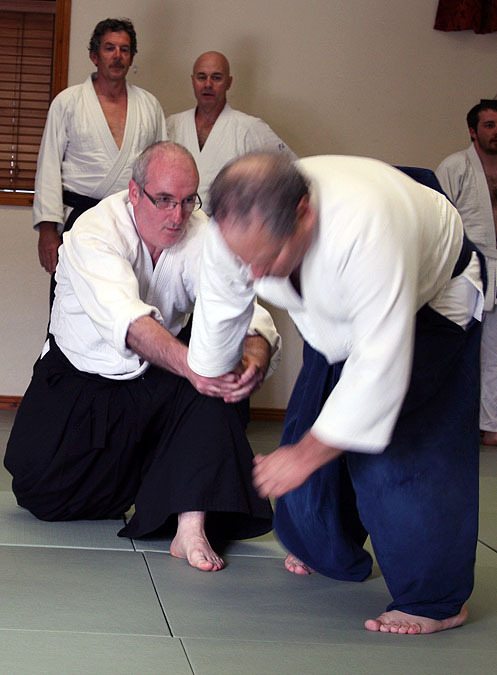 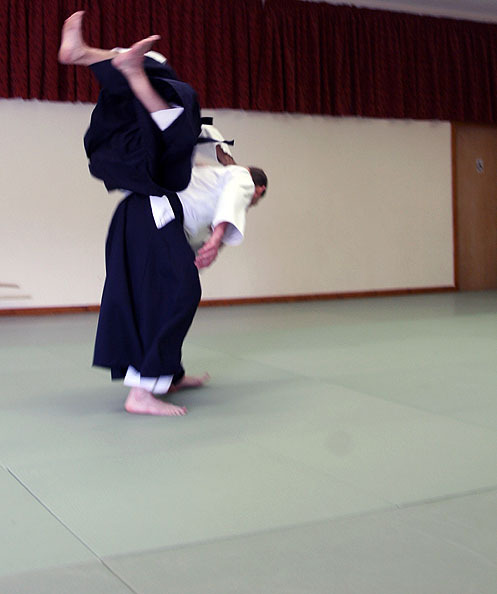 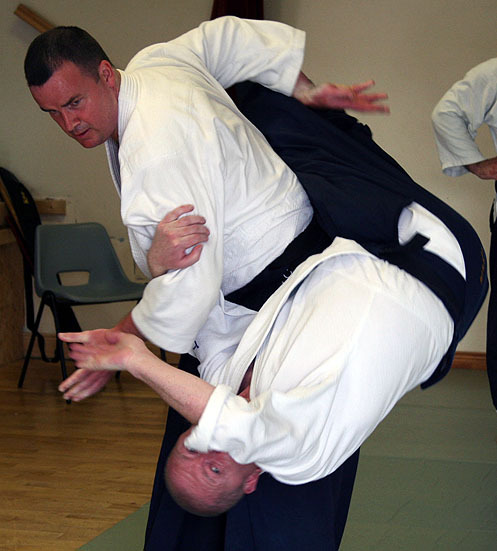 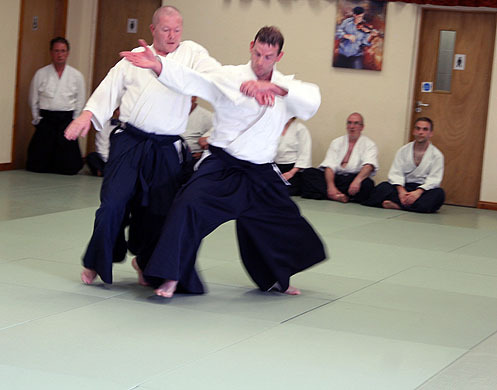 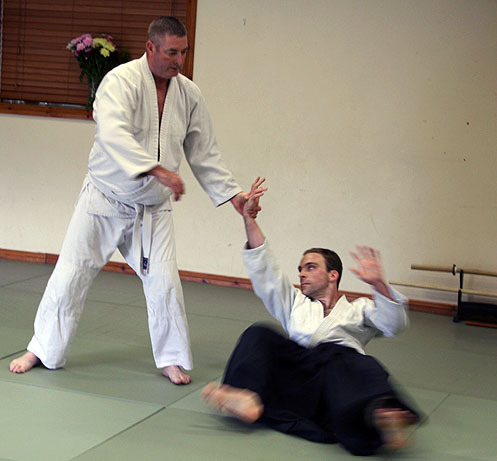 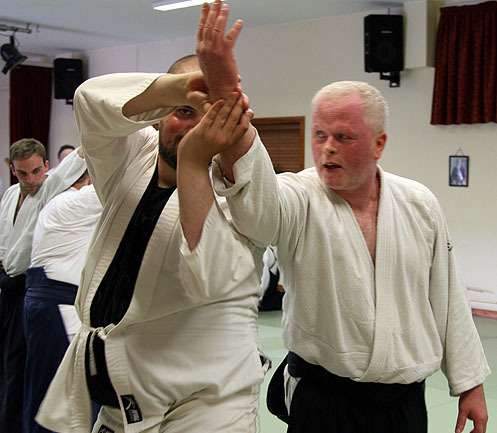 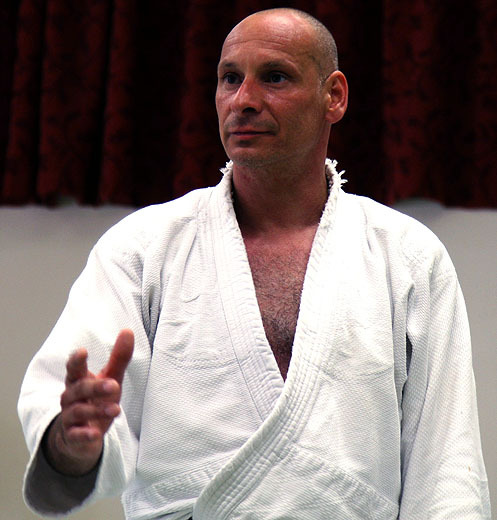 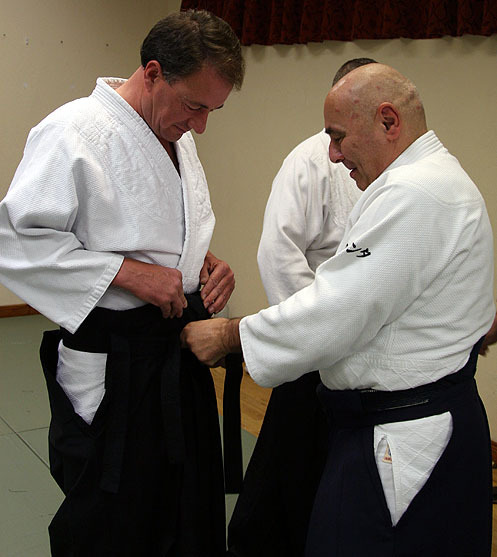 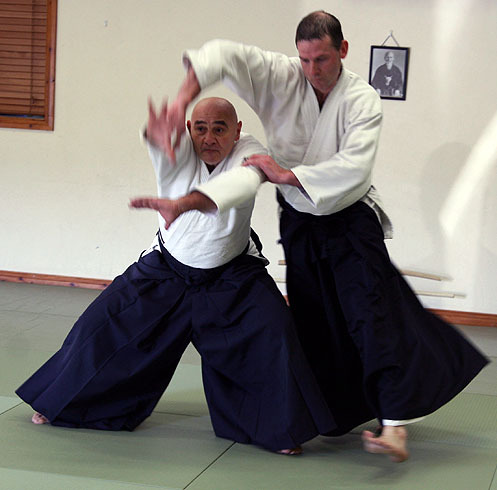 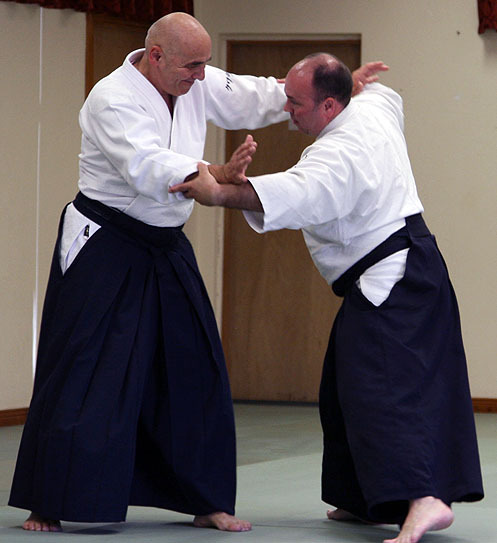 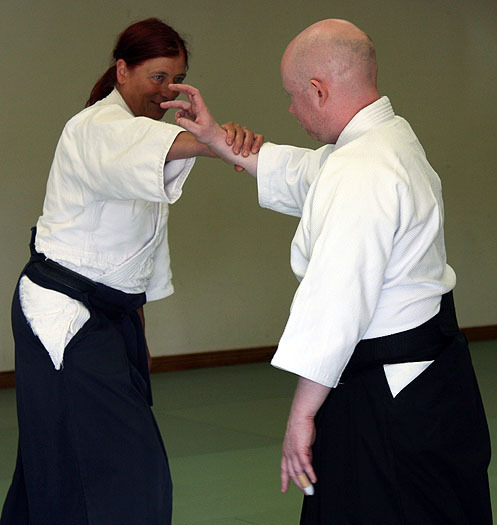 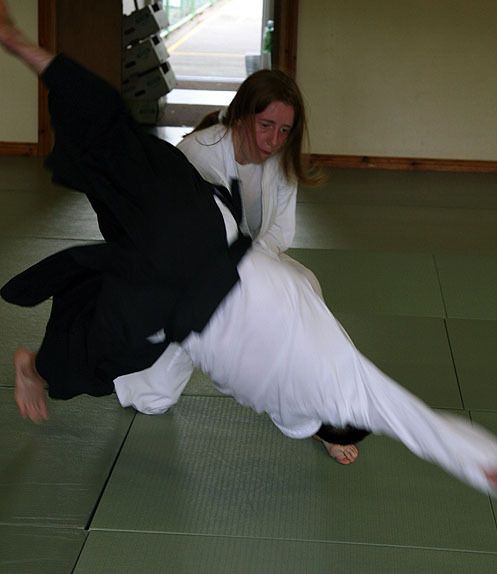 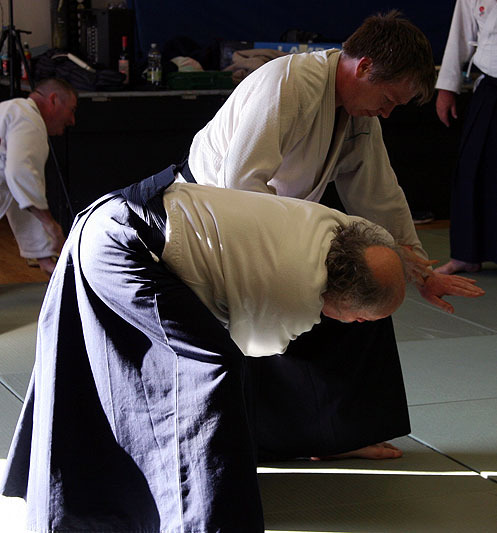 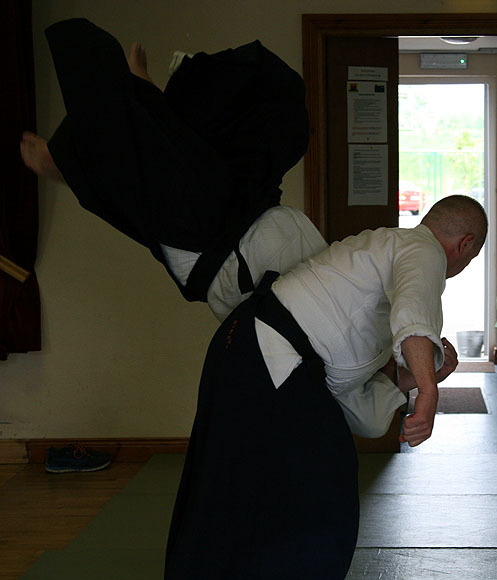 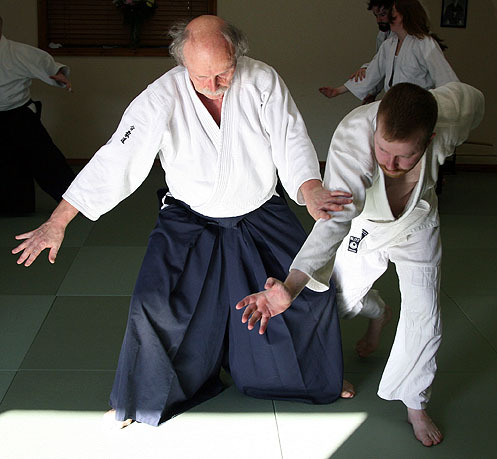 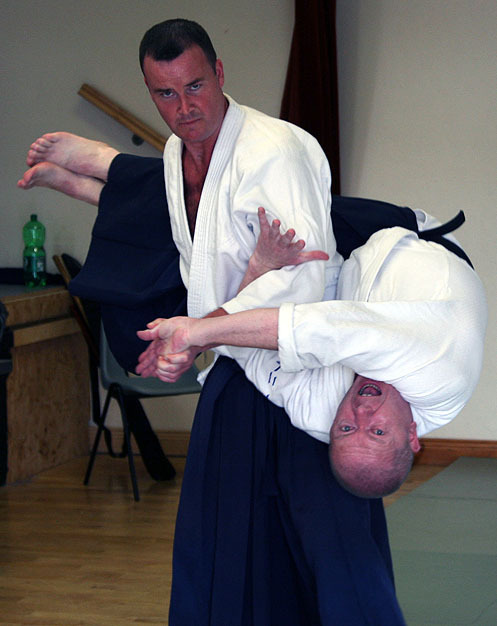 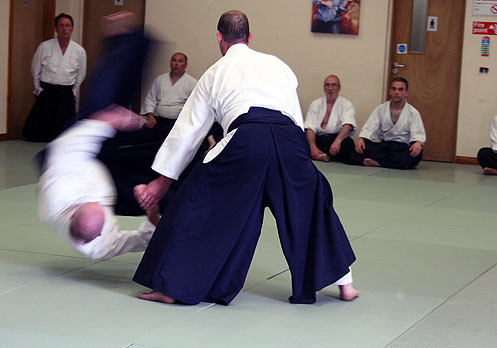 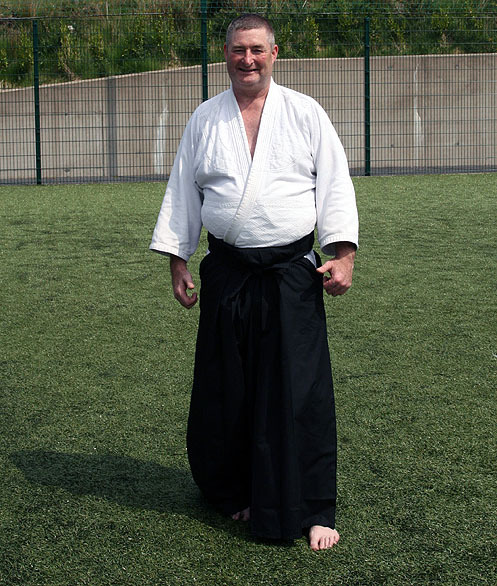 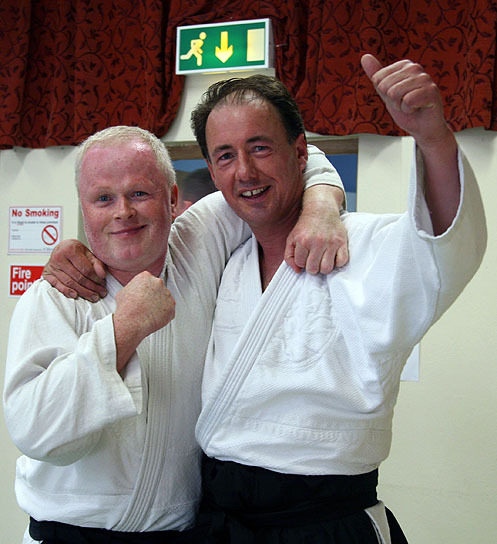 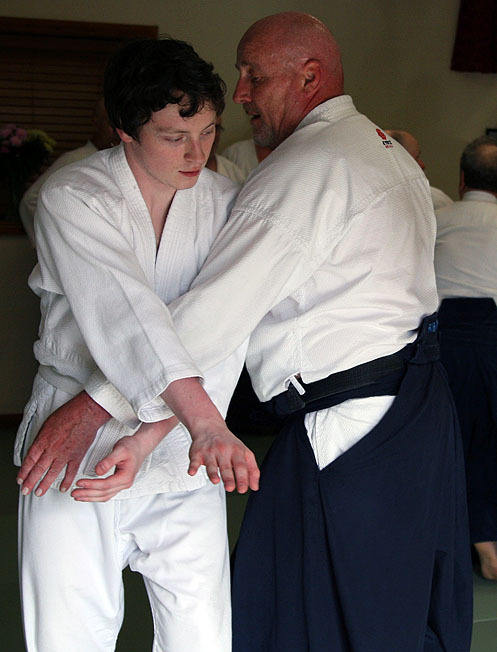 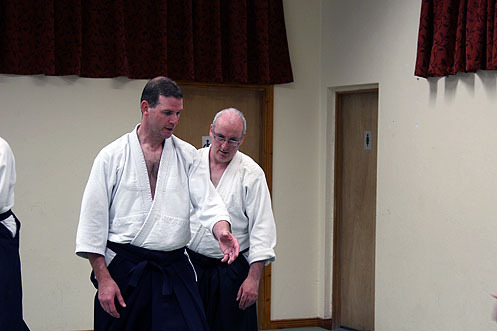 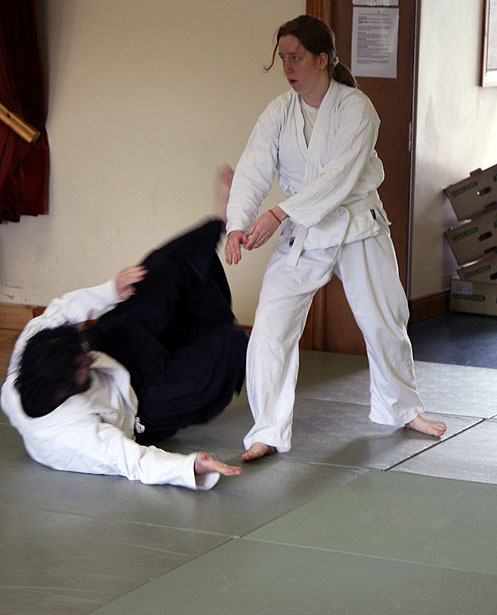 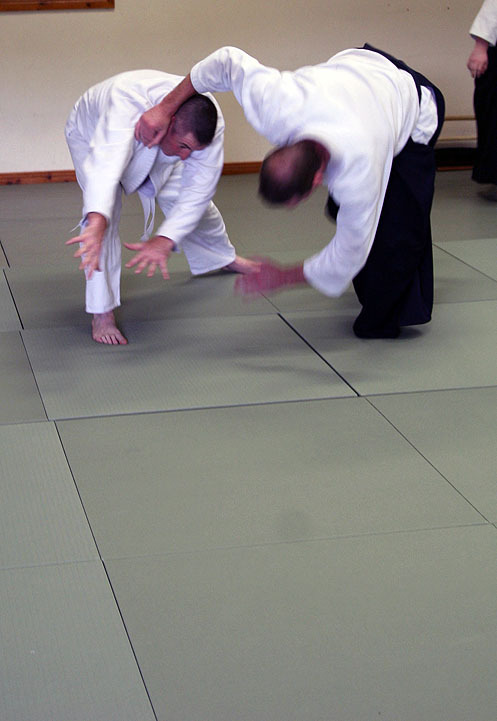 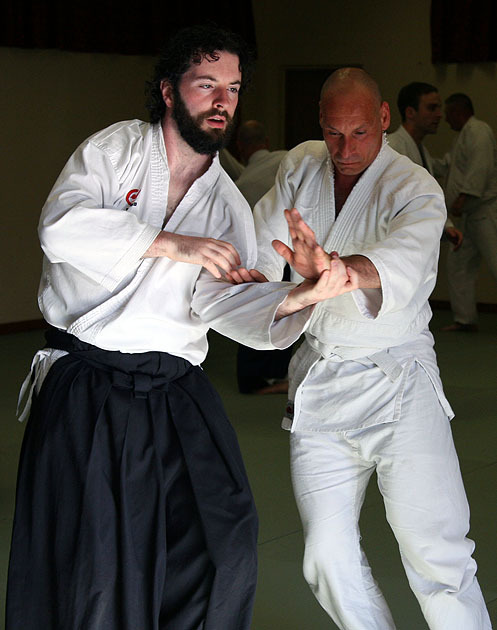 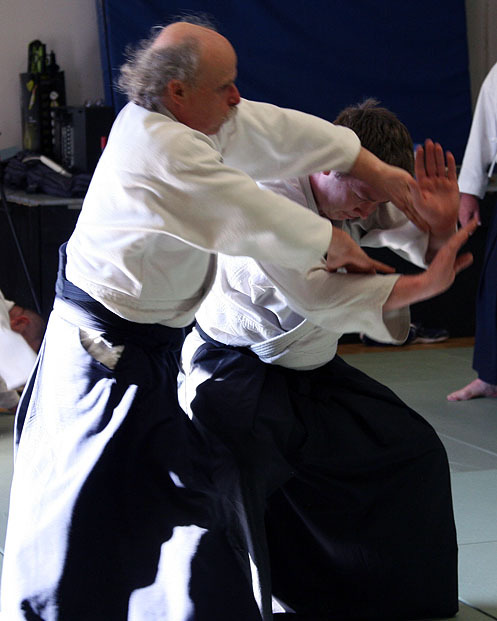 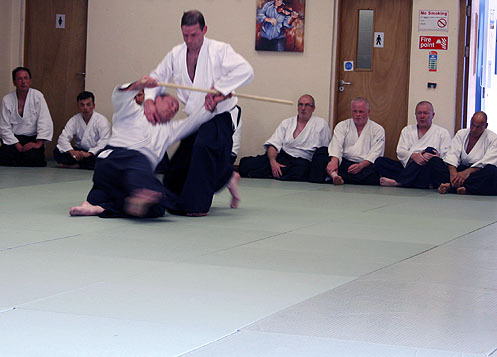 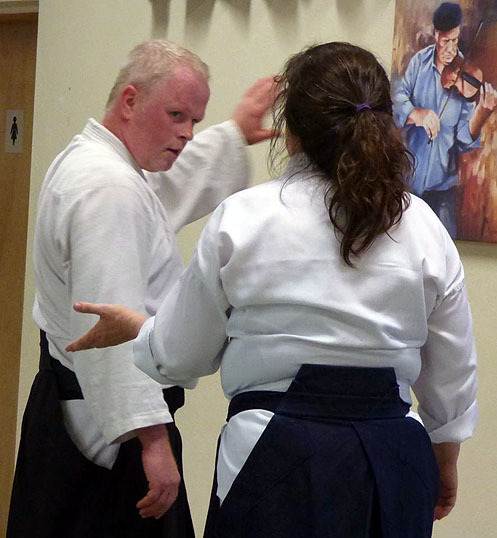 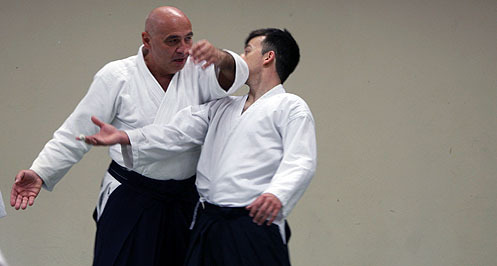 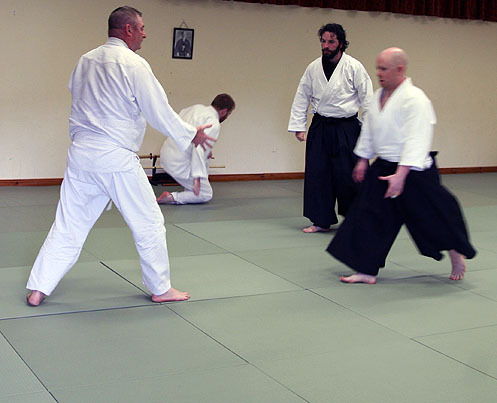 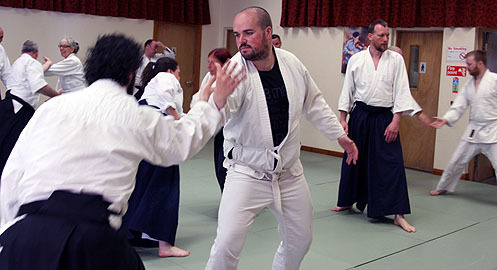 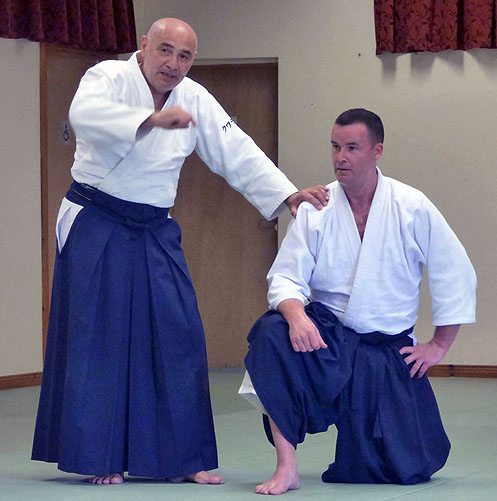 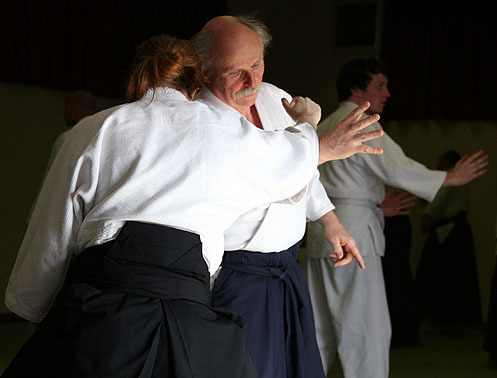 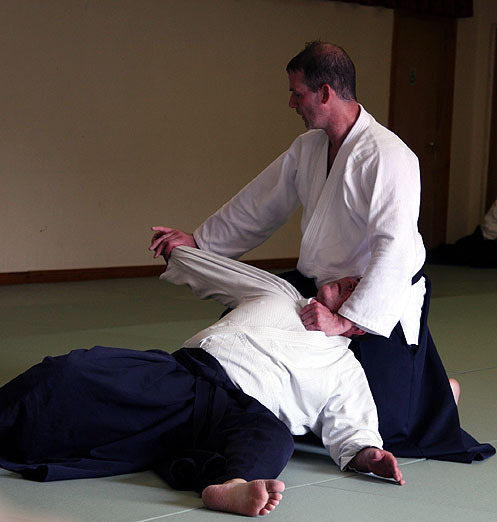 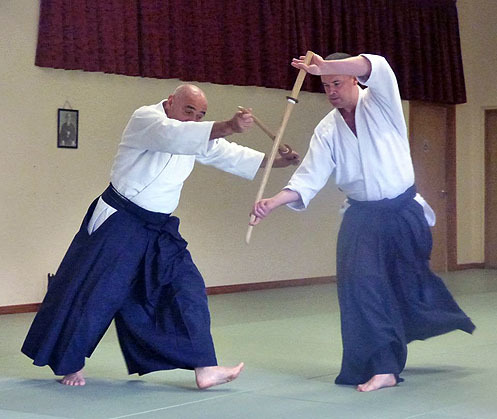 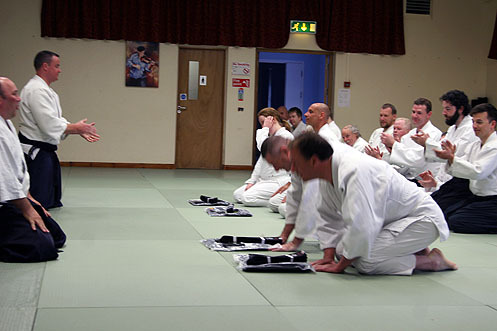 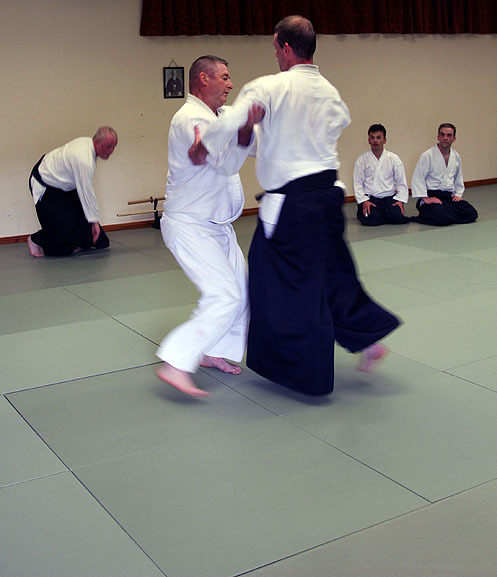 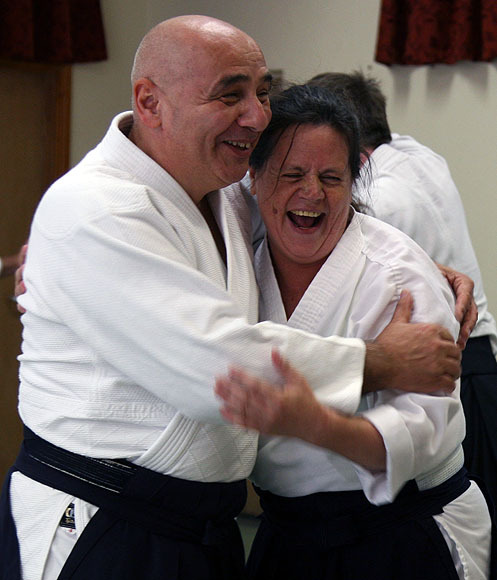 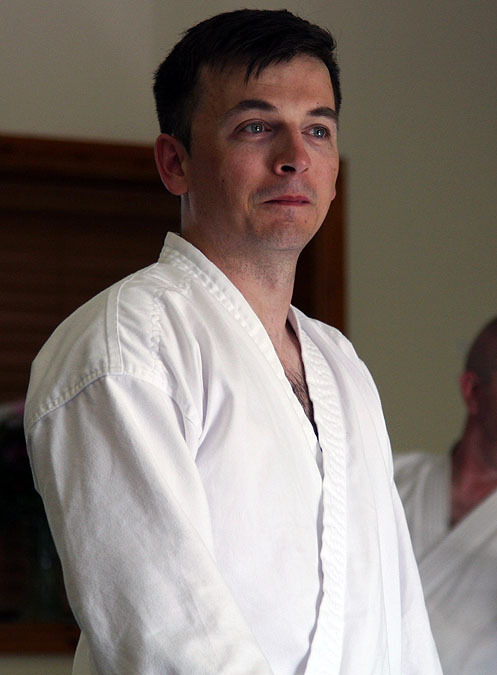 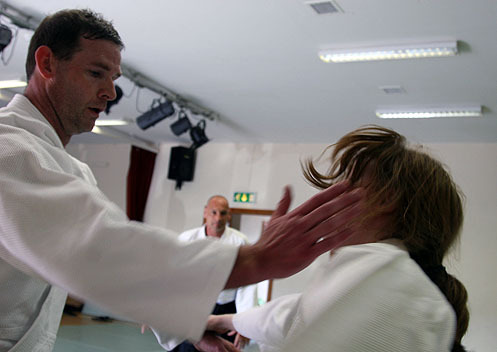 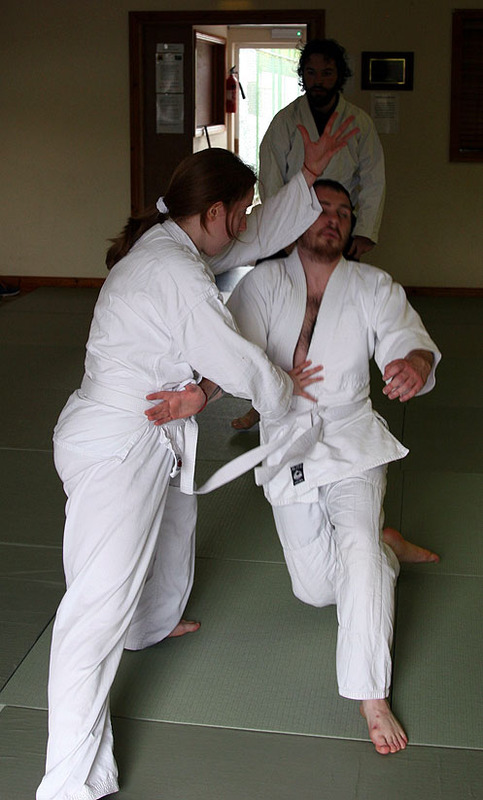 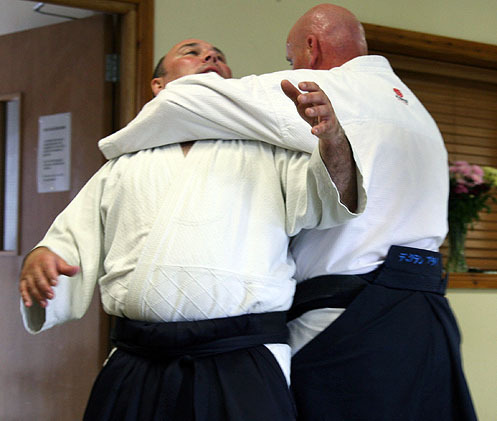 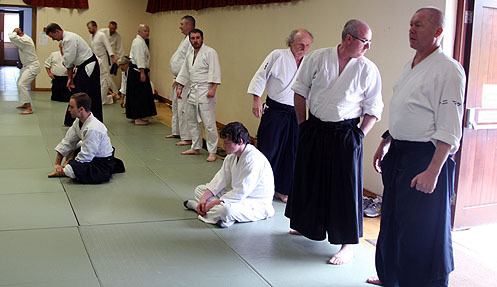 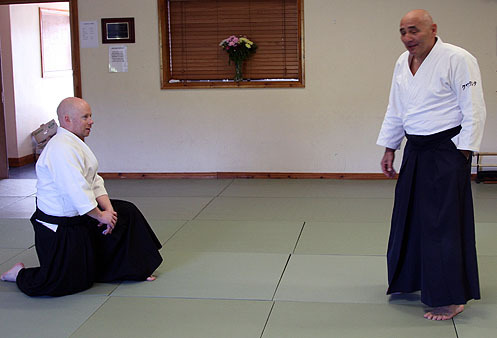 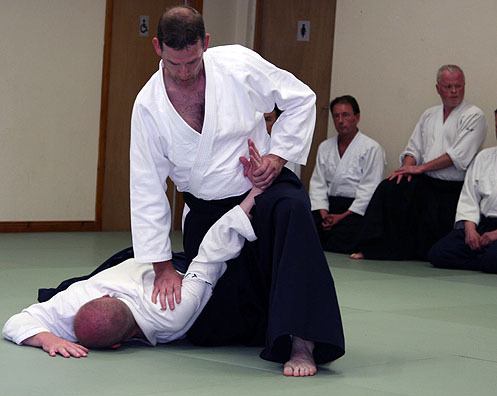 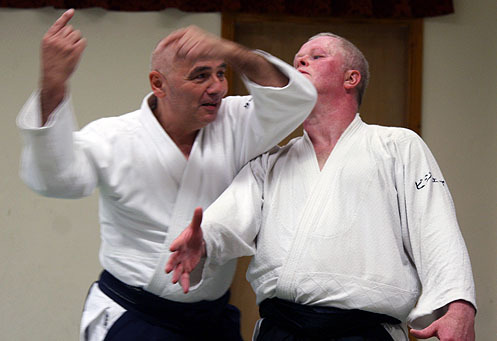 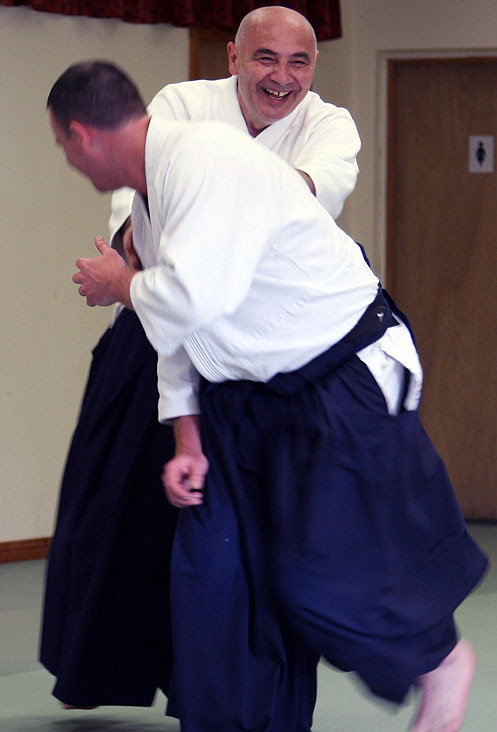 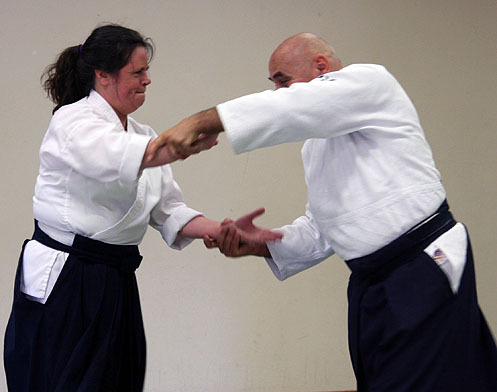 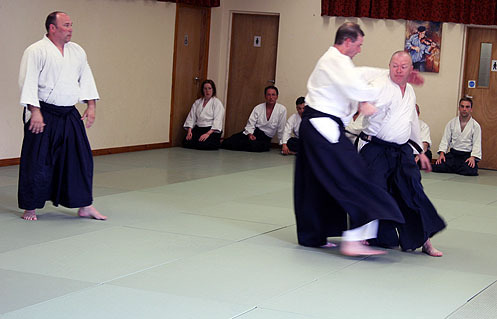 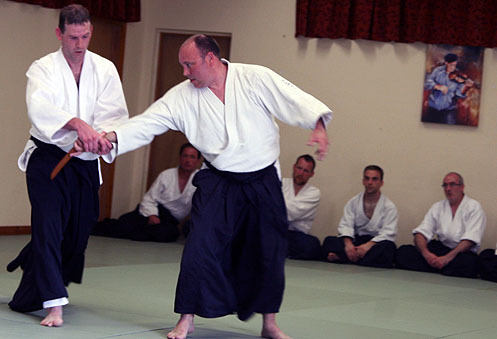 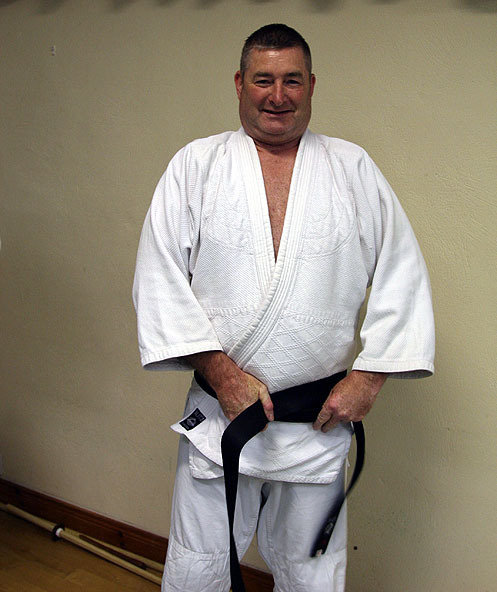 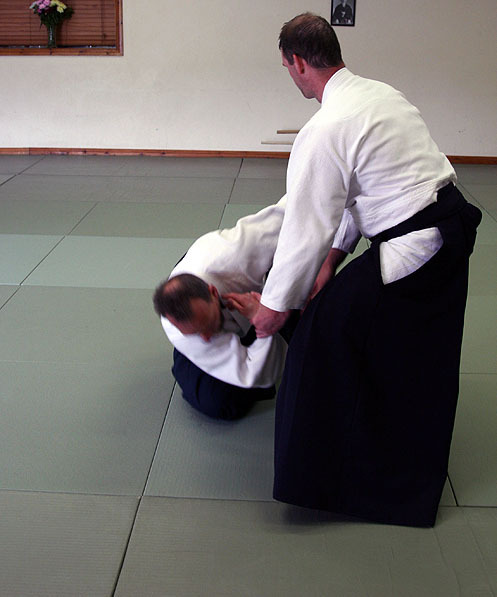 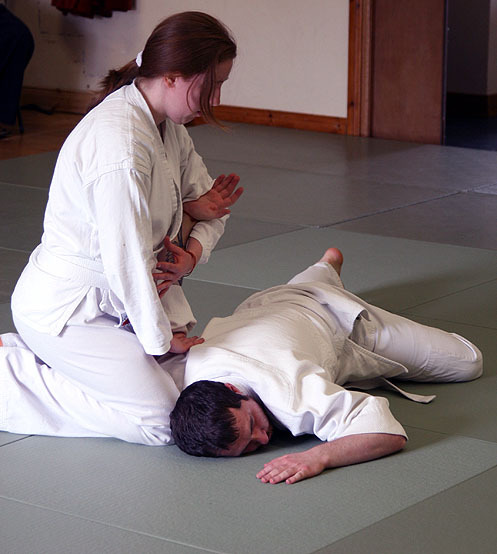 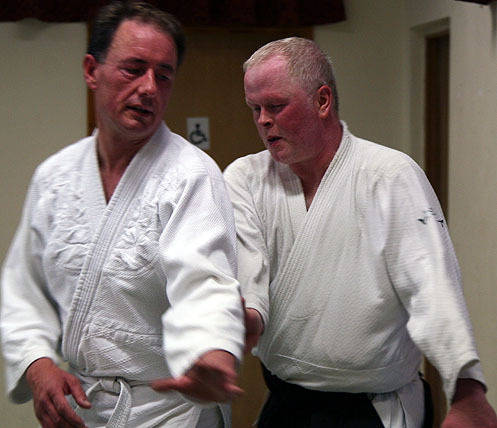 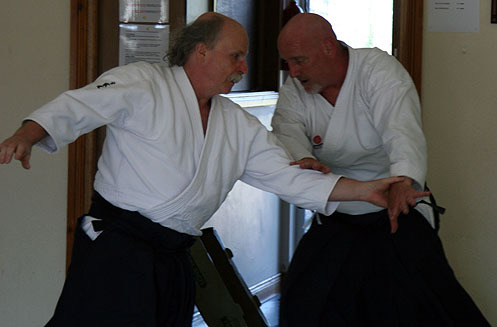 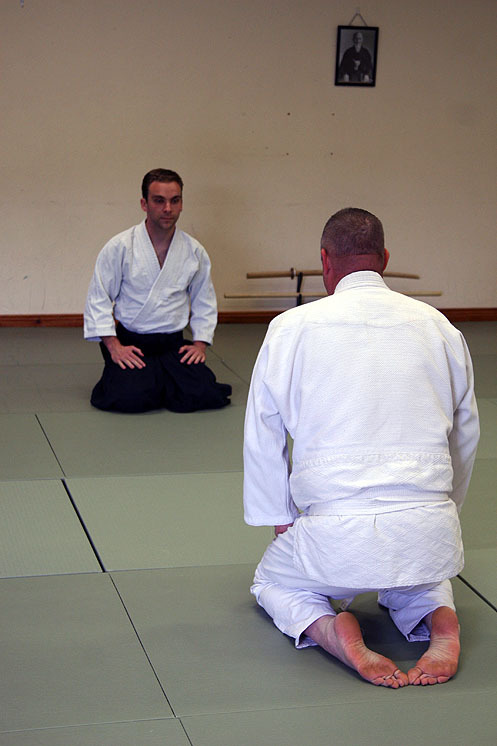 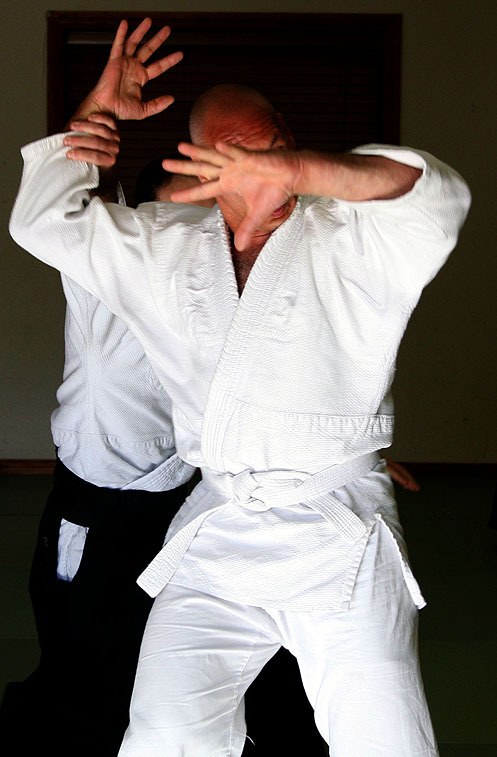 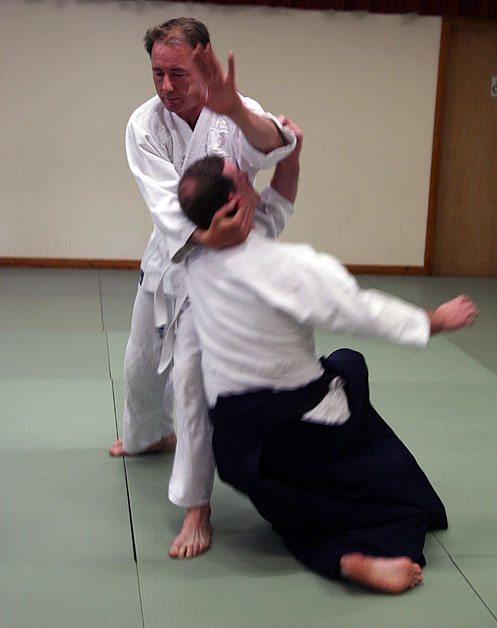 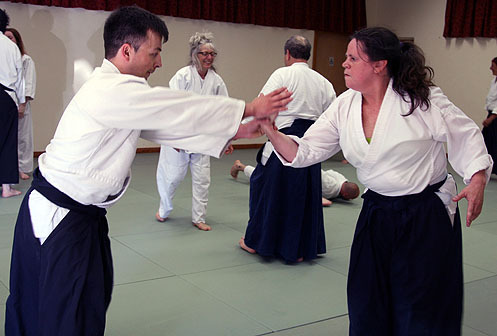 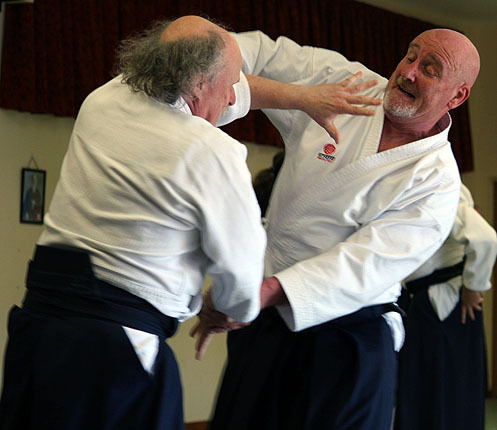 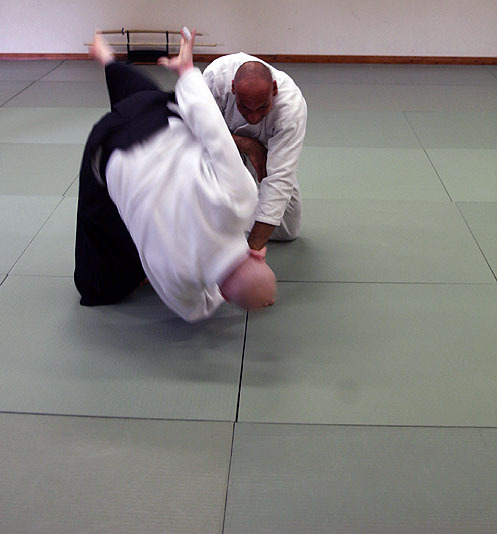 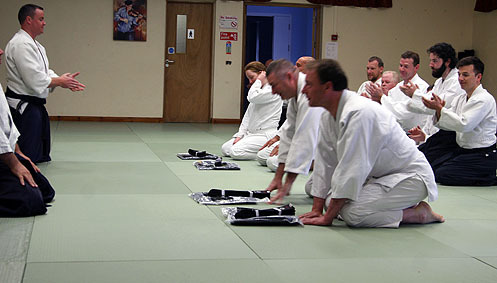 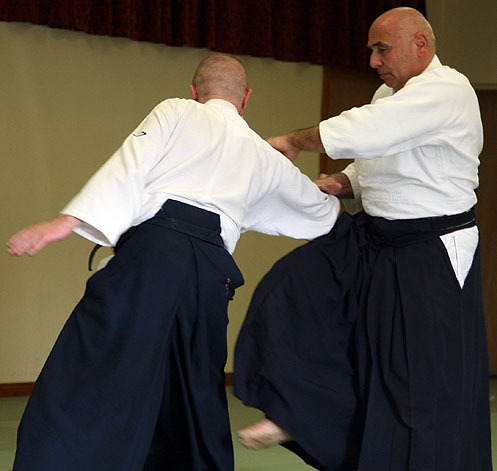 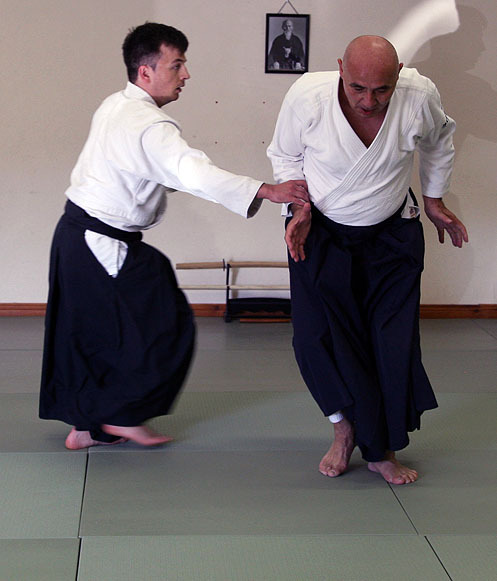 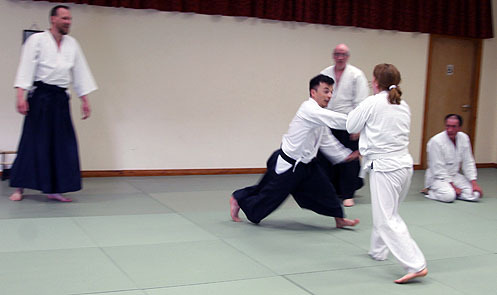 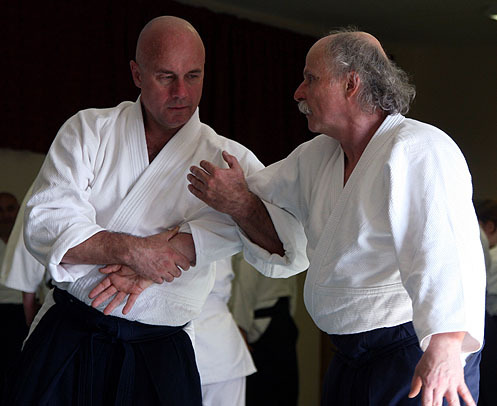 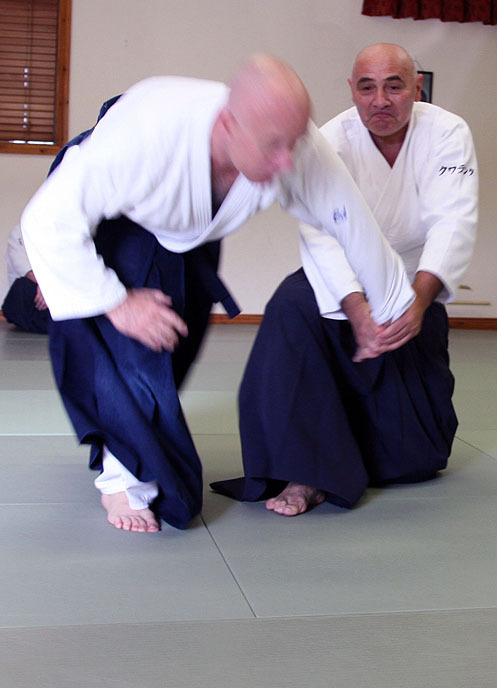 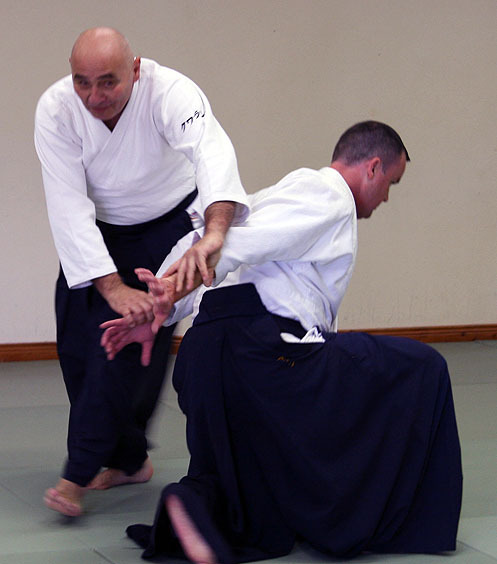 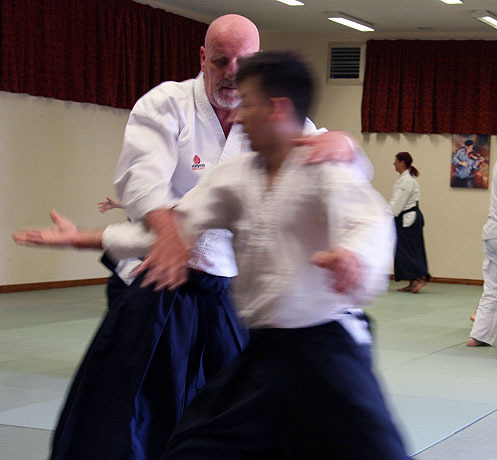 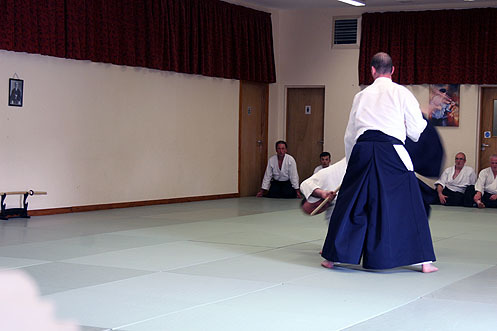 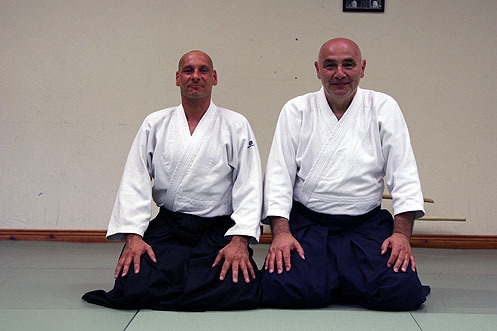 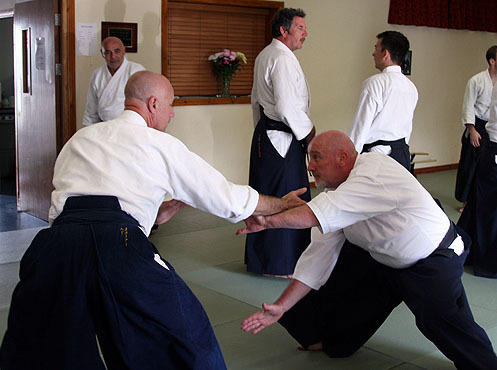 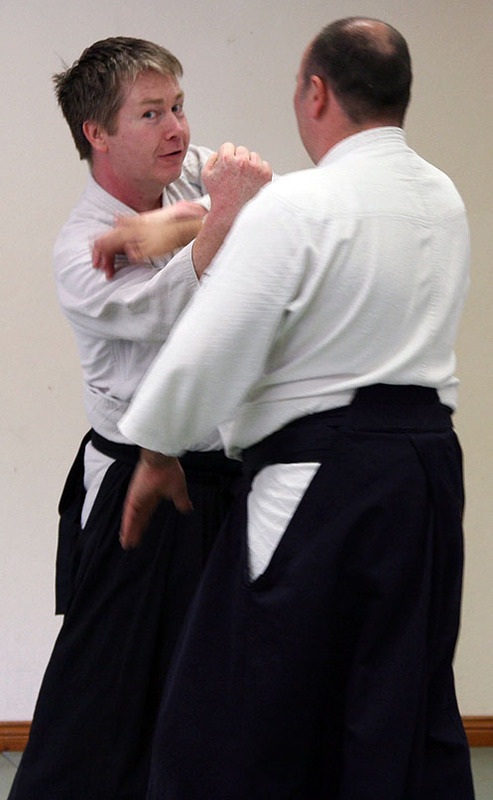 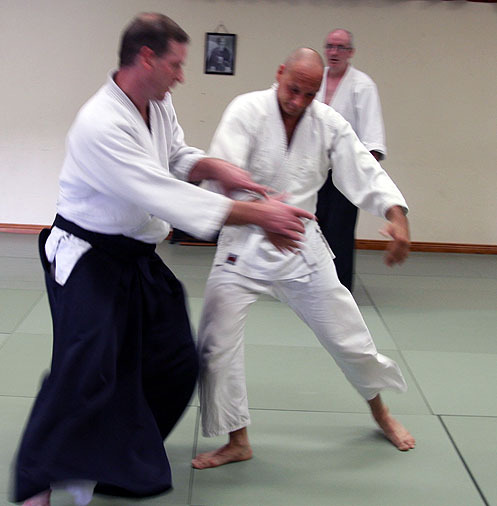 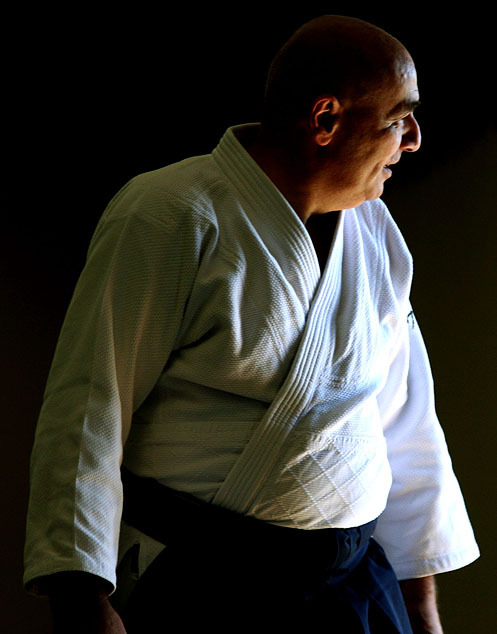 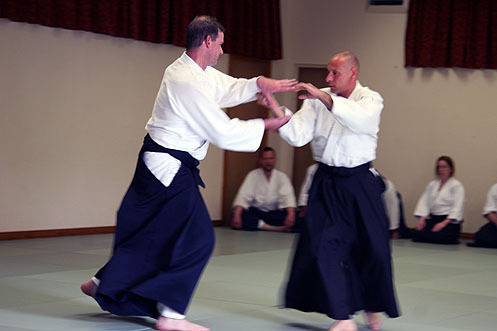 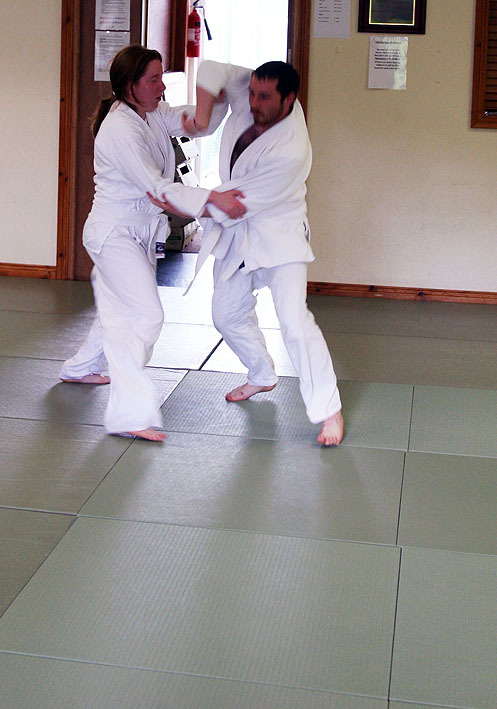 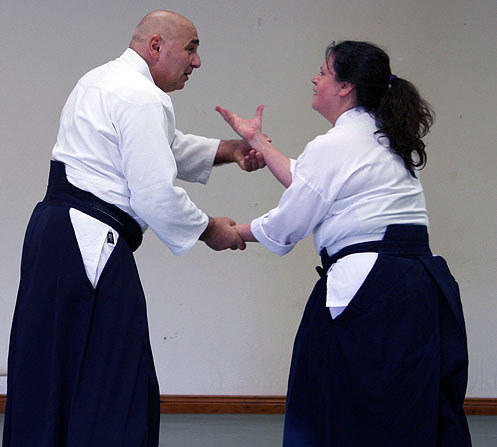 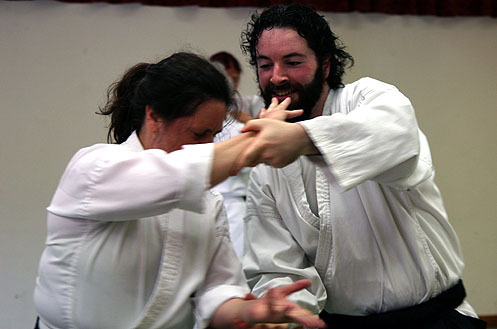 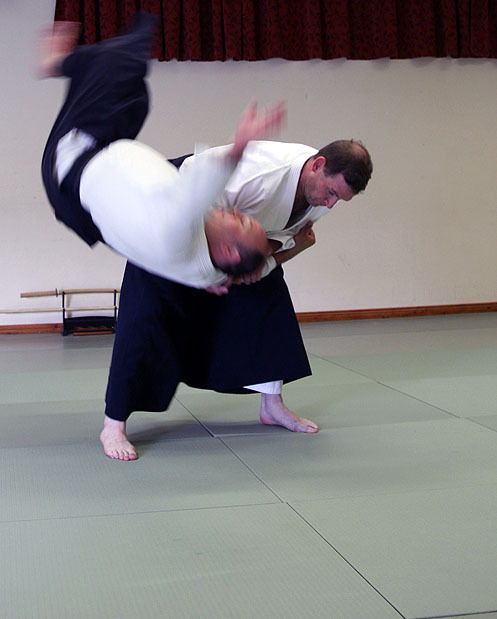 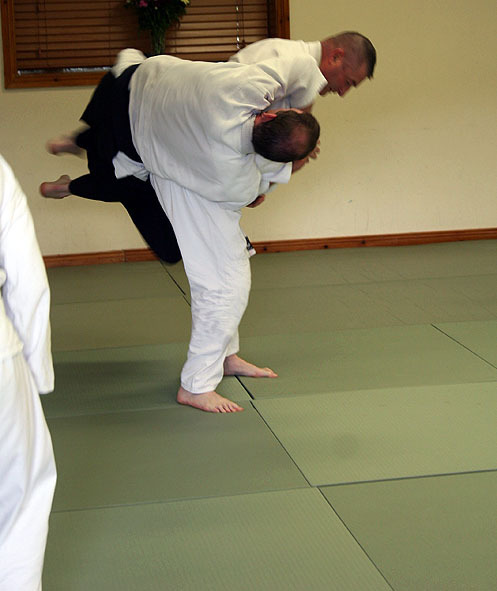 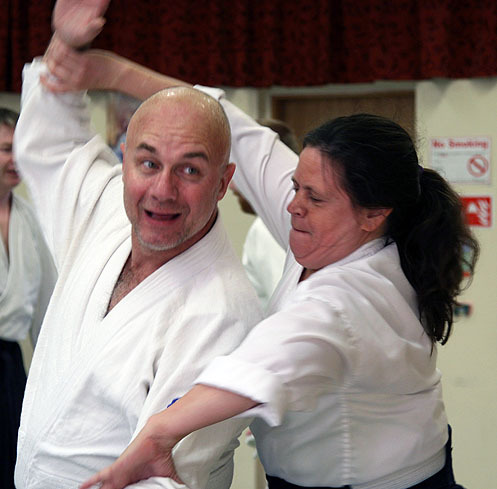 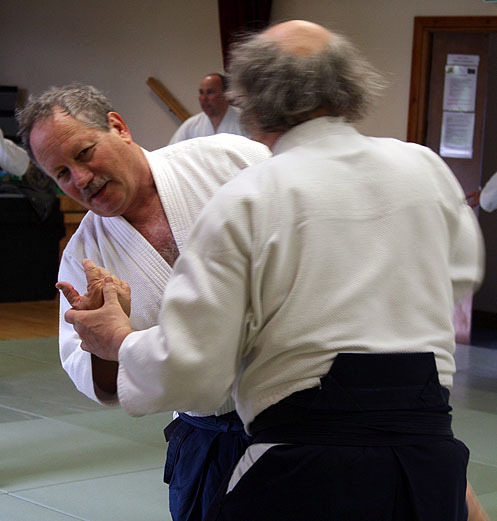 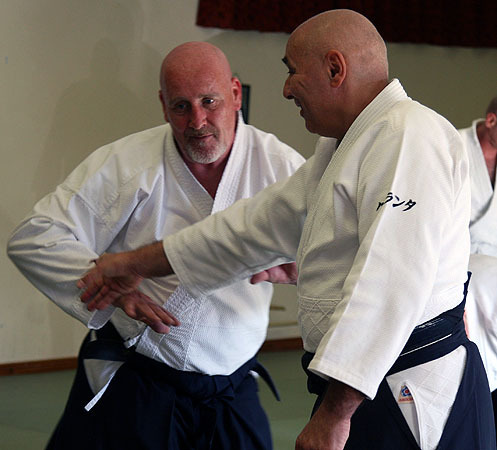 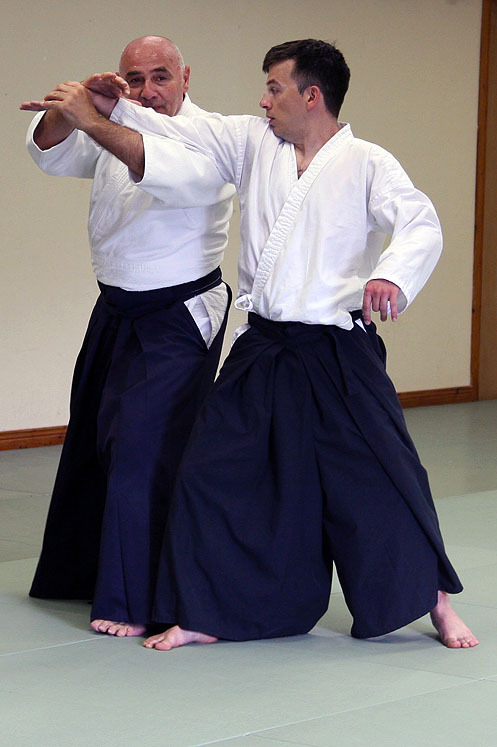 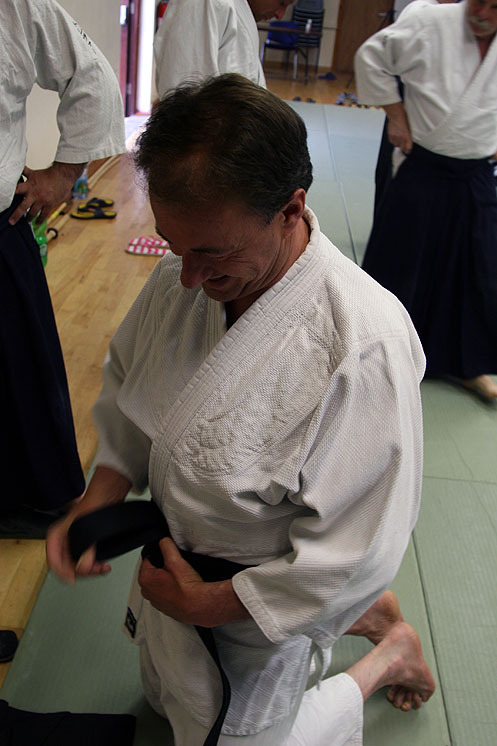 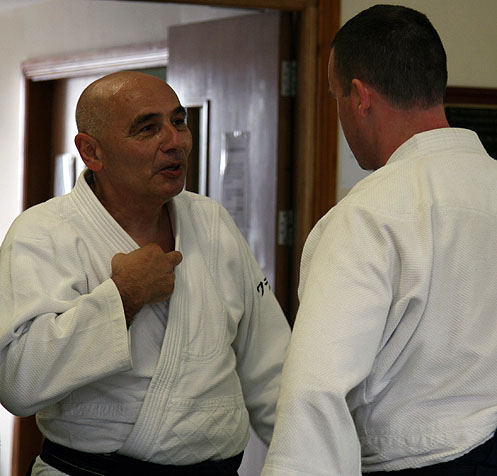 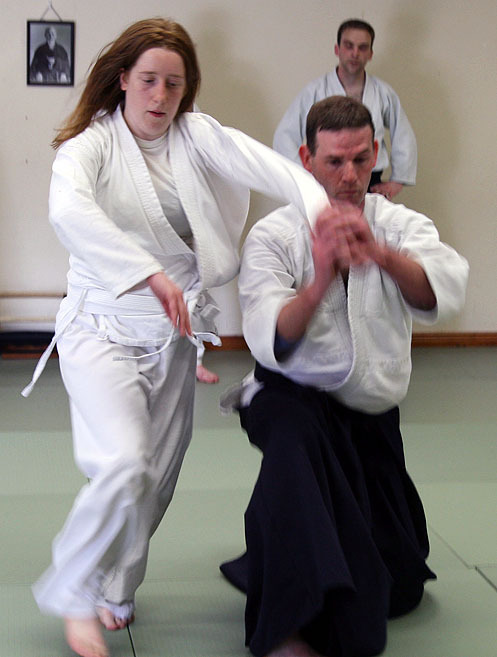 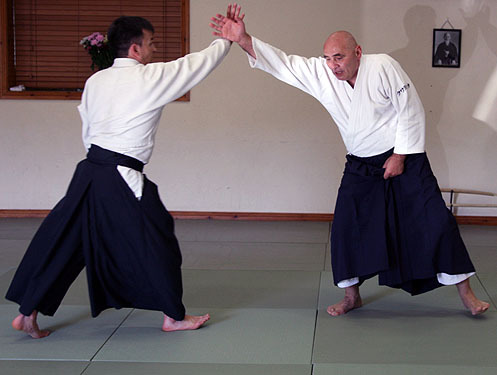 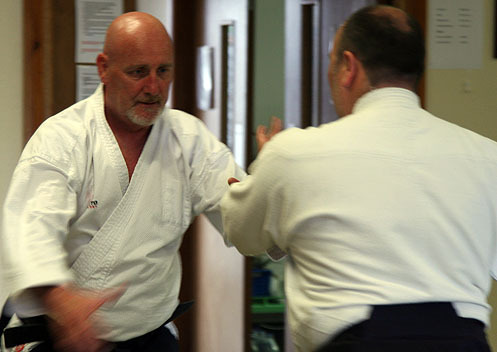 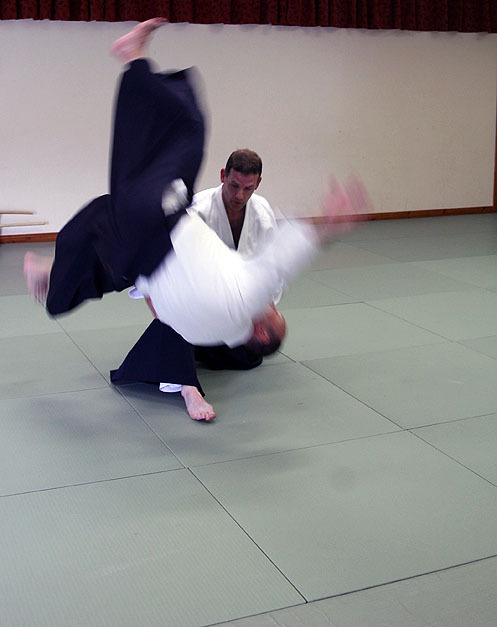 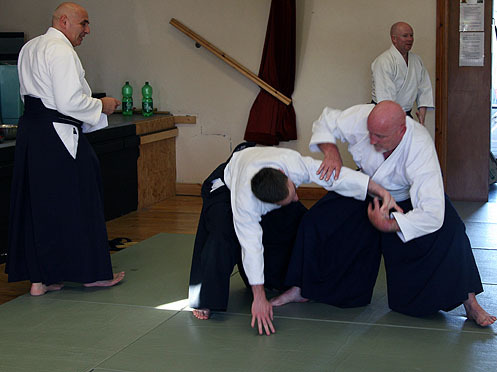 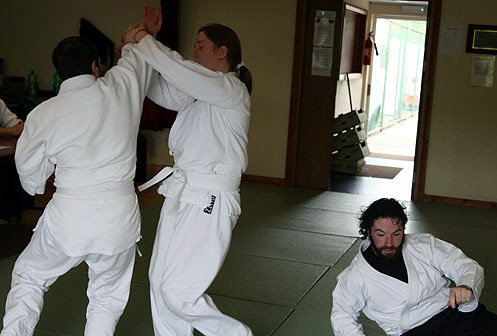 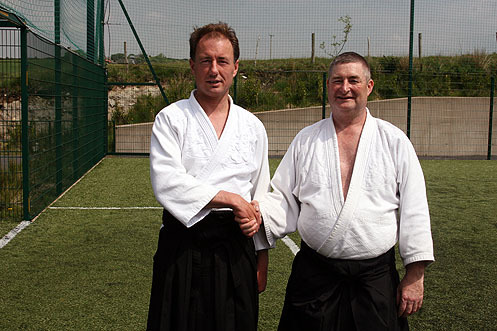 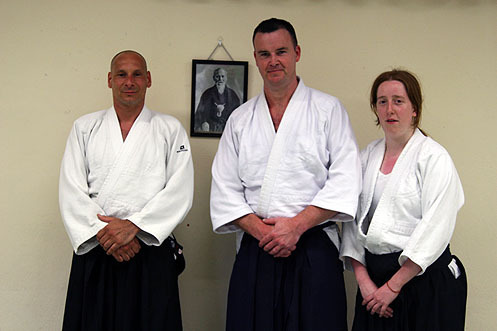 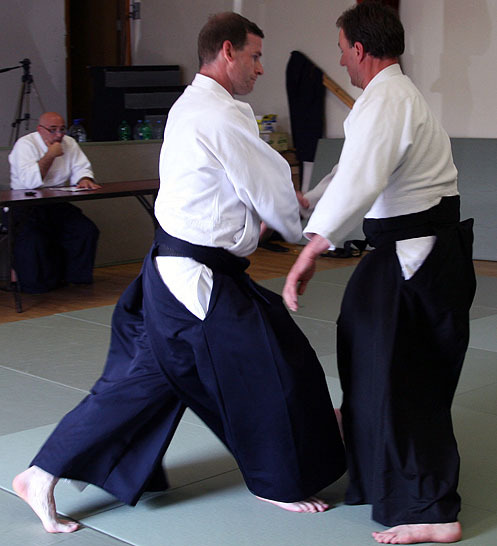 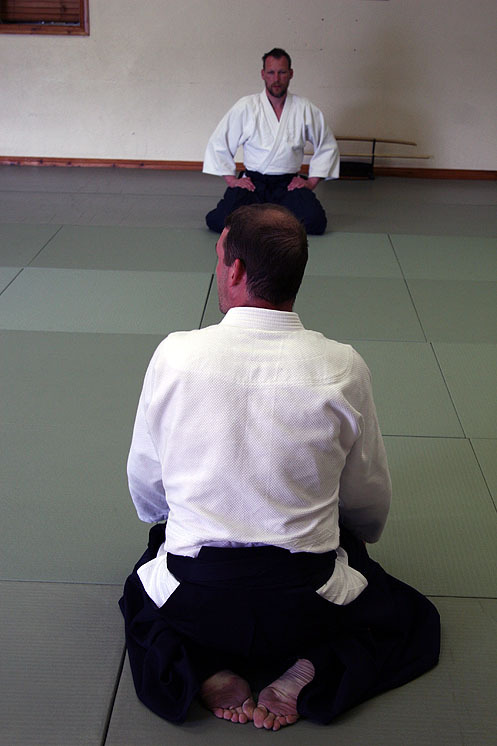 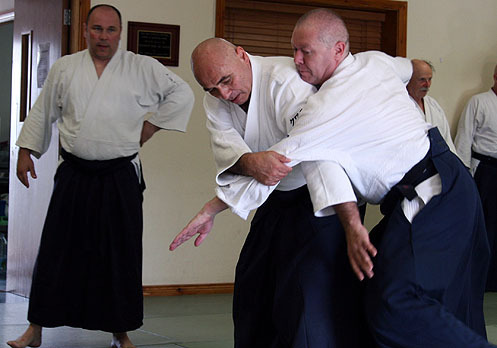 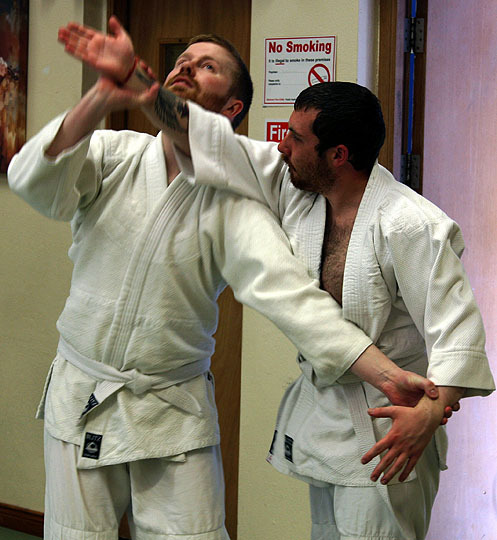 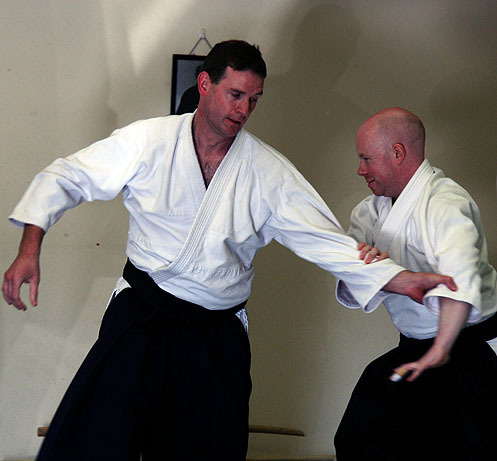 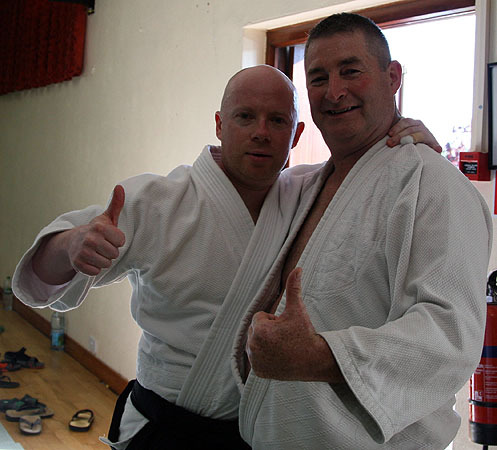 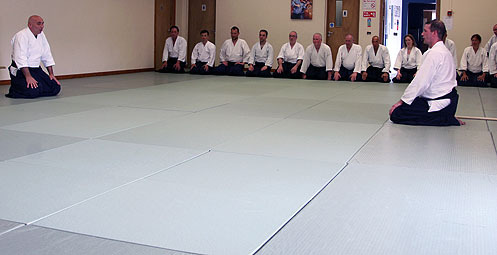 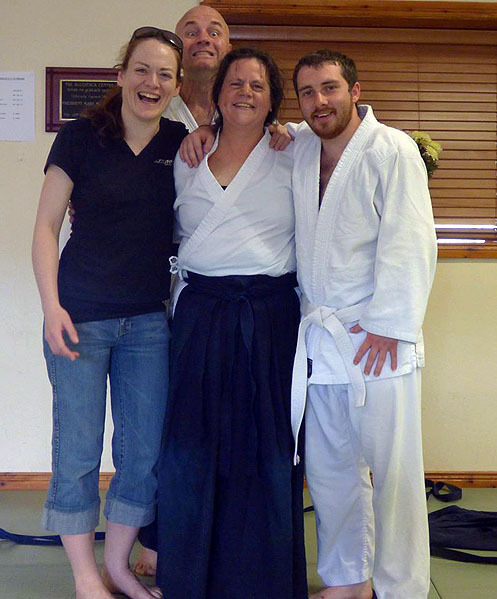 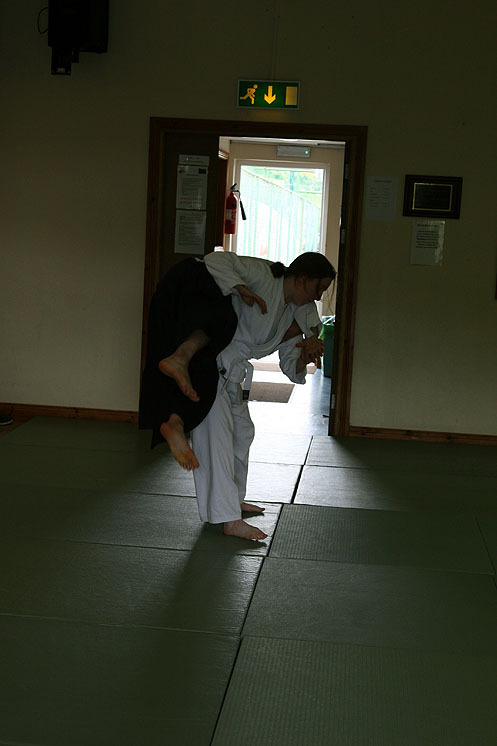 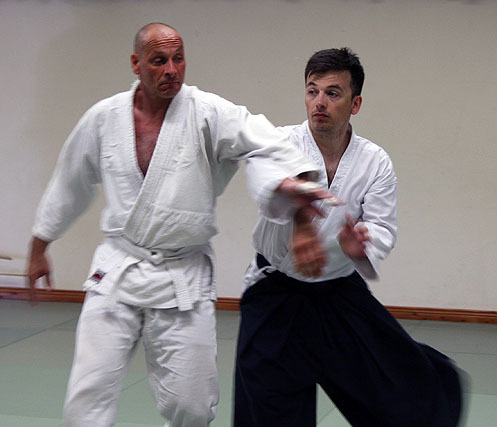 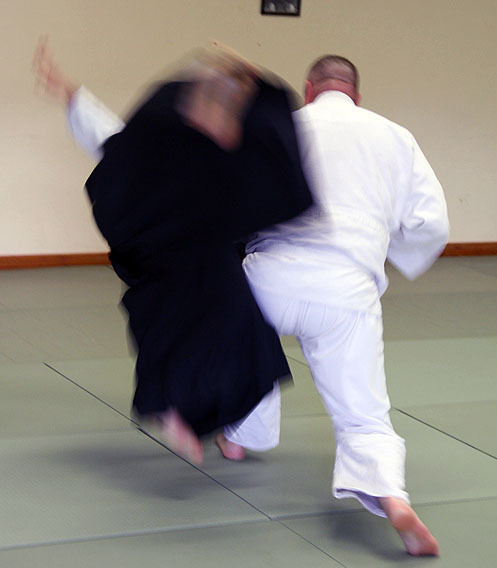 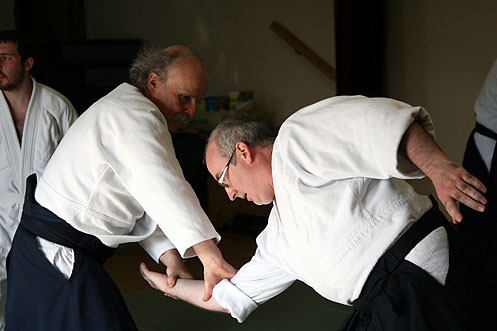 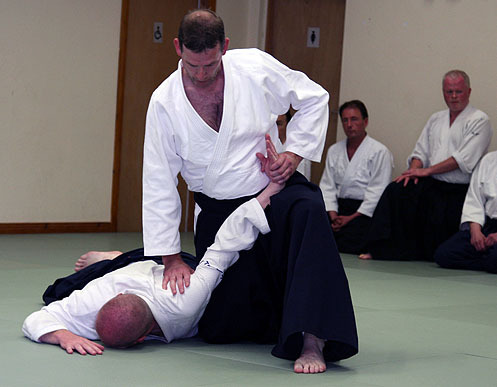 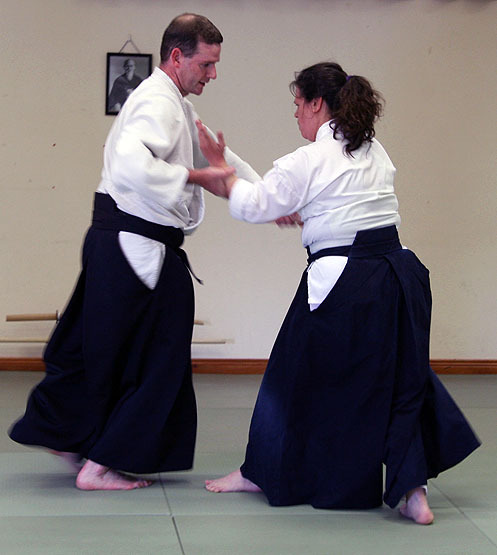 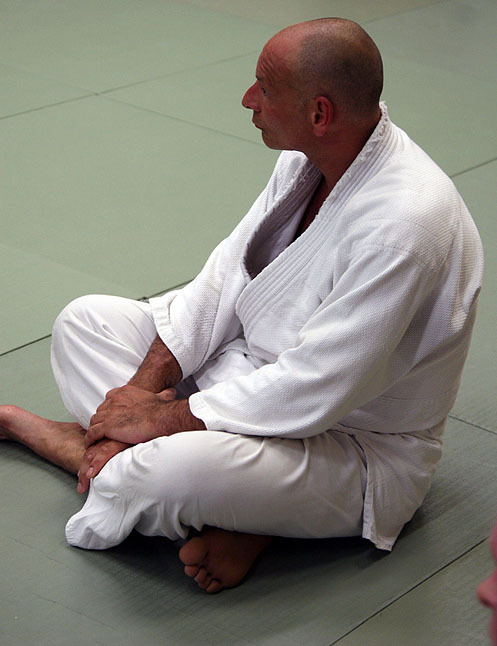 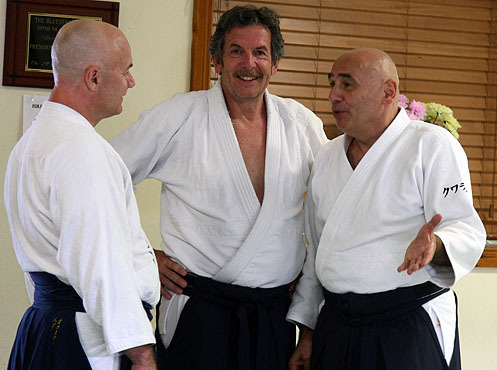 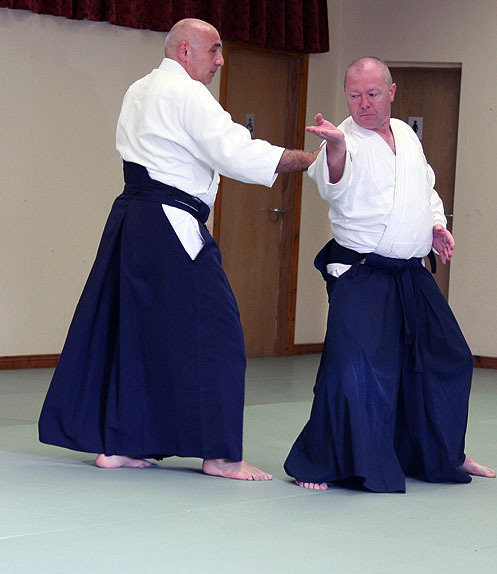 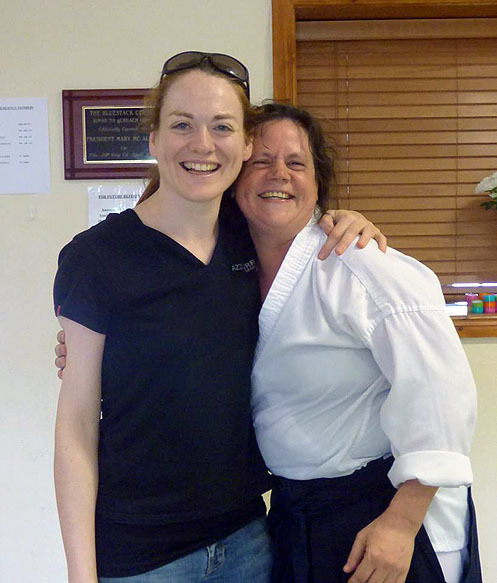 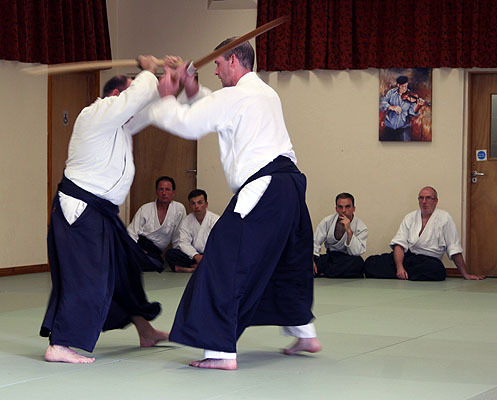 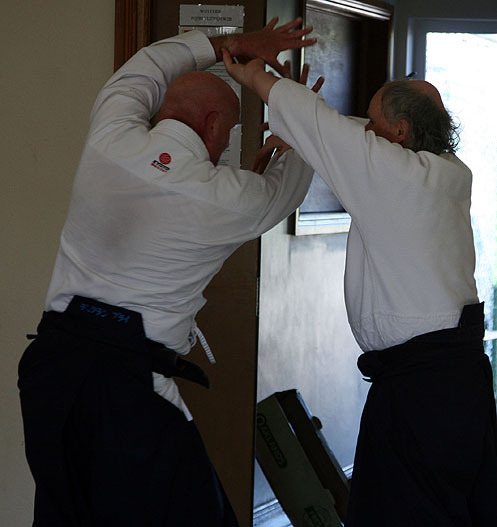 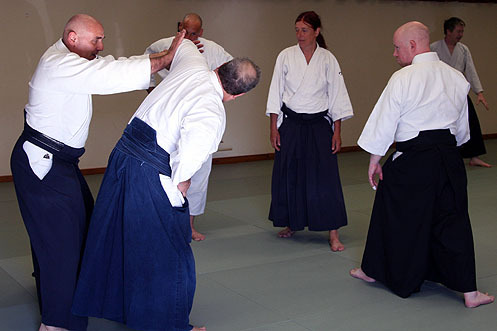 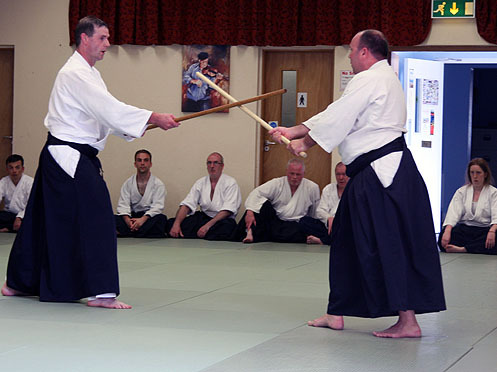 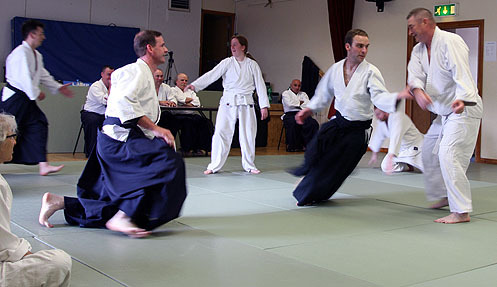 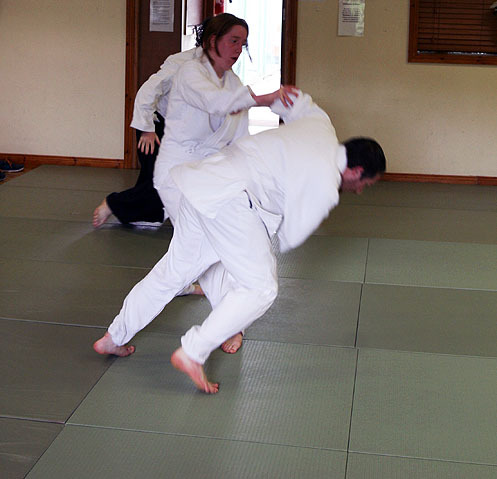 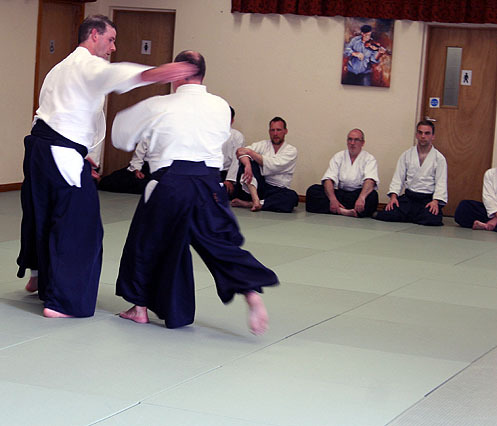 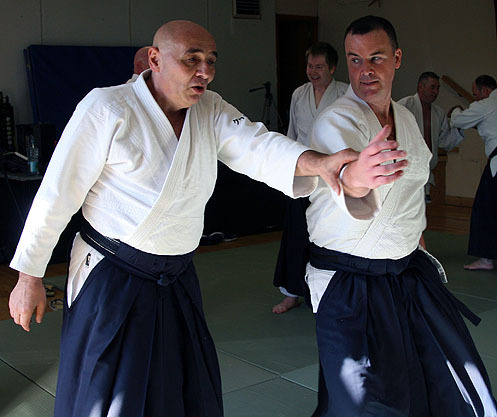 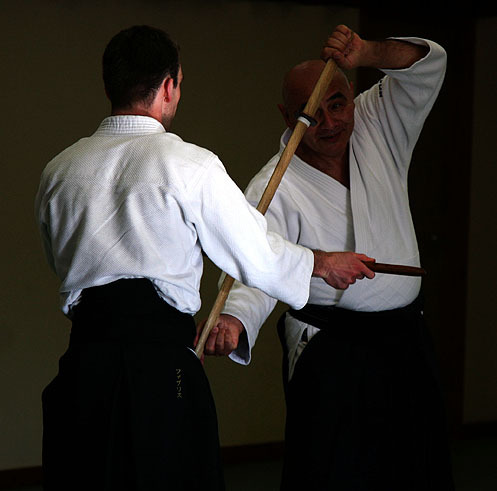 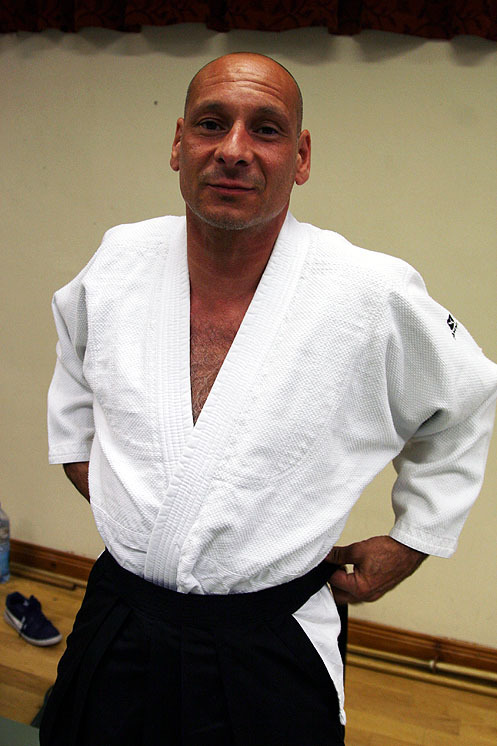 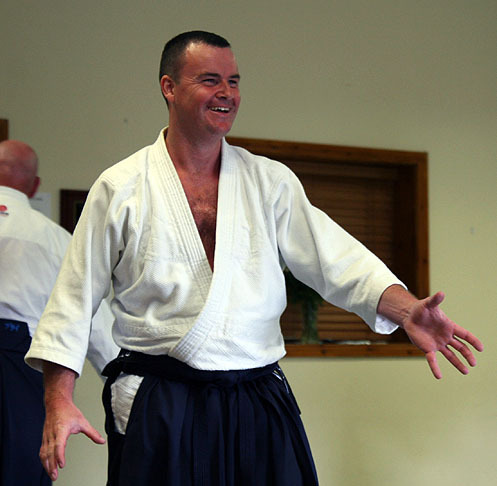 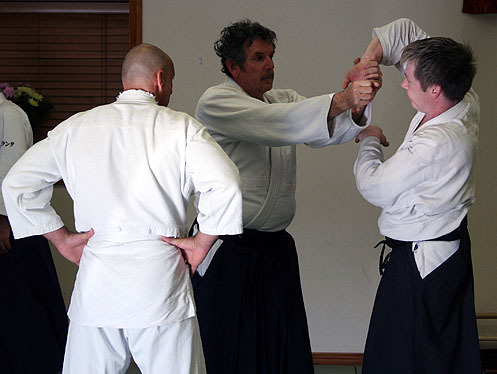 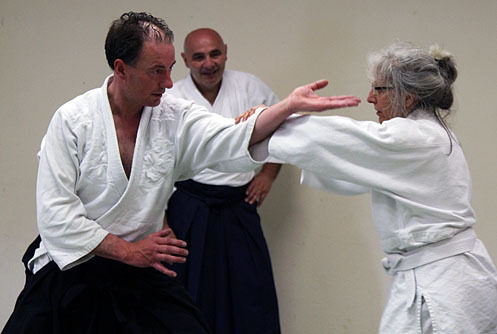 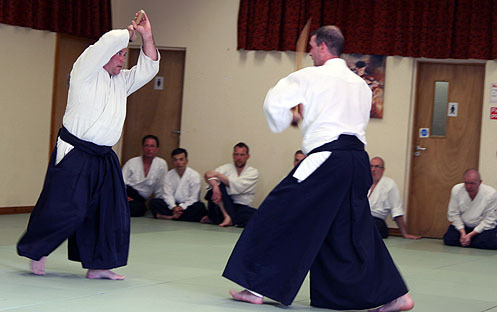 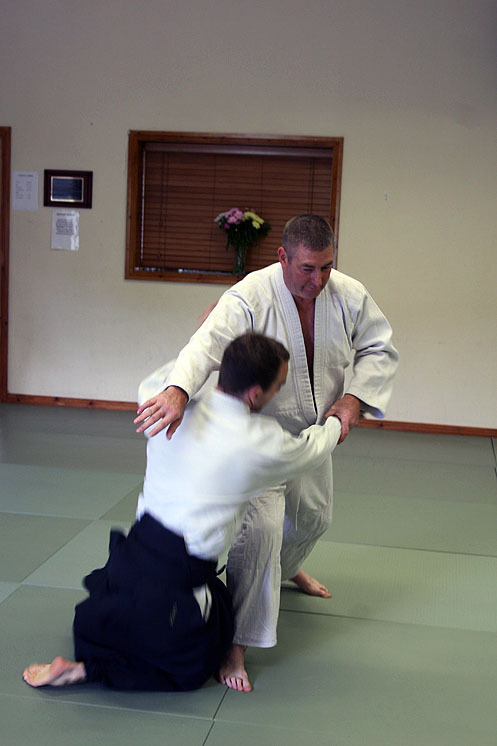 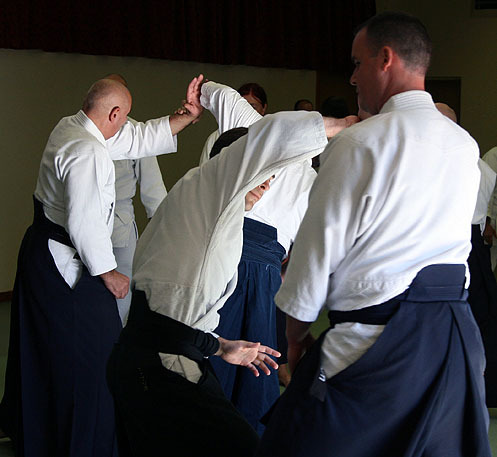 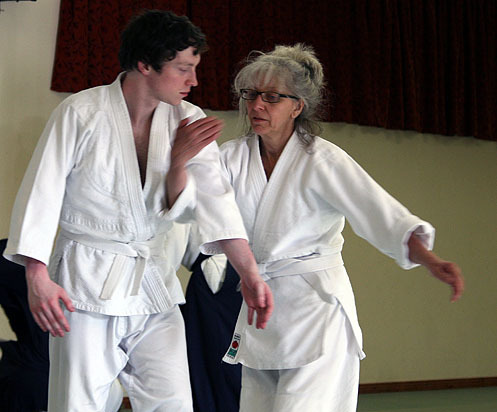 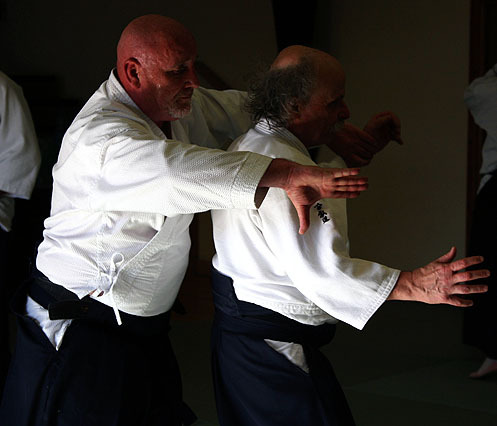 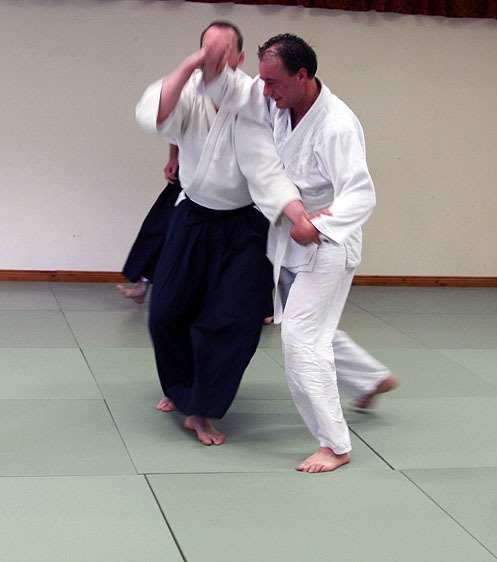 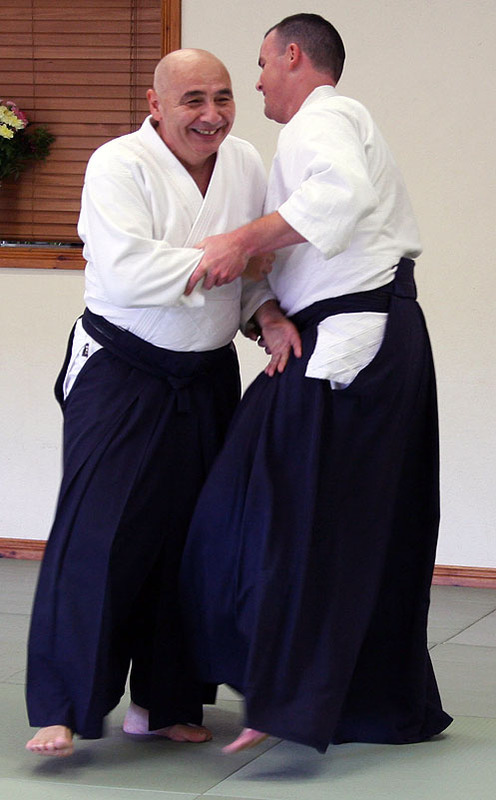 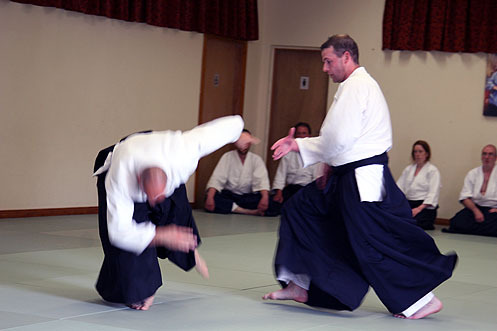 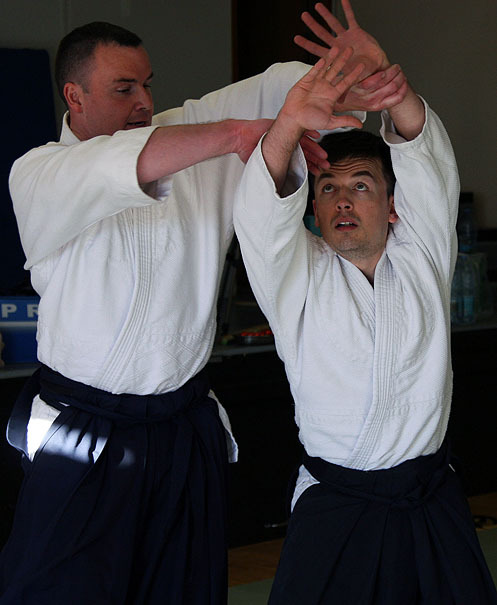 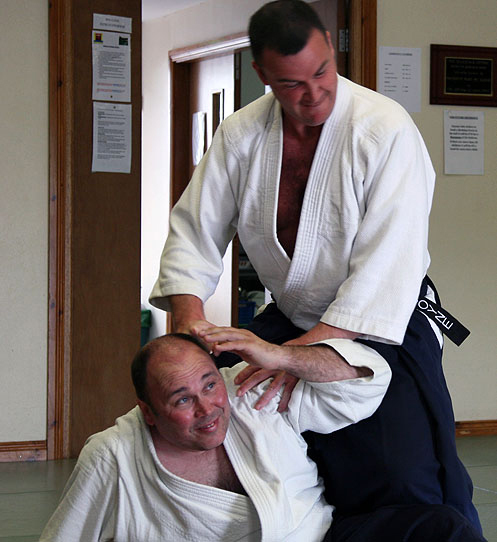 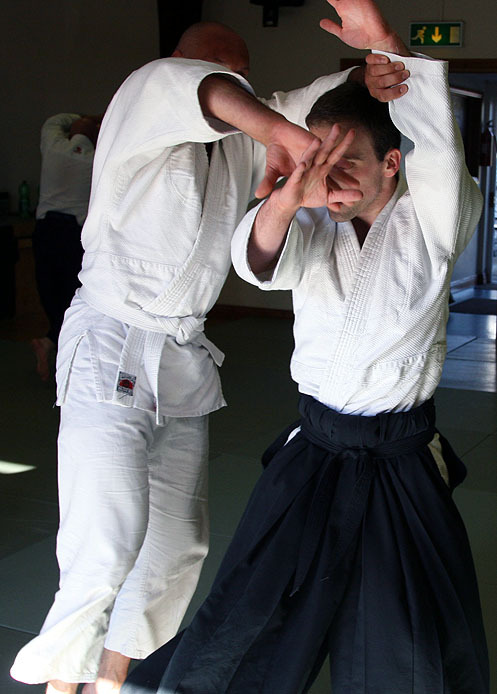 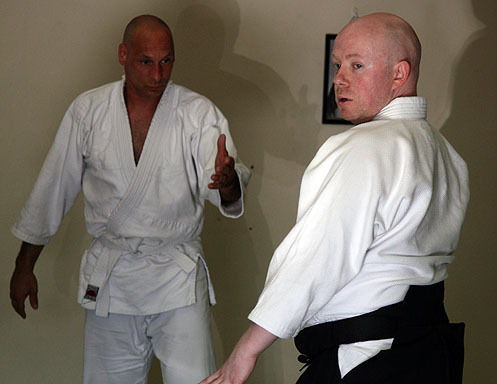 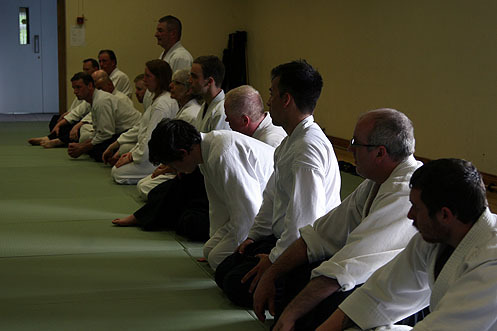 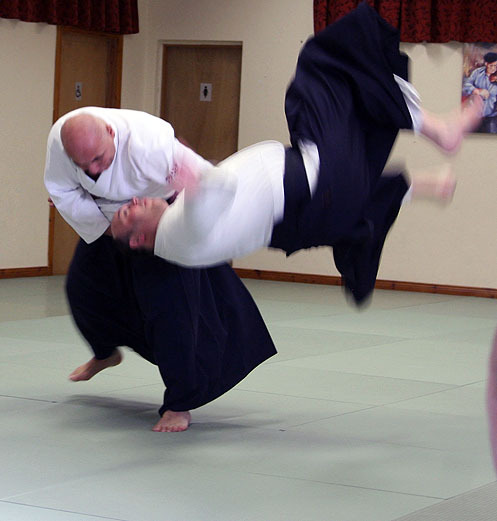 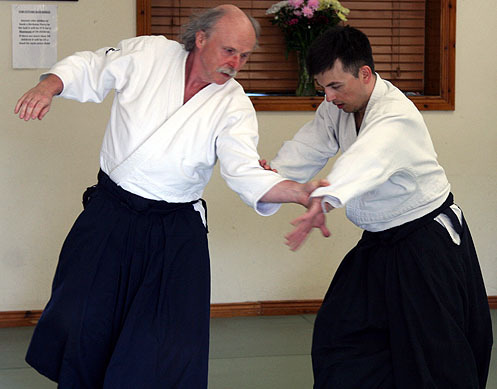 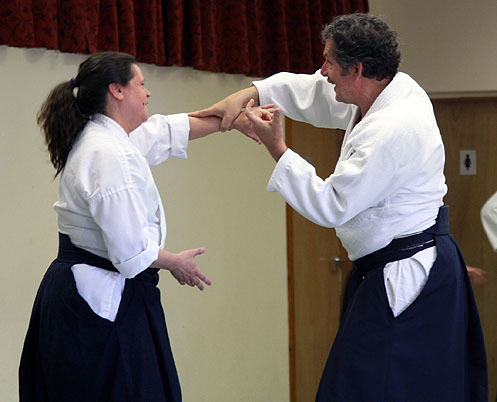 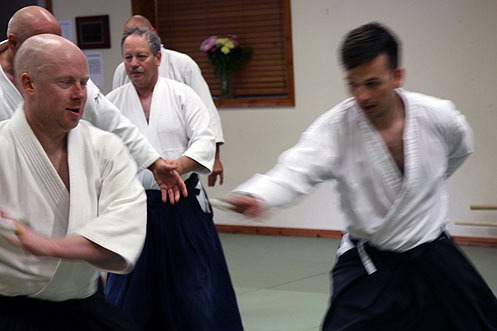 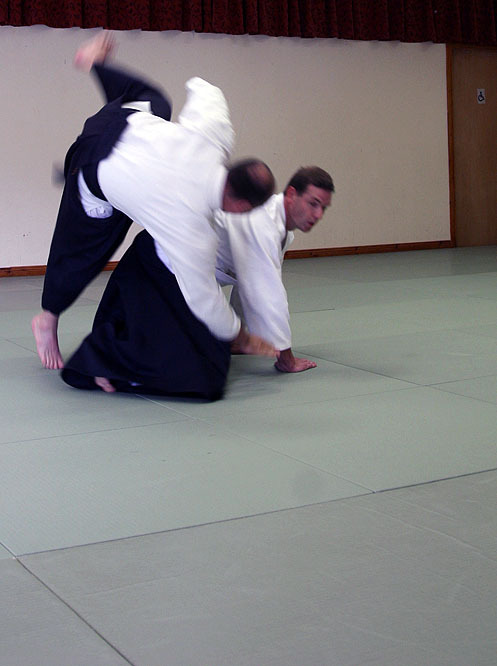 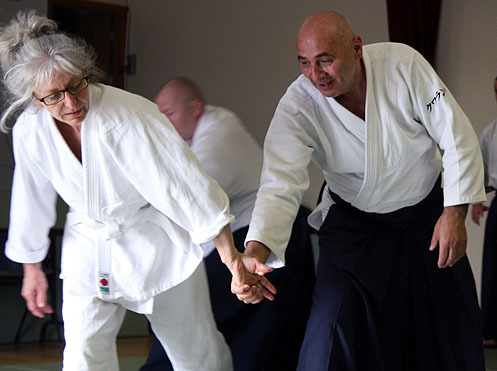 On 3rd through to 6th of June the 4th Aikikai Ireland Residential Summer Camp with Michele Quaranta Shihan held in the Bluestack Centre, Donegal. 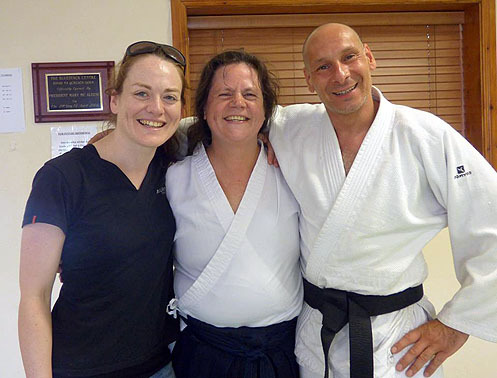 Each year gets better and better, a great time was had all and the course gathered international attention with Eliot Rifkin 6th Dan from Miami, USA, Ed O'Connor 3rd Dan from New Jersey, USA, Valarie McGettigan 1st Kyu from Massachusetts, USA, Andi Haggi 5th Dan from Switzerland and Fabrice 1st Dan from Neauchatel, Switzerland travelling to attend the course. 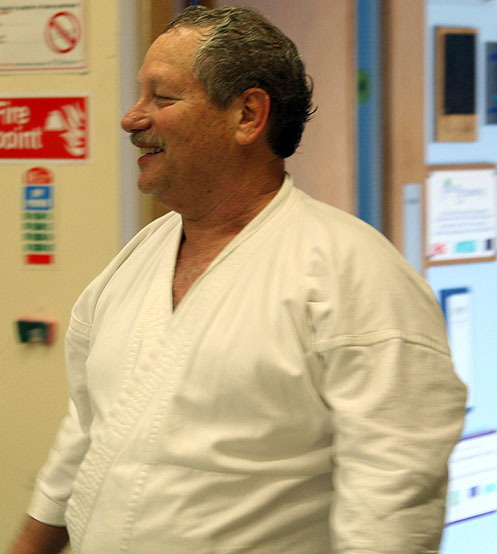 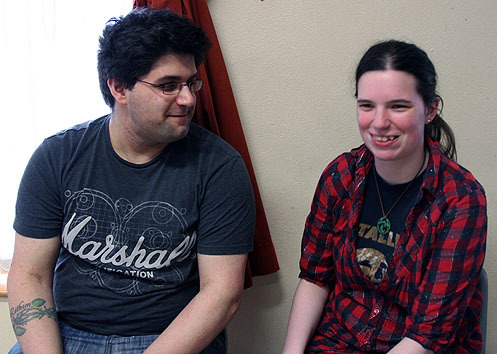 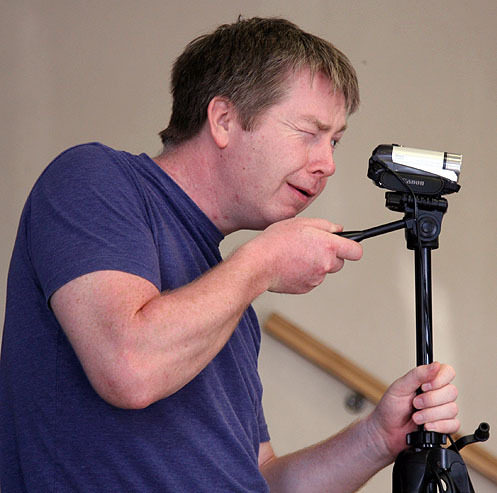 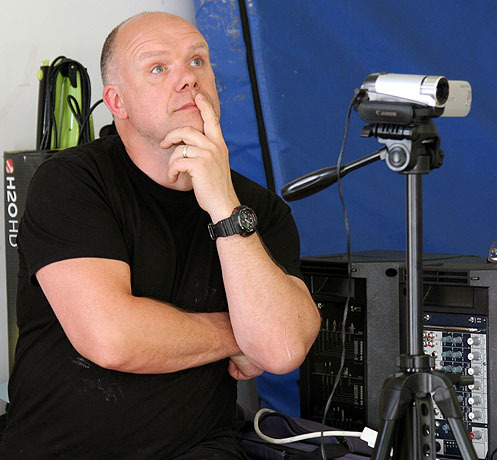 A special thank you to Will that attended the course specifically to cook wonderful food for all in attendance. 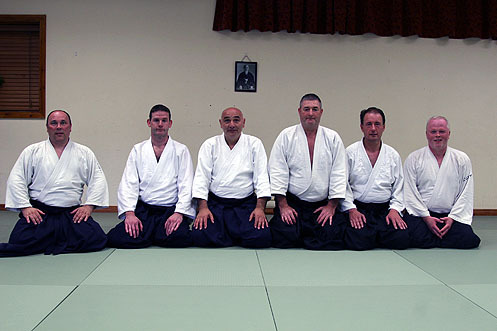 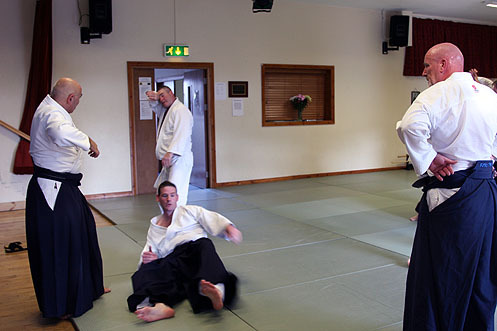 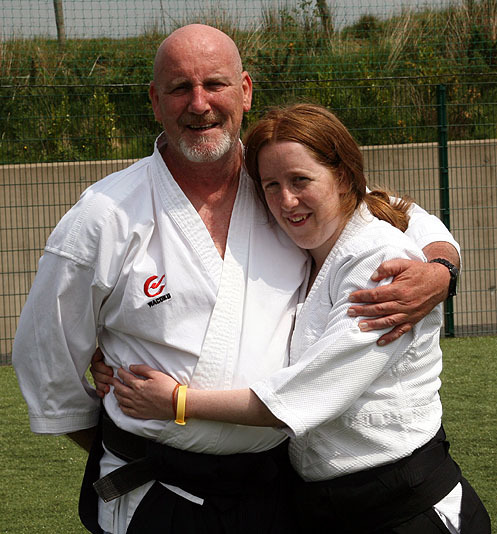 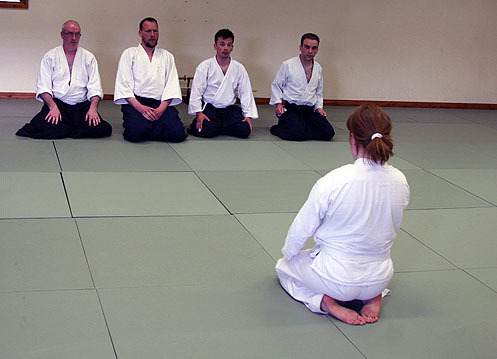 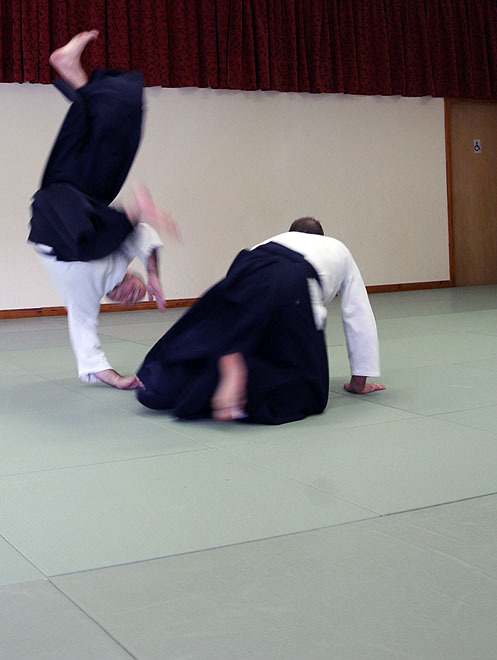 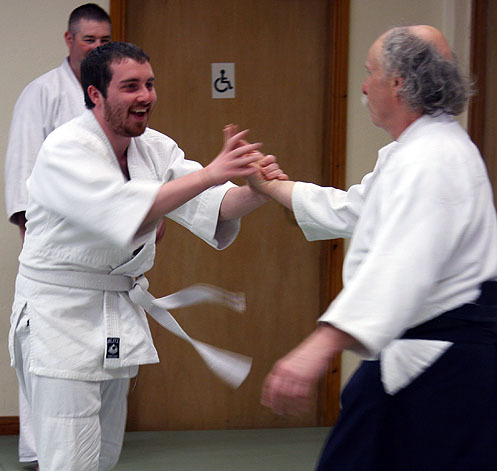 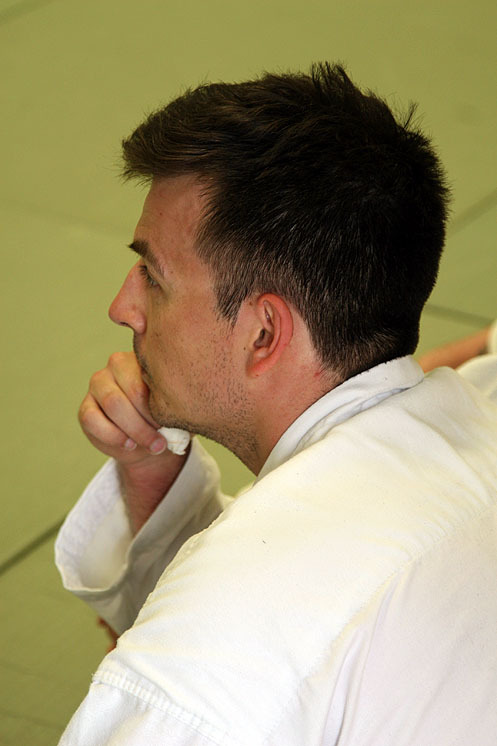 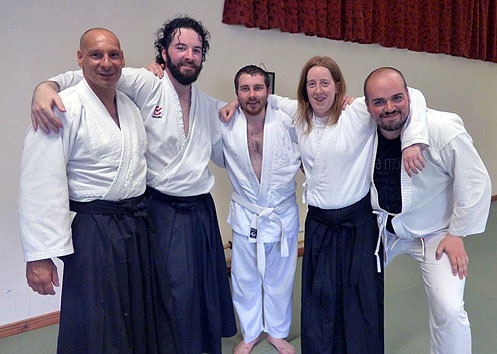 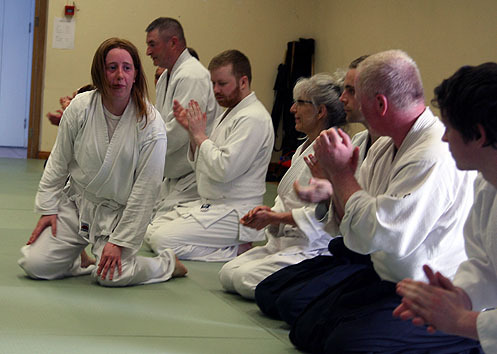 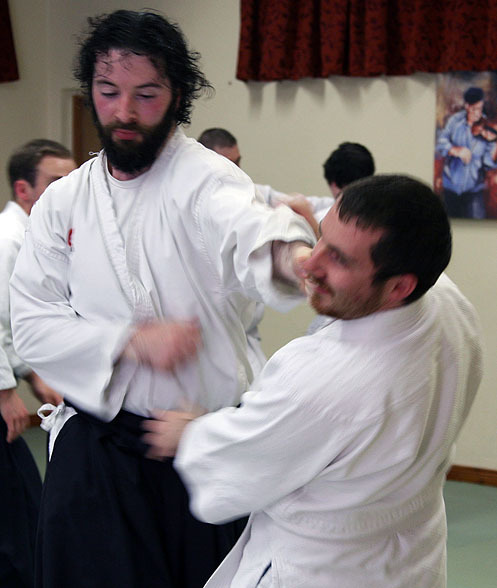 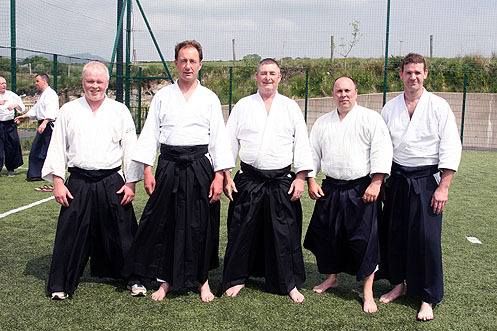 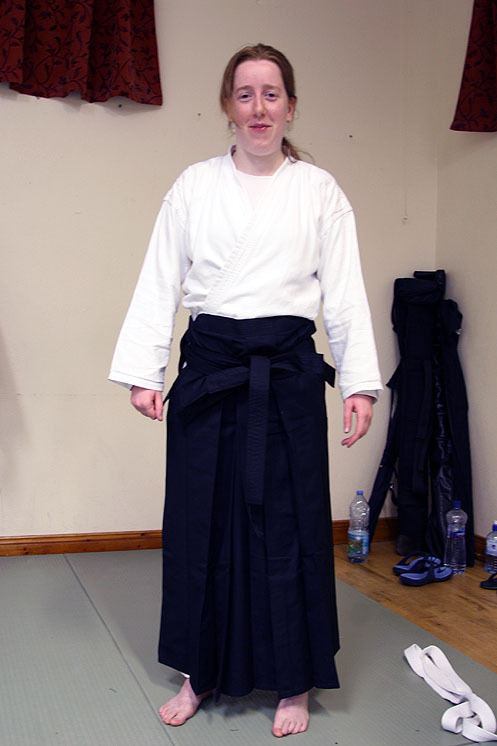 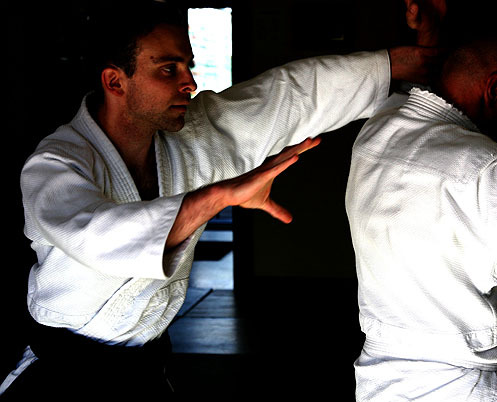 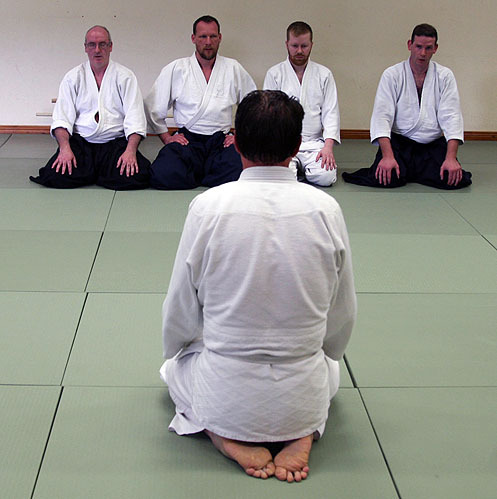 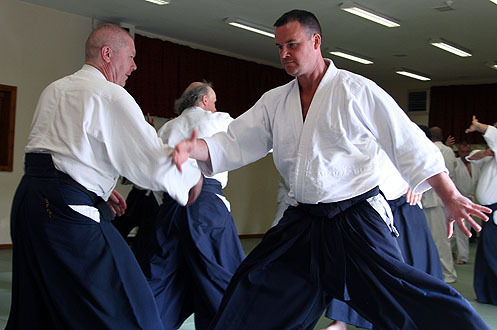 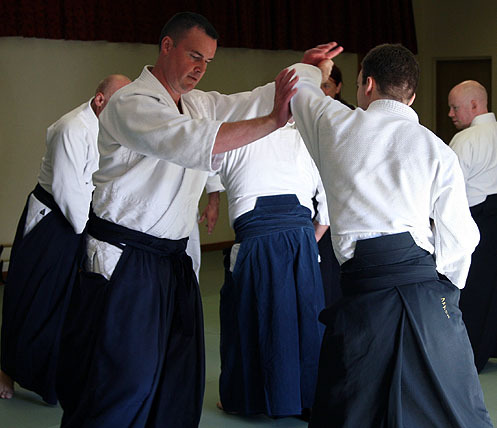 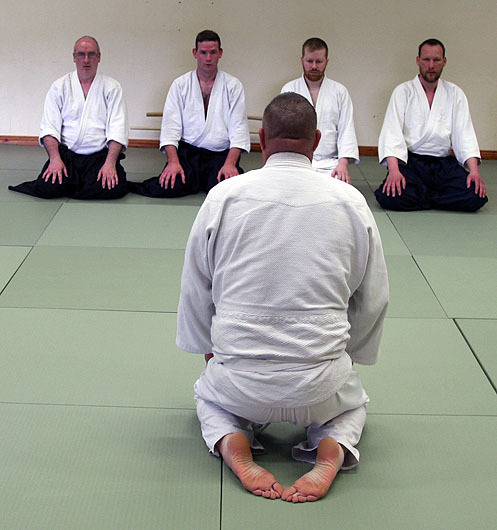 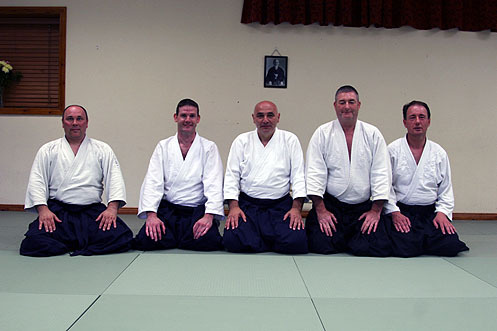 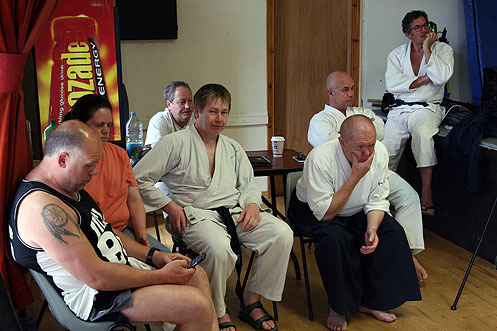 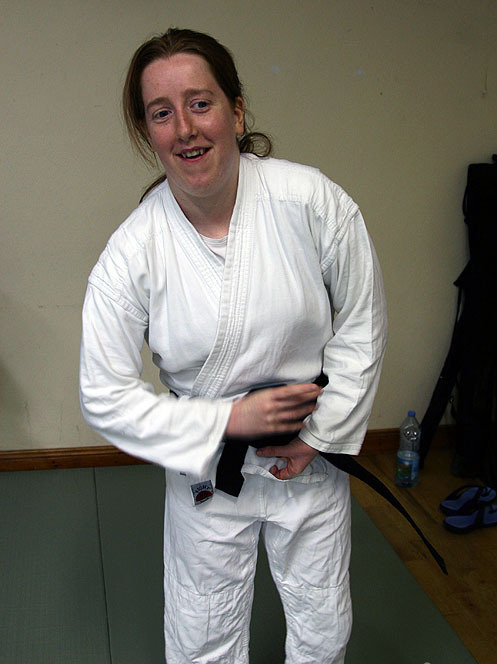 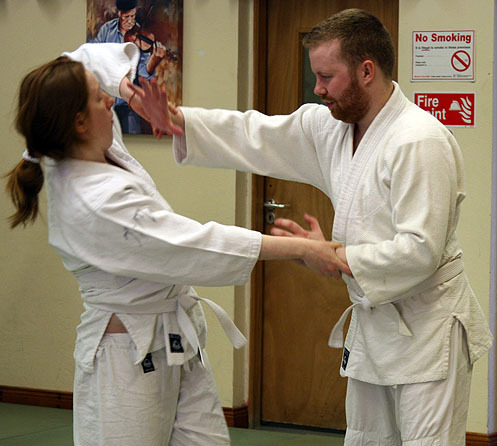 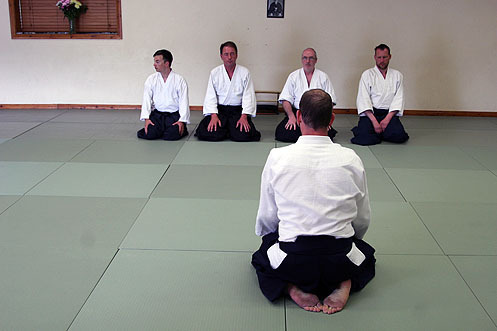 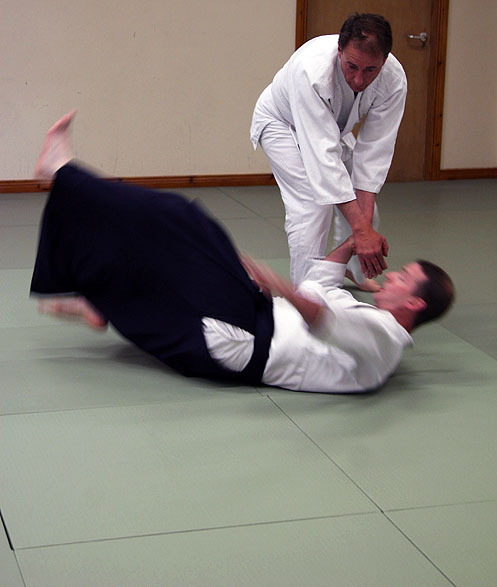 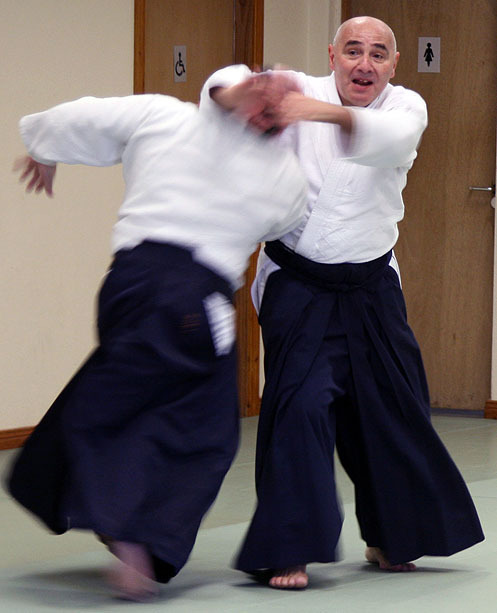 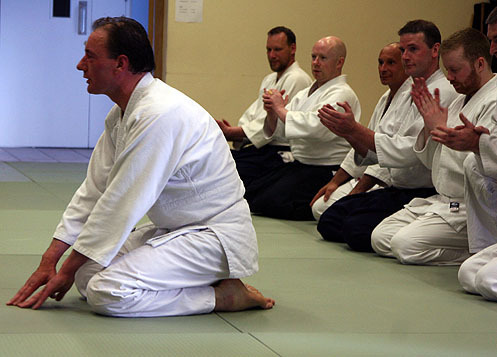 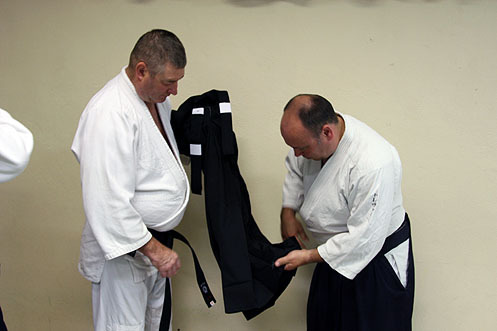 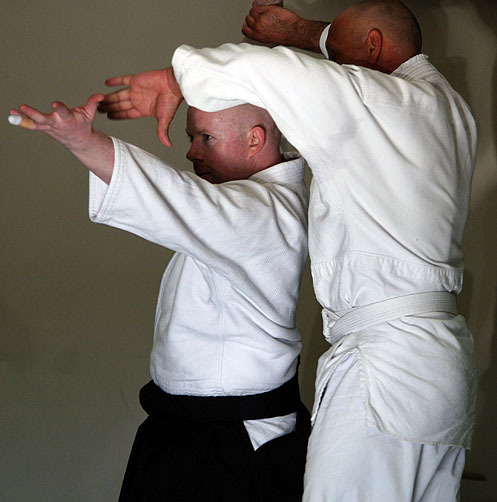 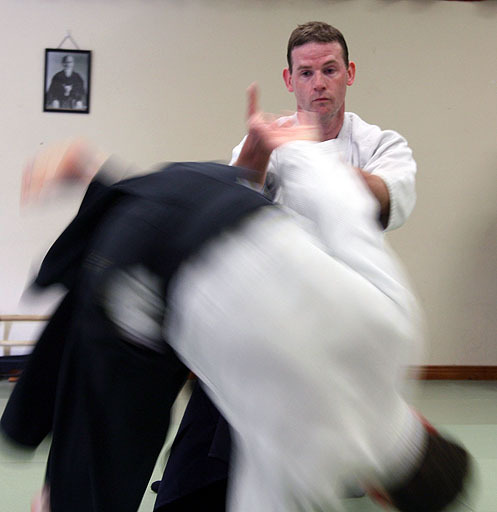 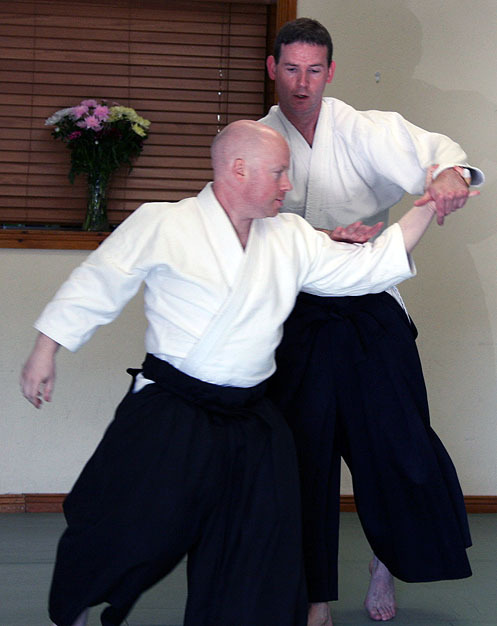 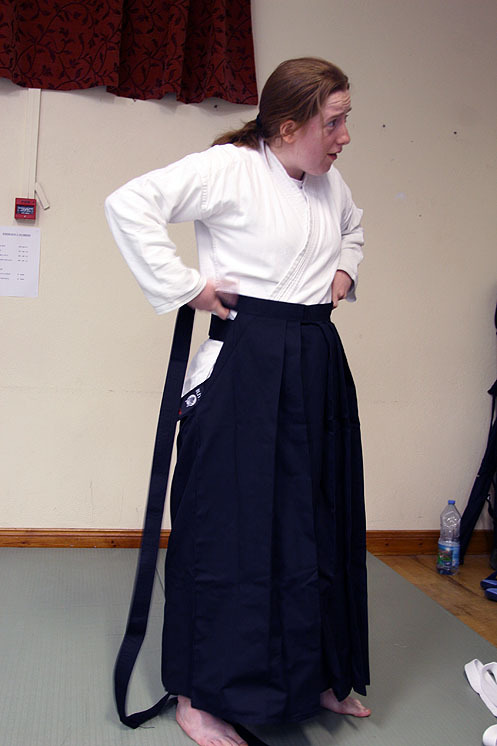 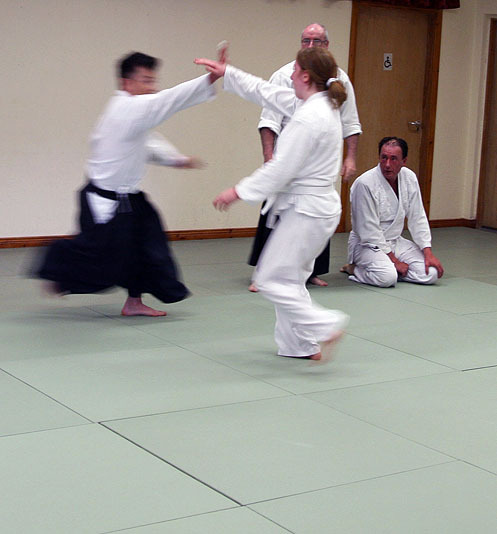 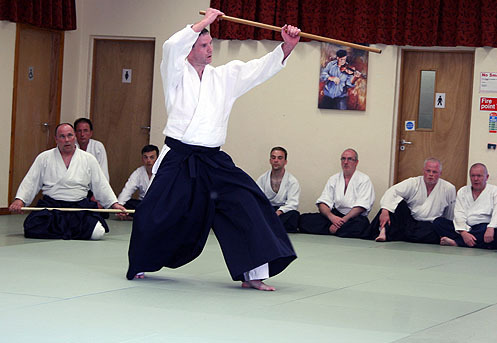 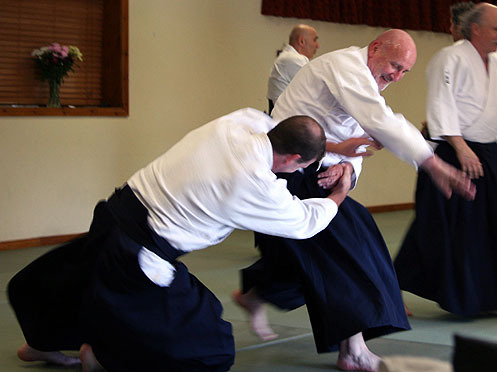 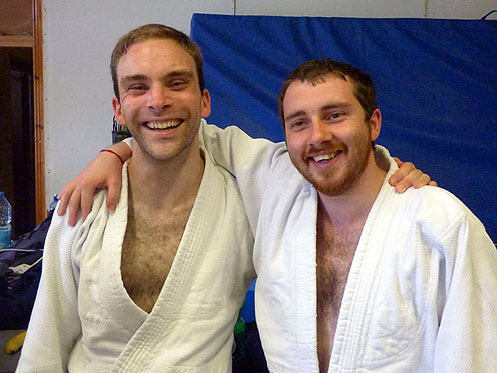 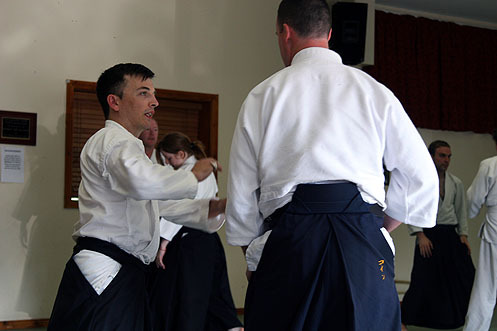 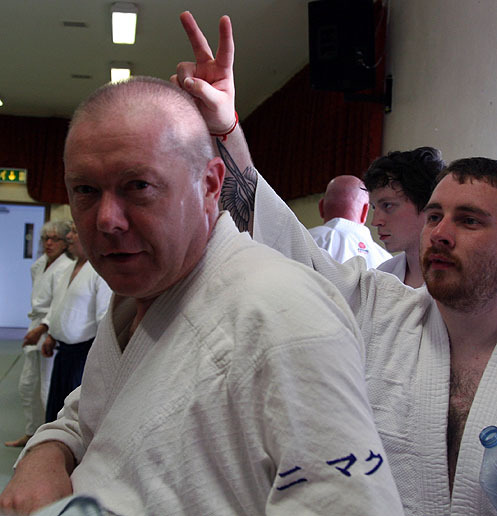 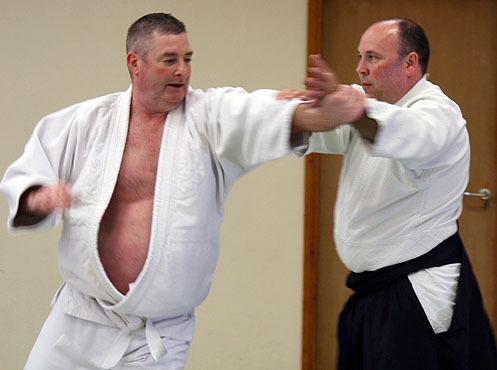 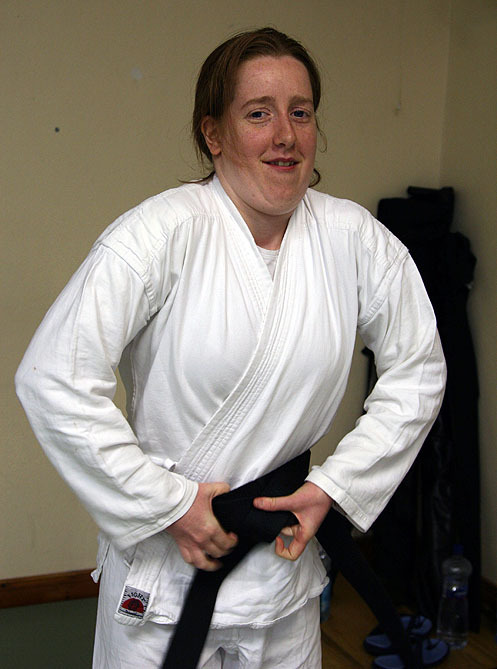 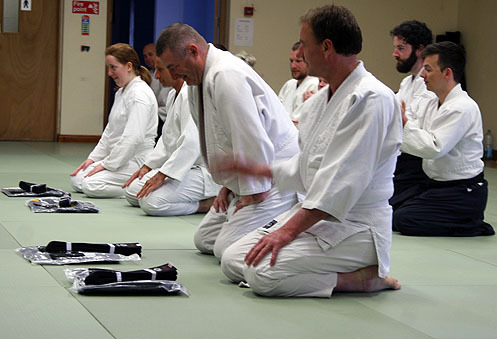 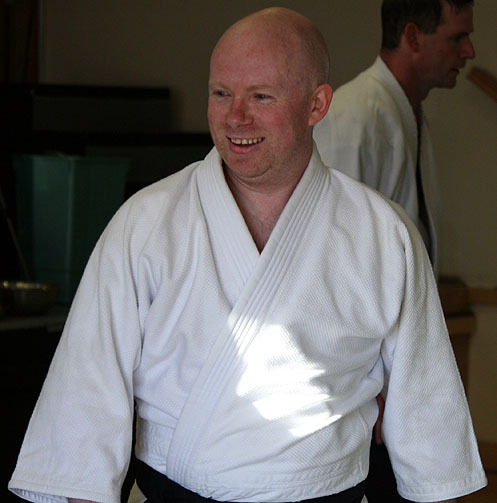 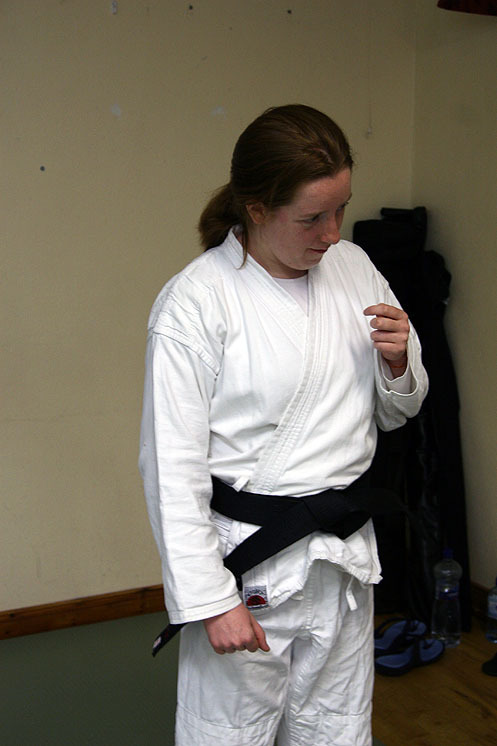 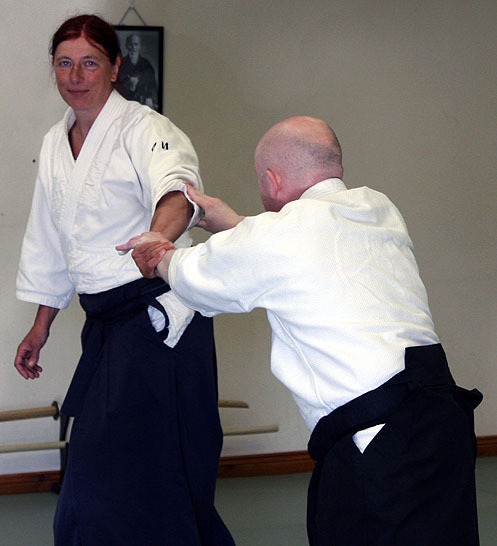 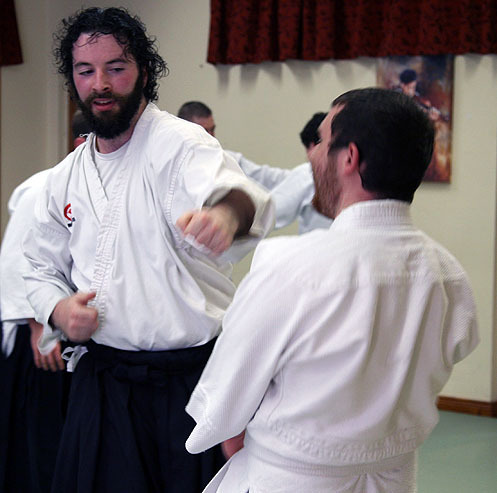 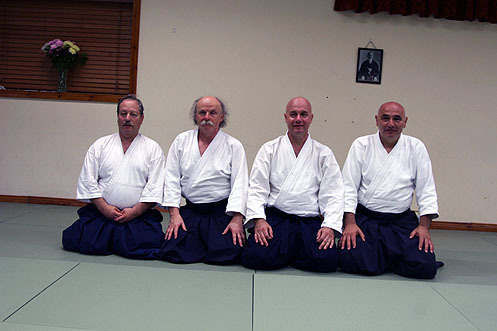 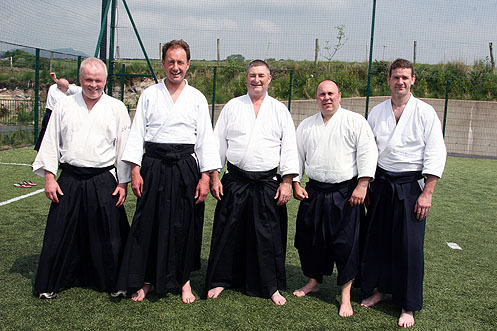 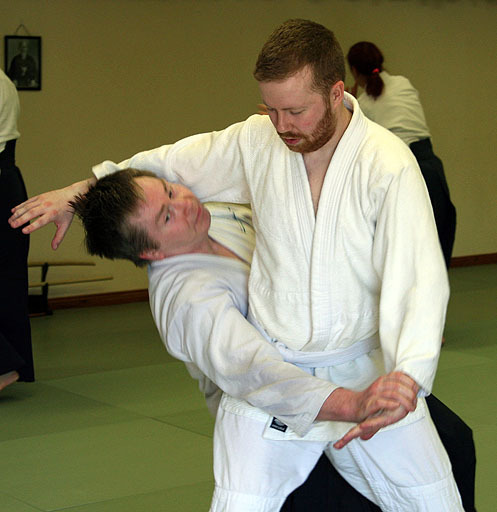 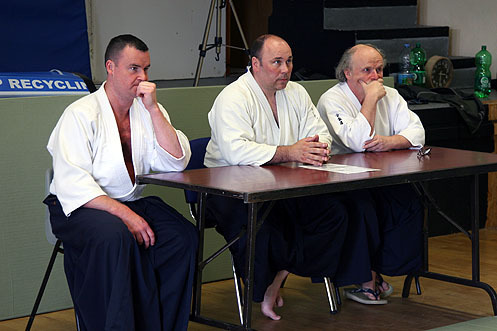 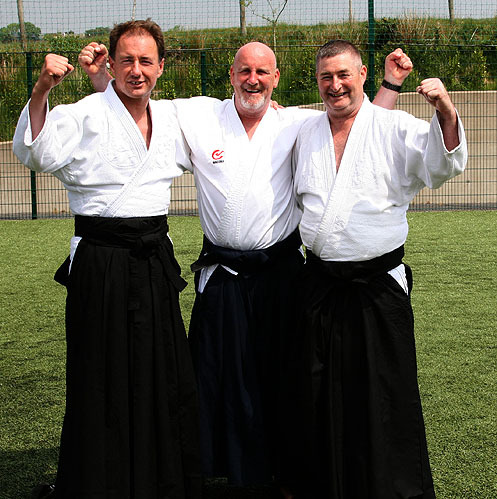 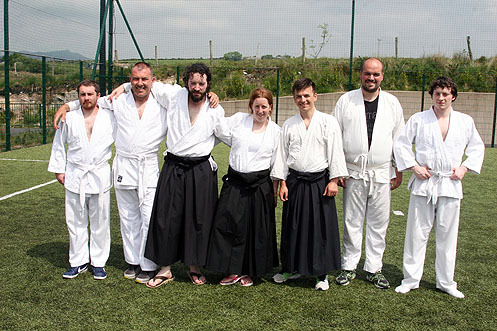 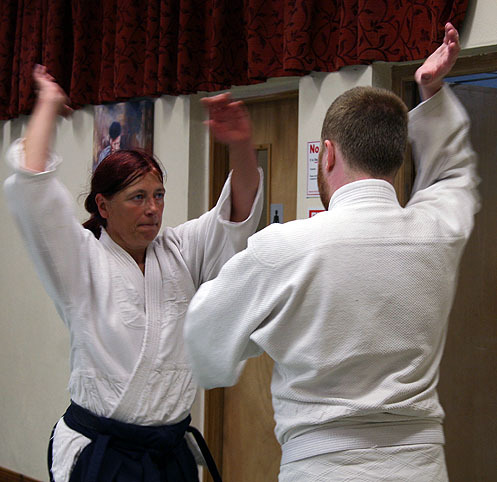 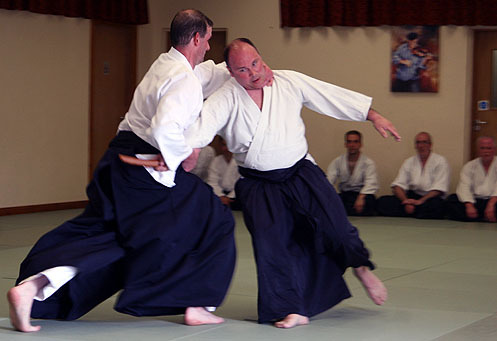 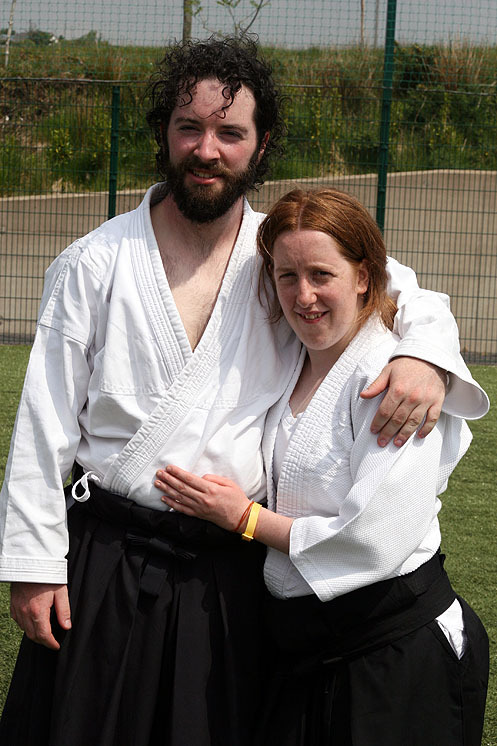 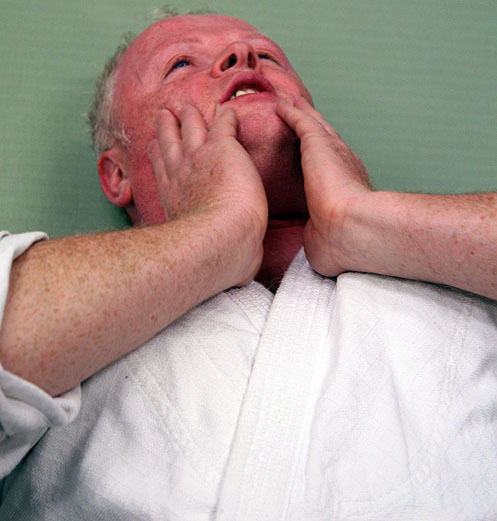 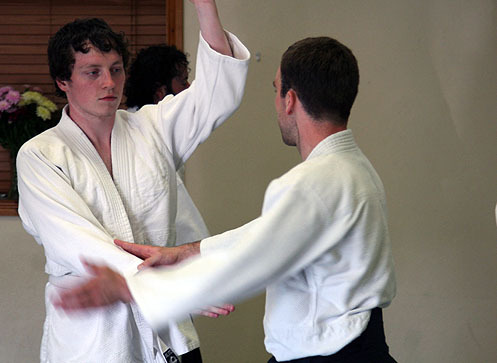 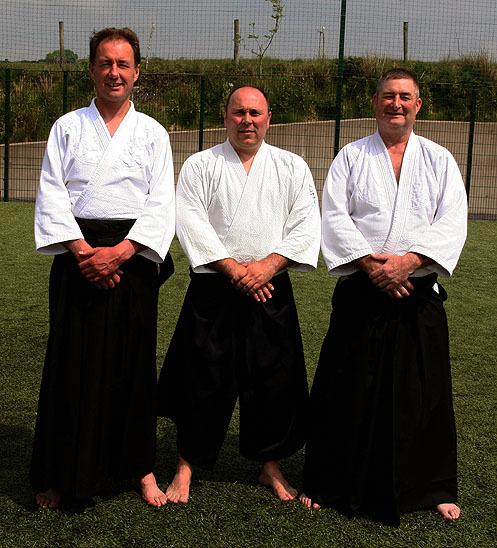 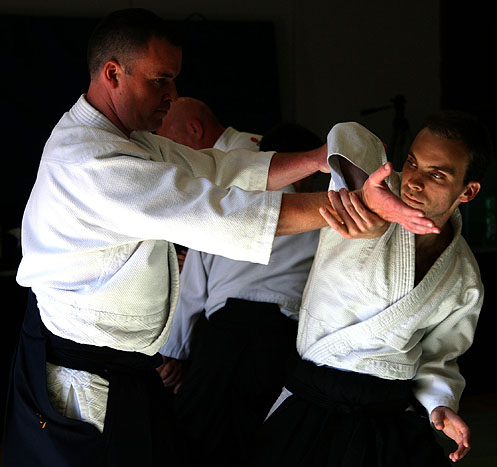 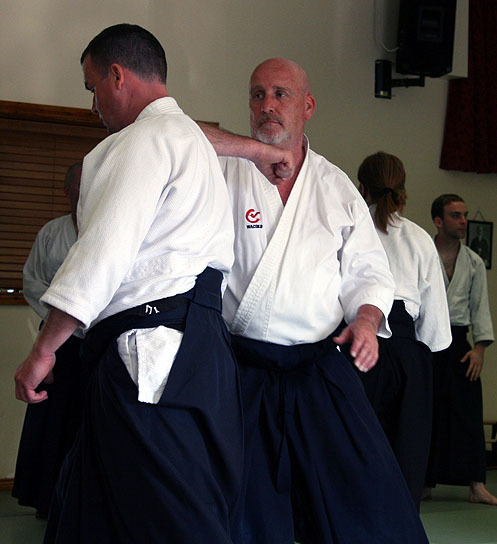 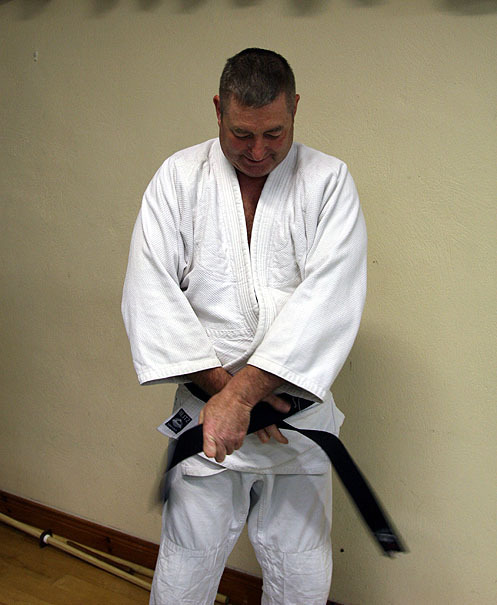 Last but by no means least a huge congratulations to the following successful dan examinees at the course, you done yourselves and Aikikai Ireland proud.